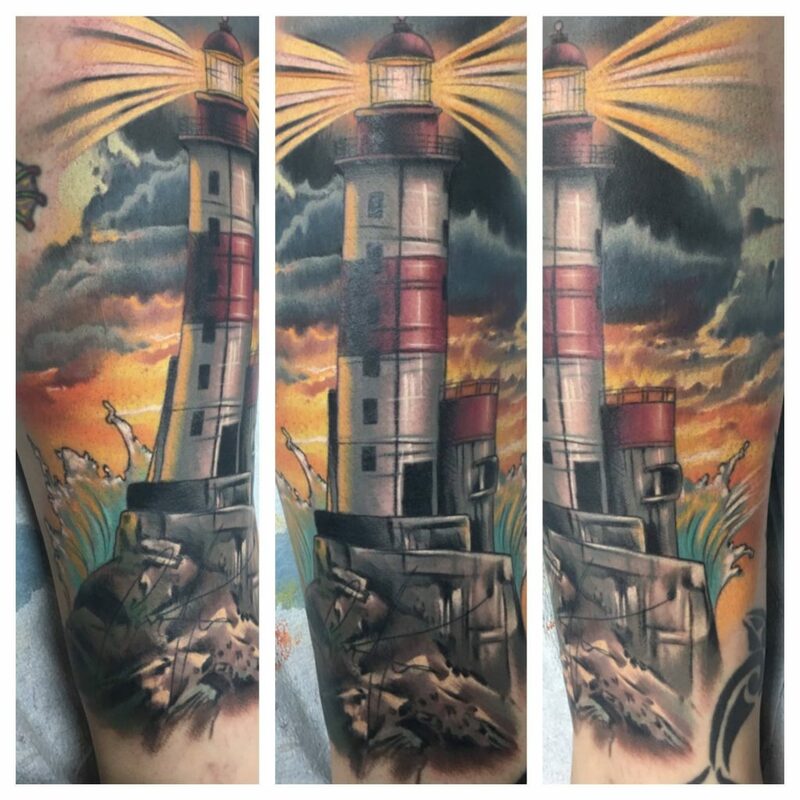 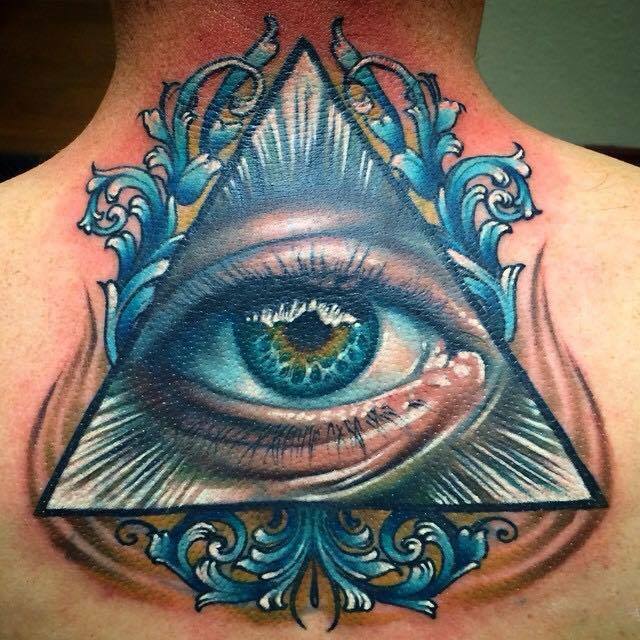 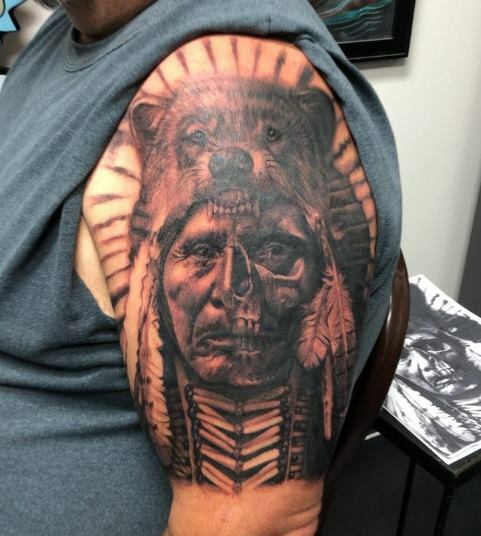 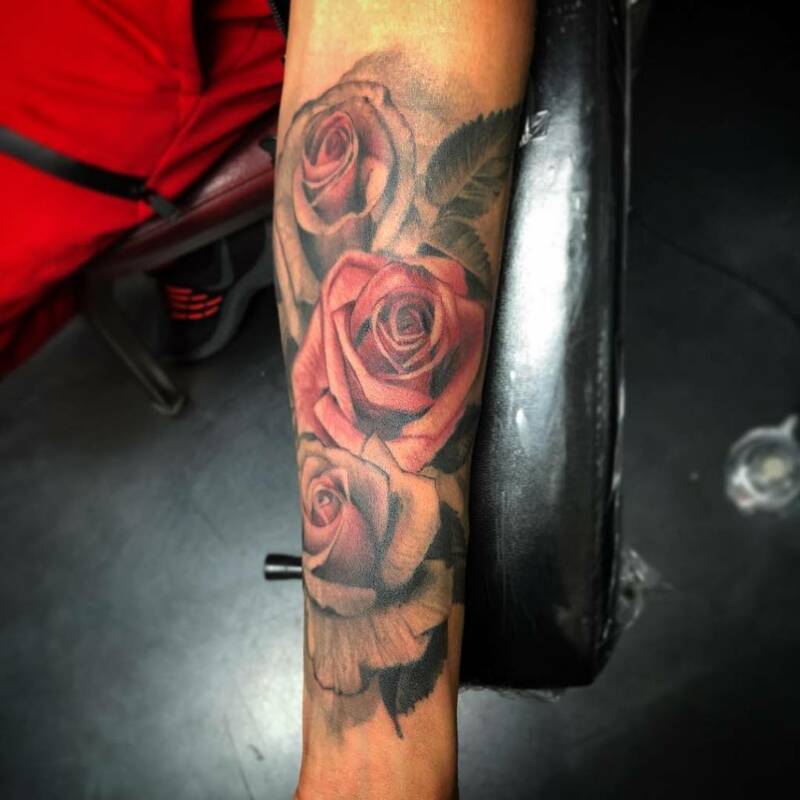 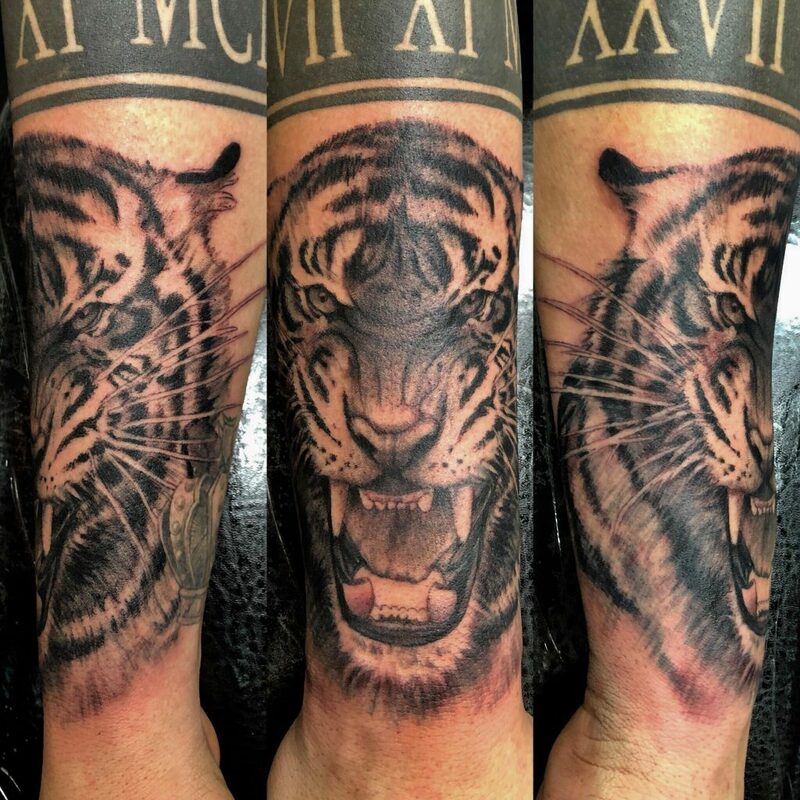 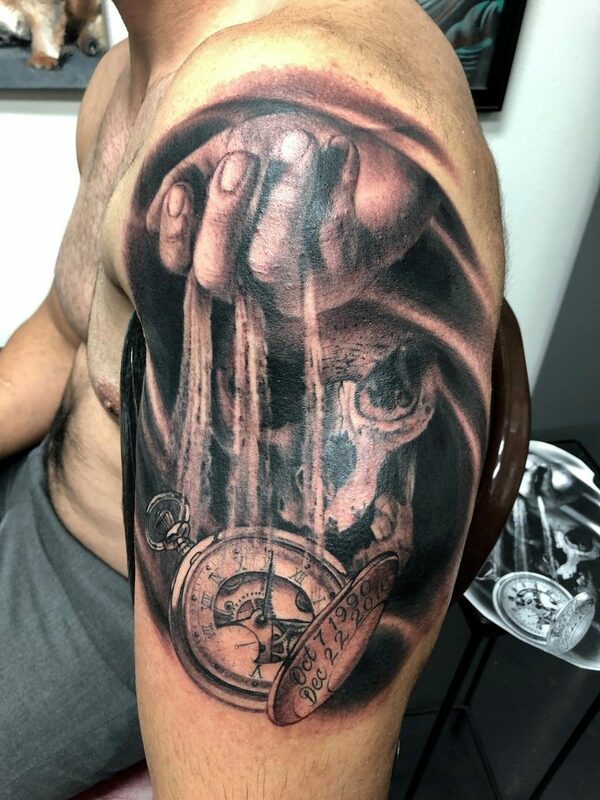 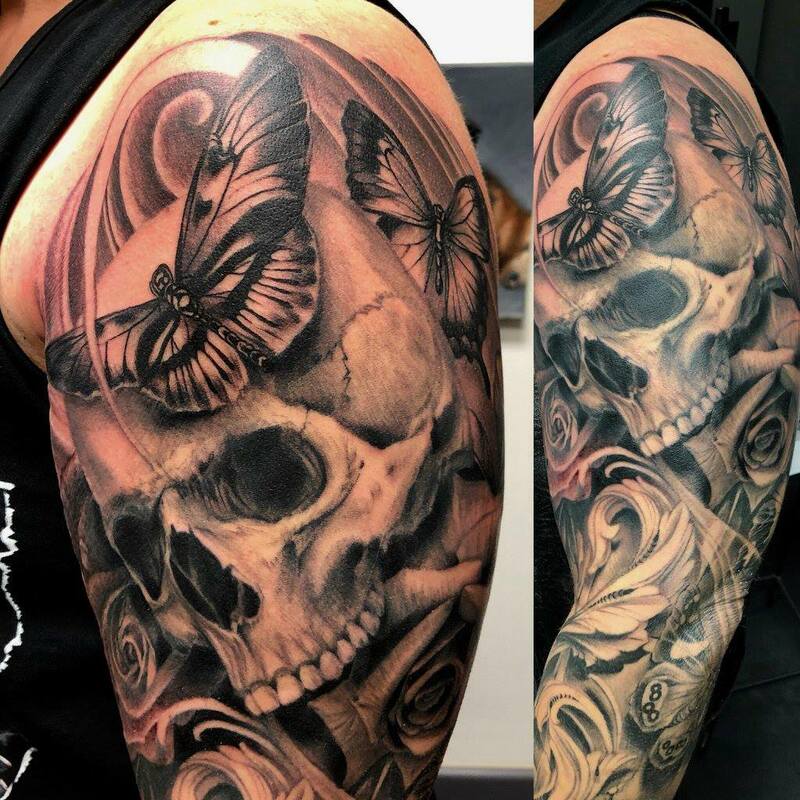 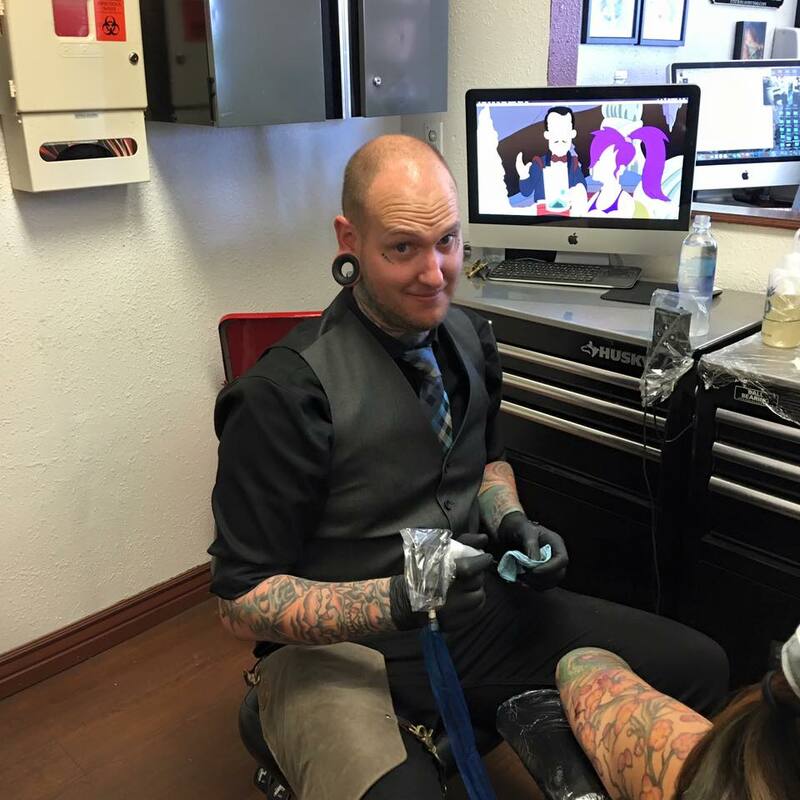 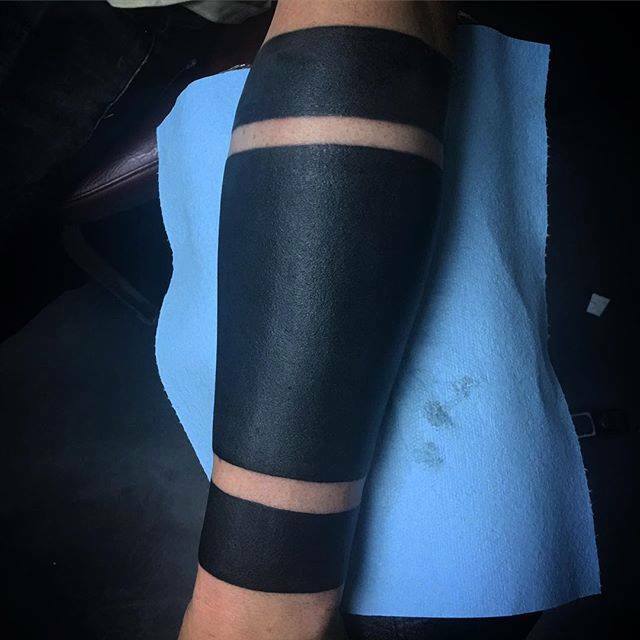 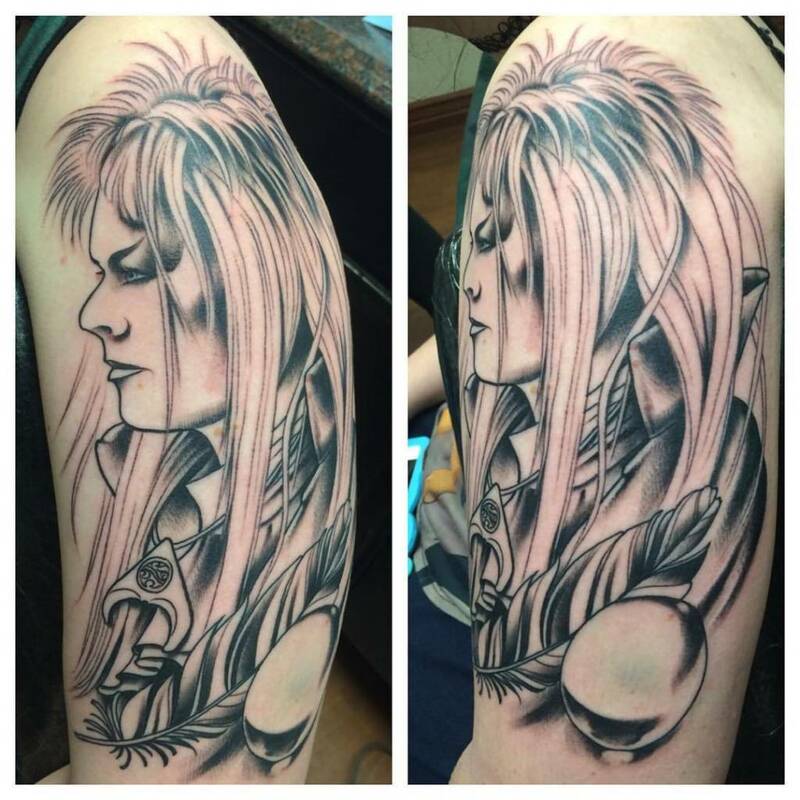 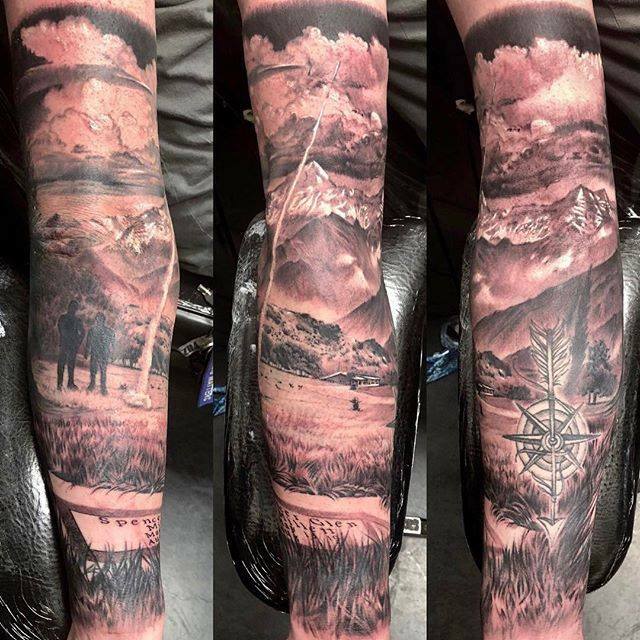 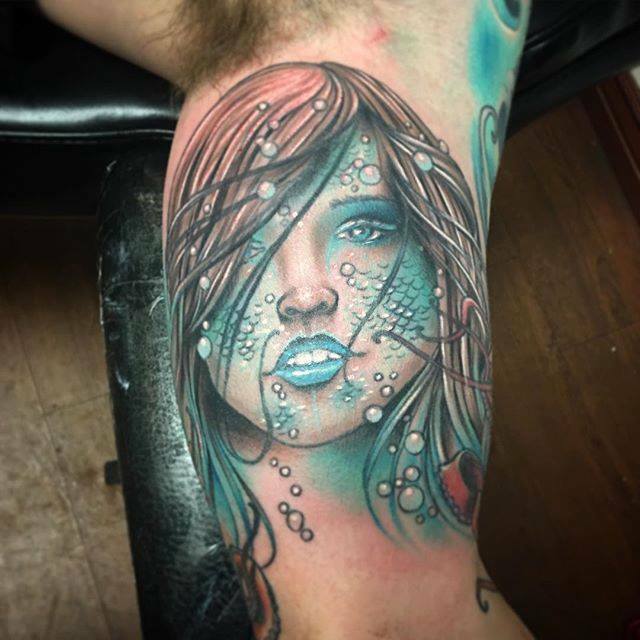 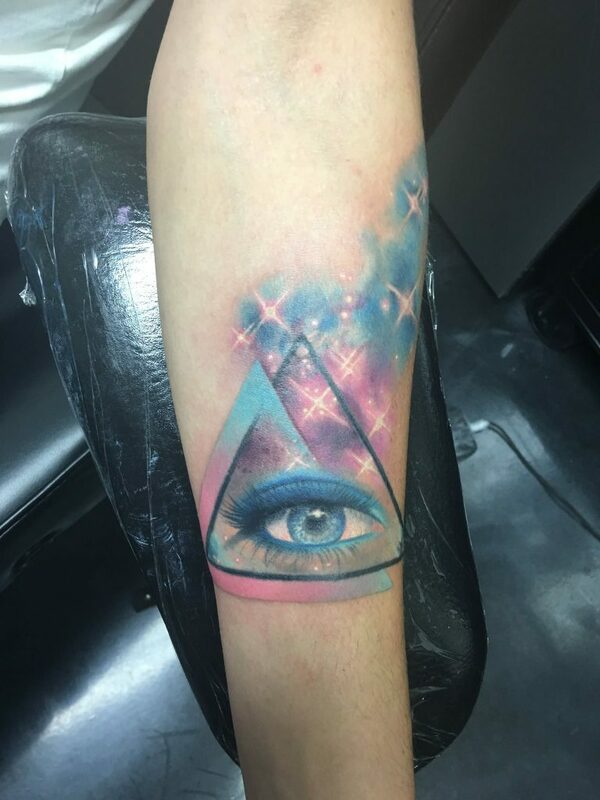 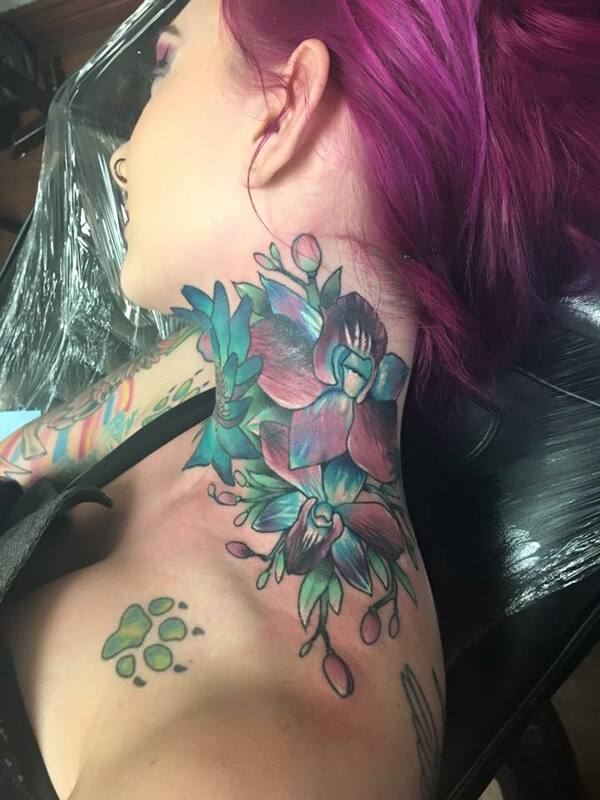 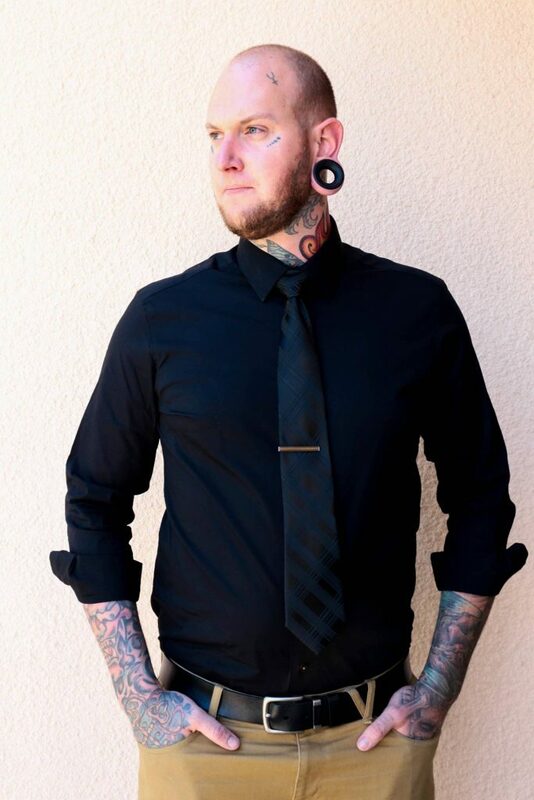 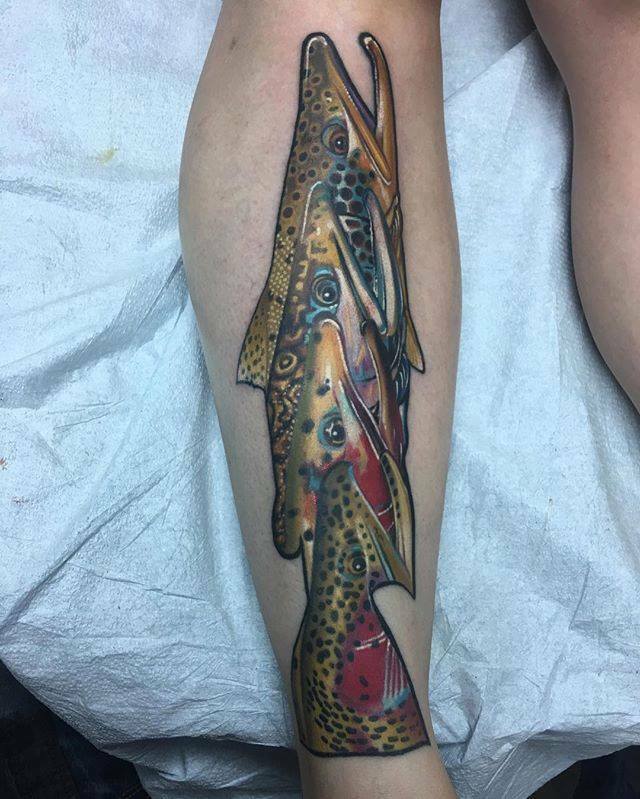 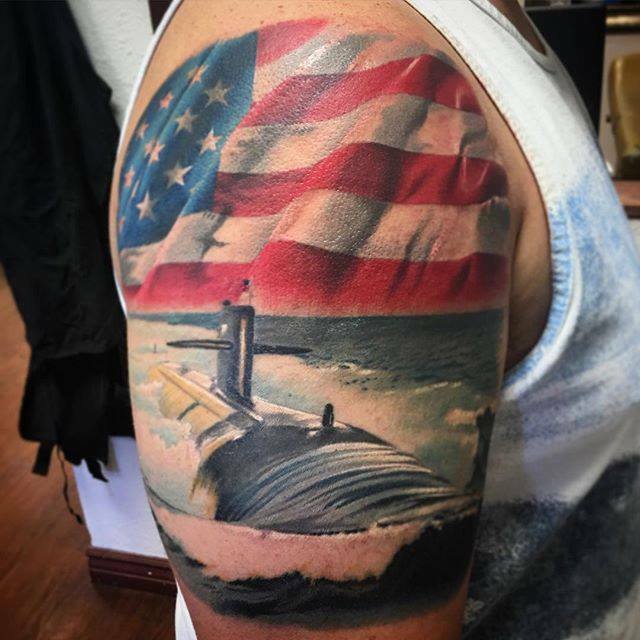 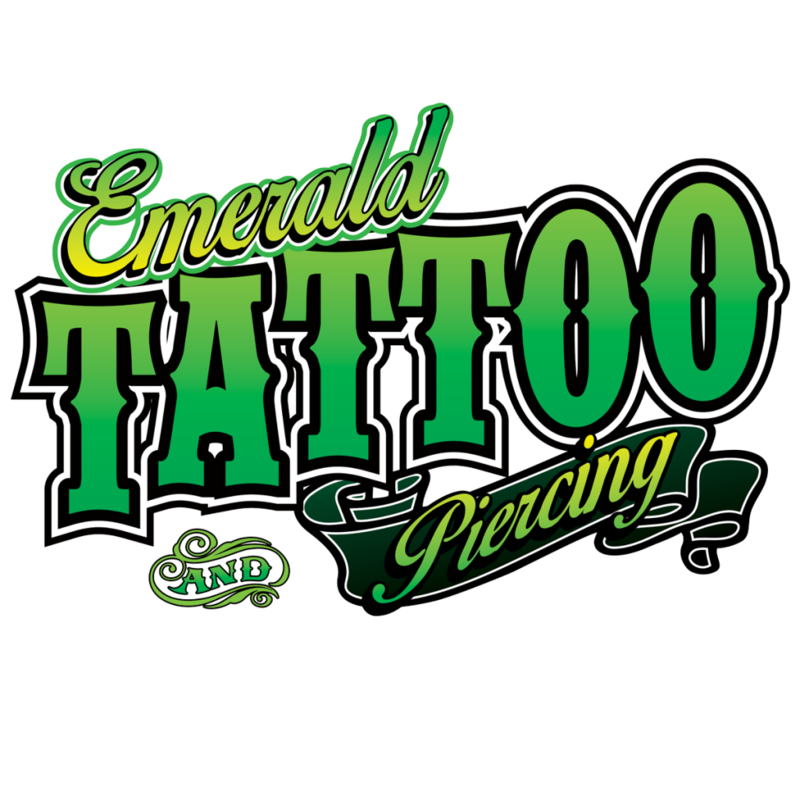 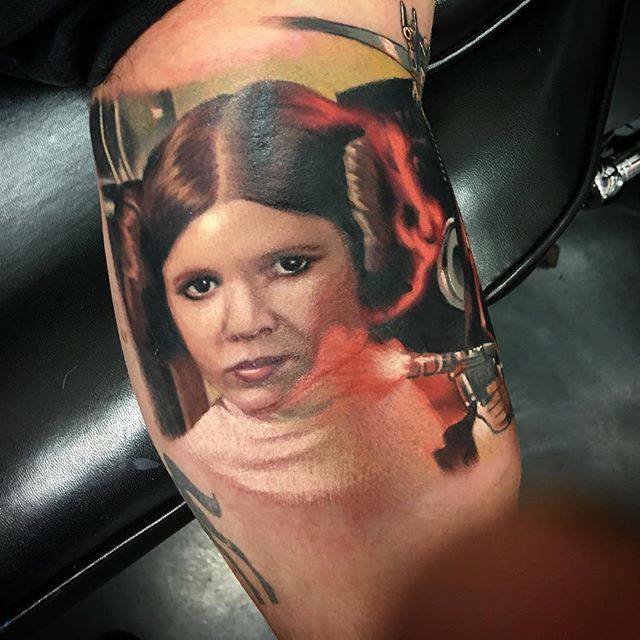 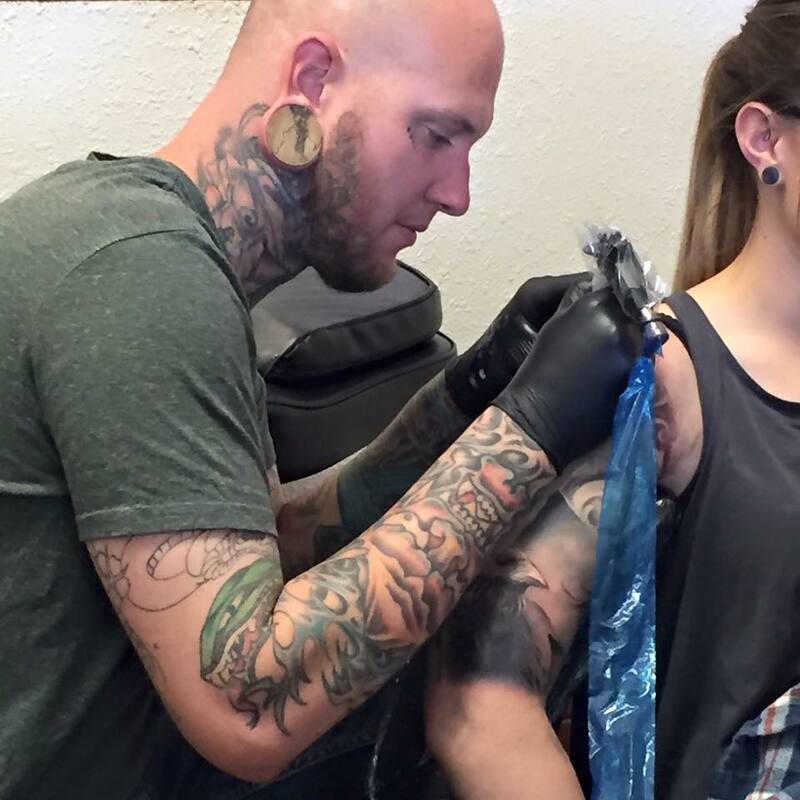 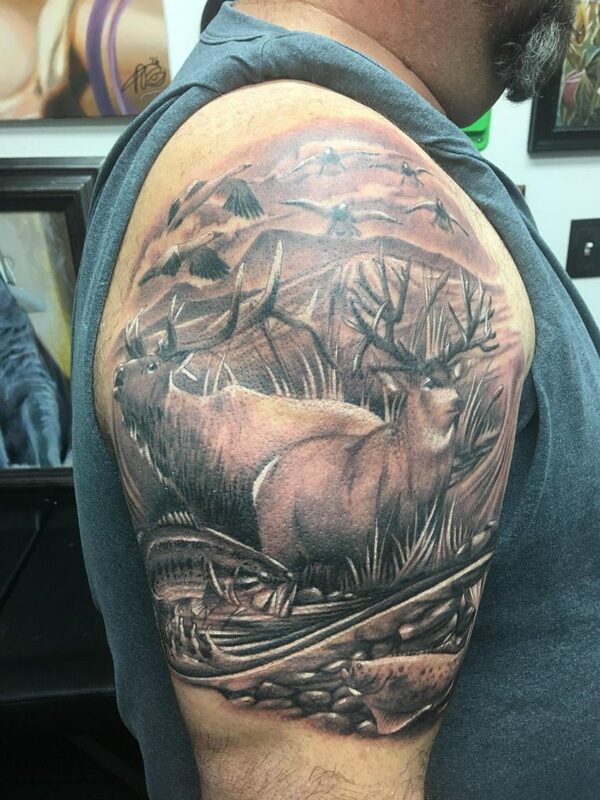 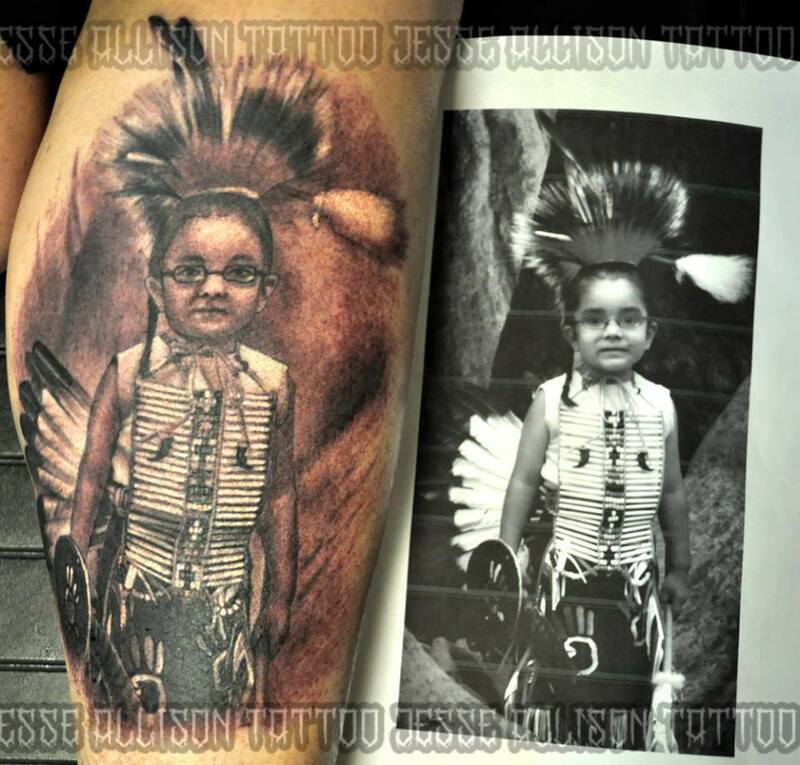 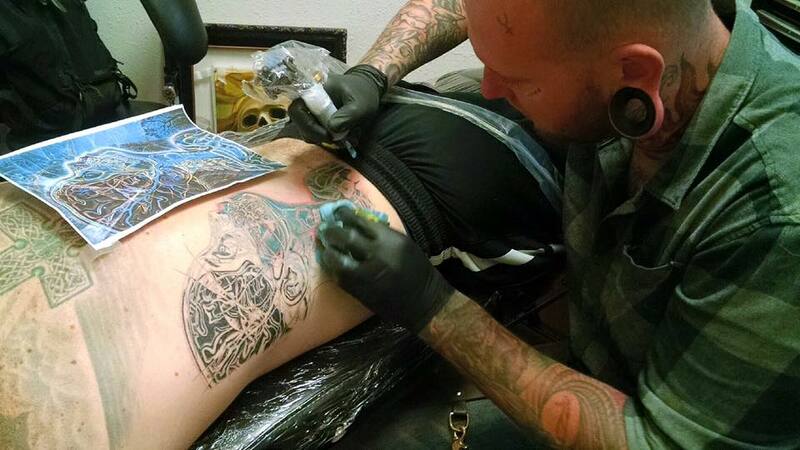 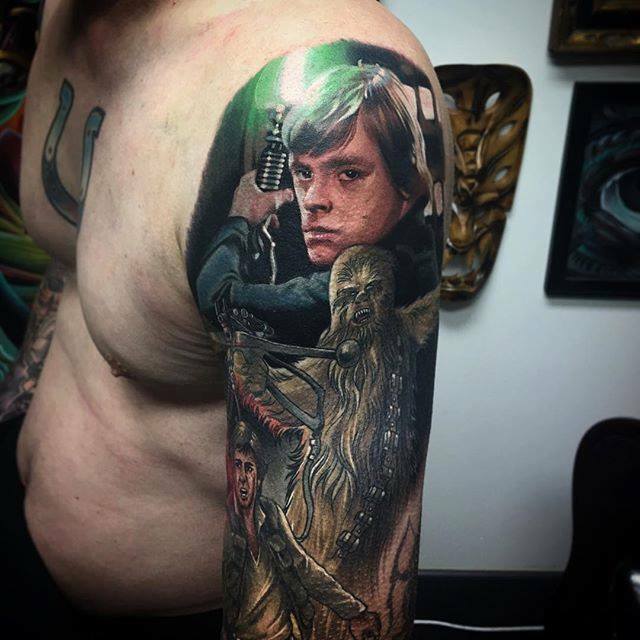 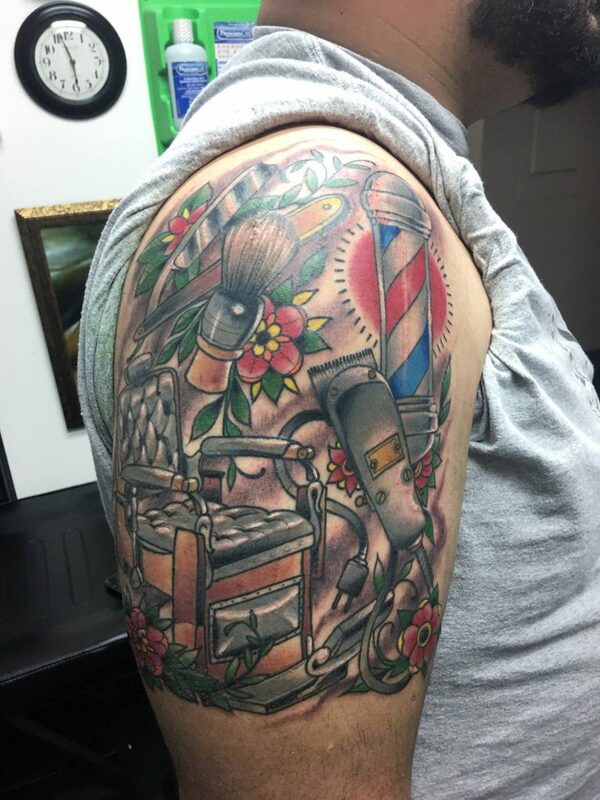 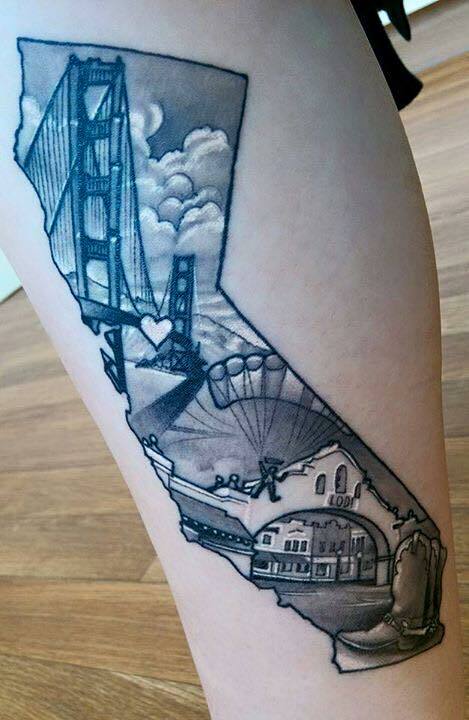 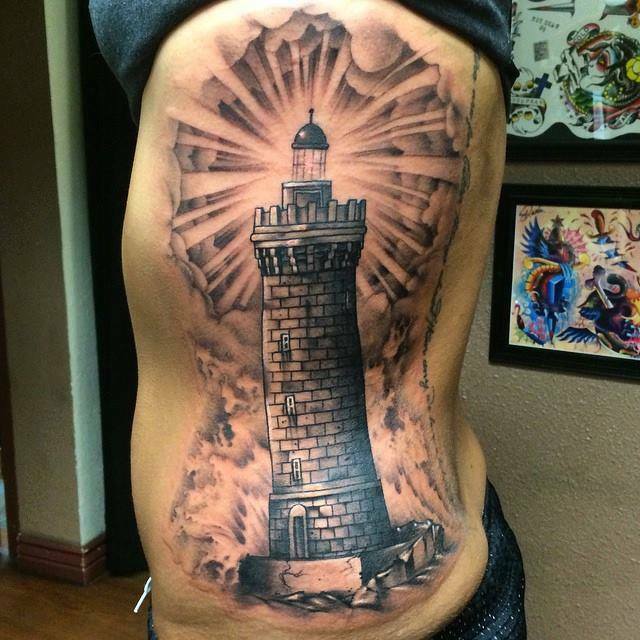 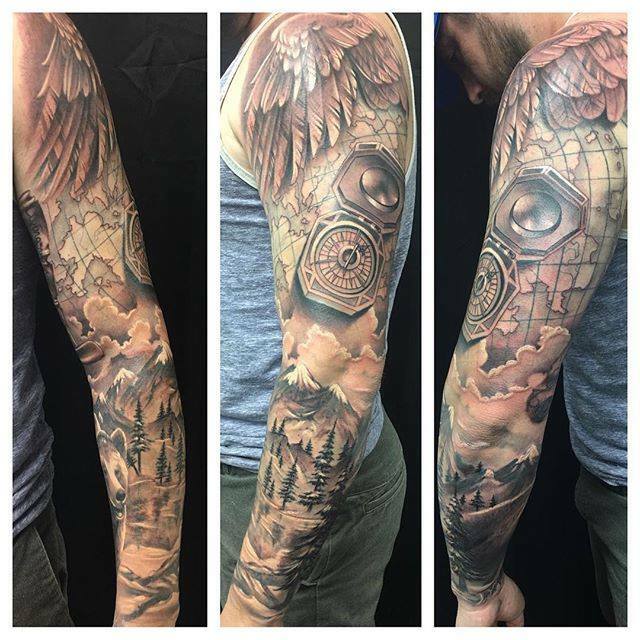 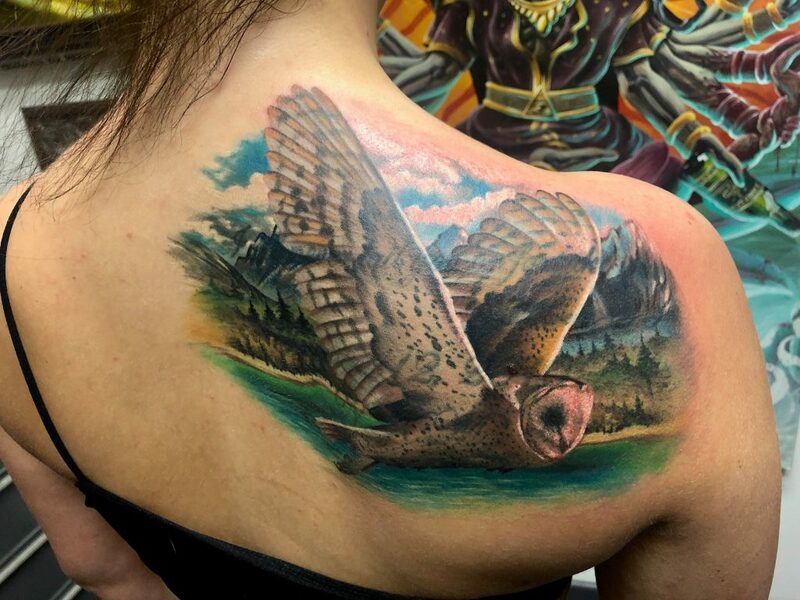 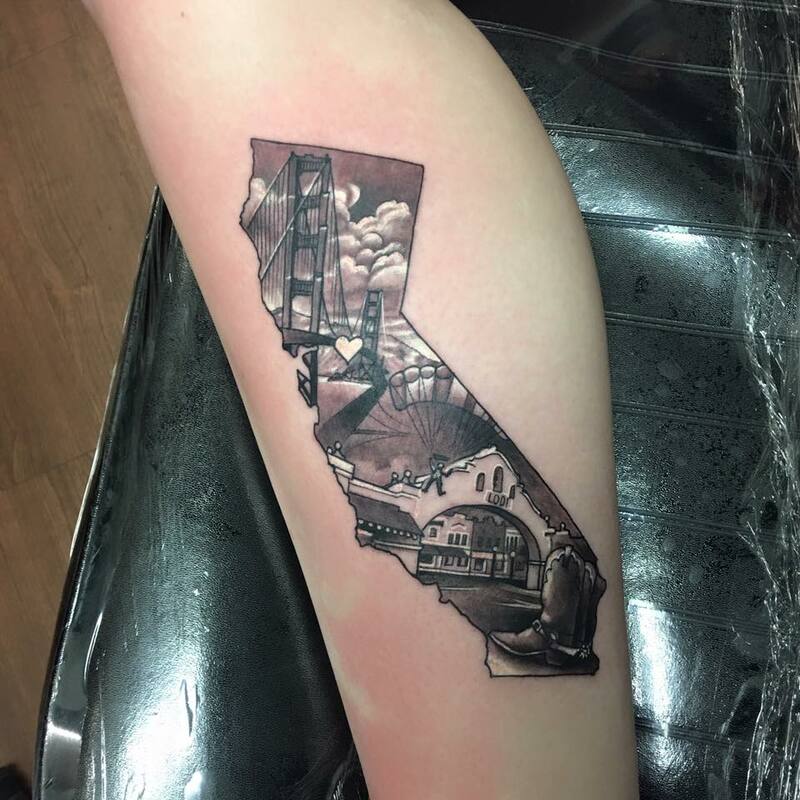 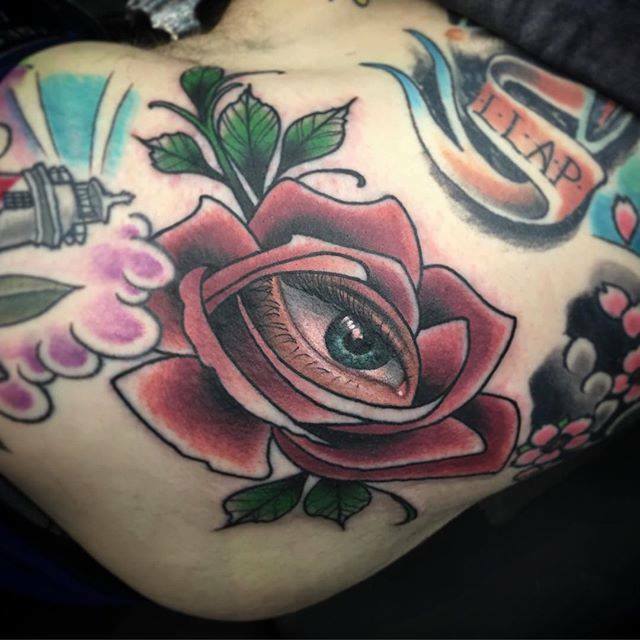 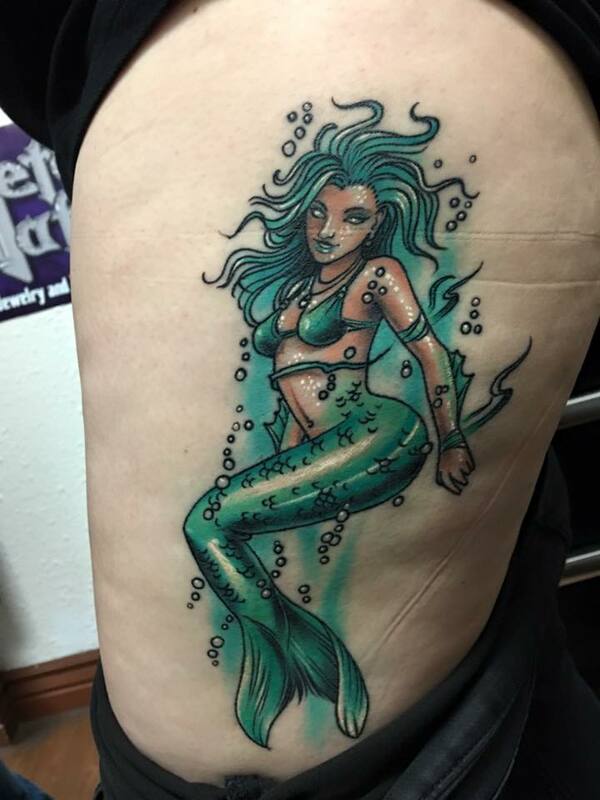 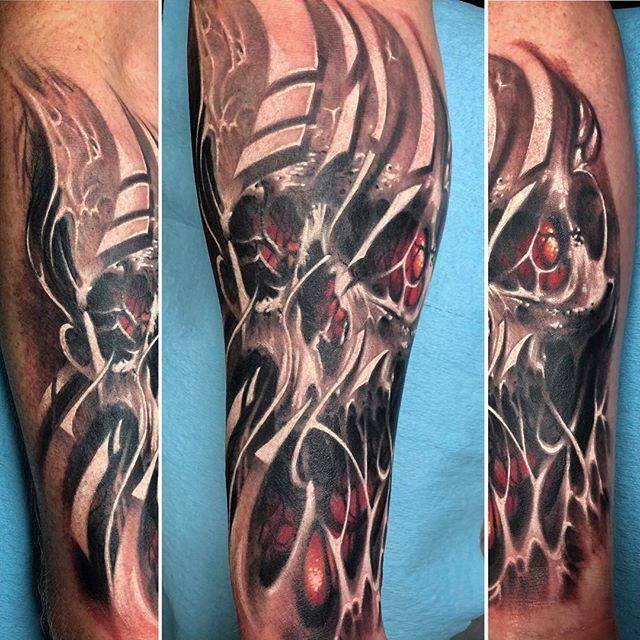 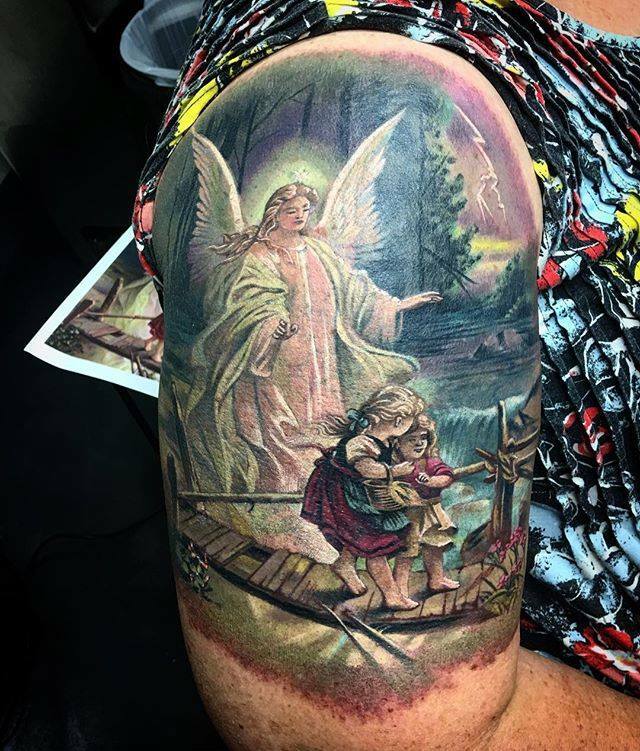 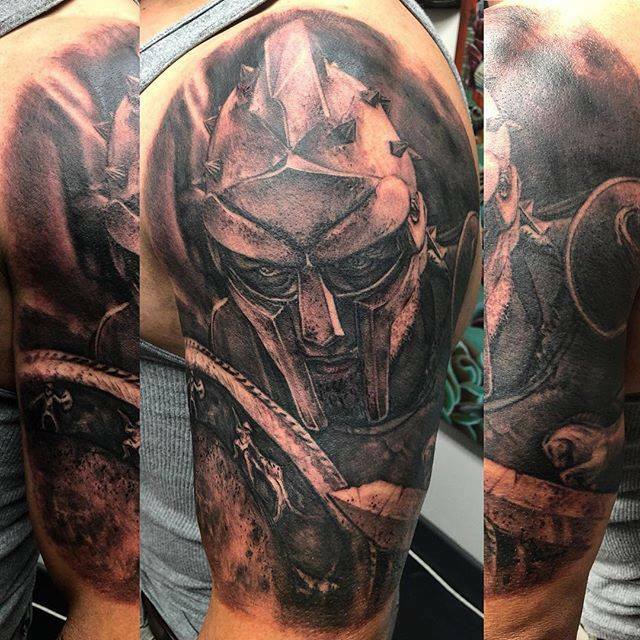 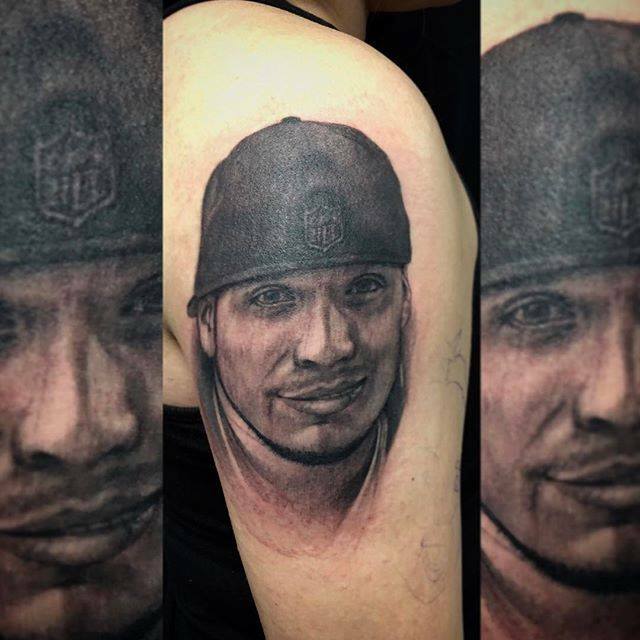 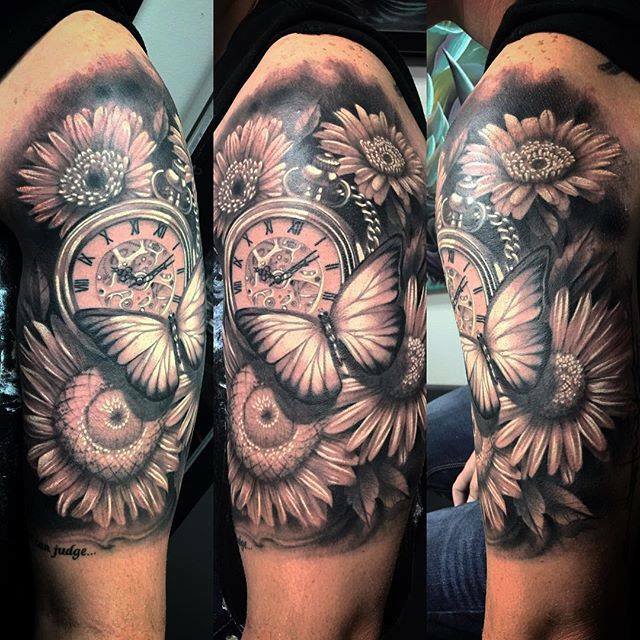 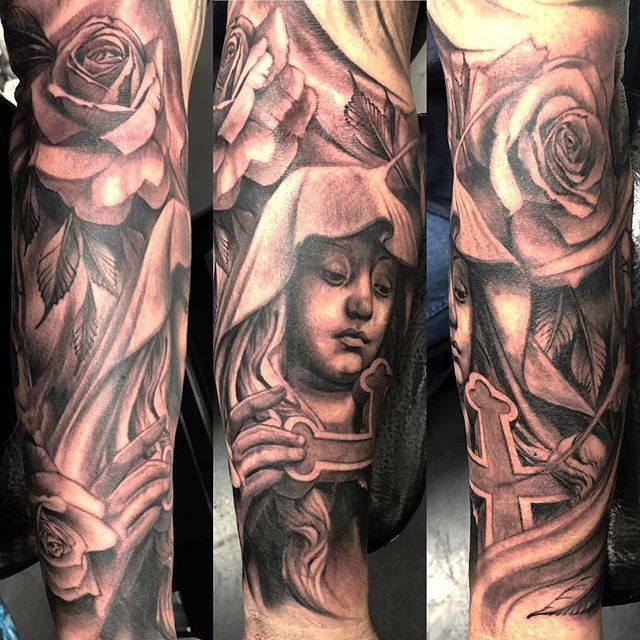 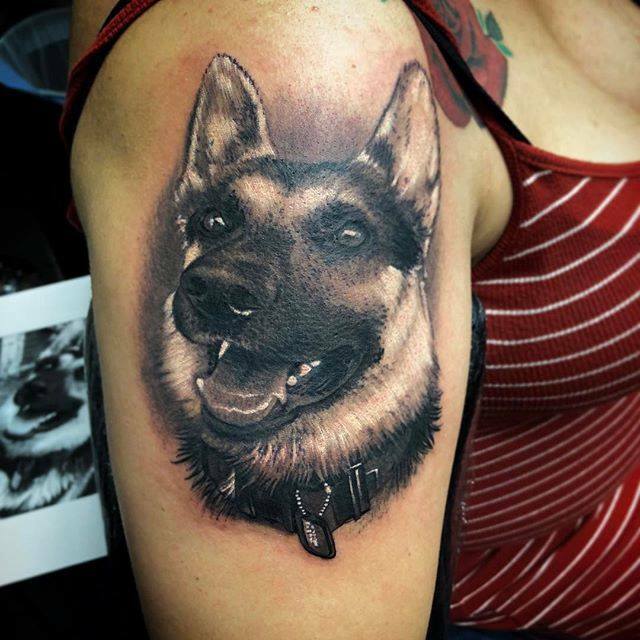 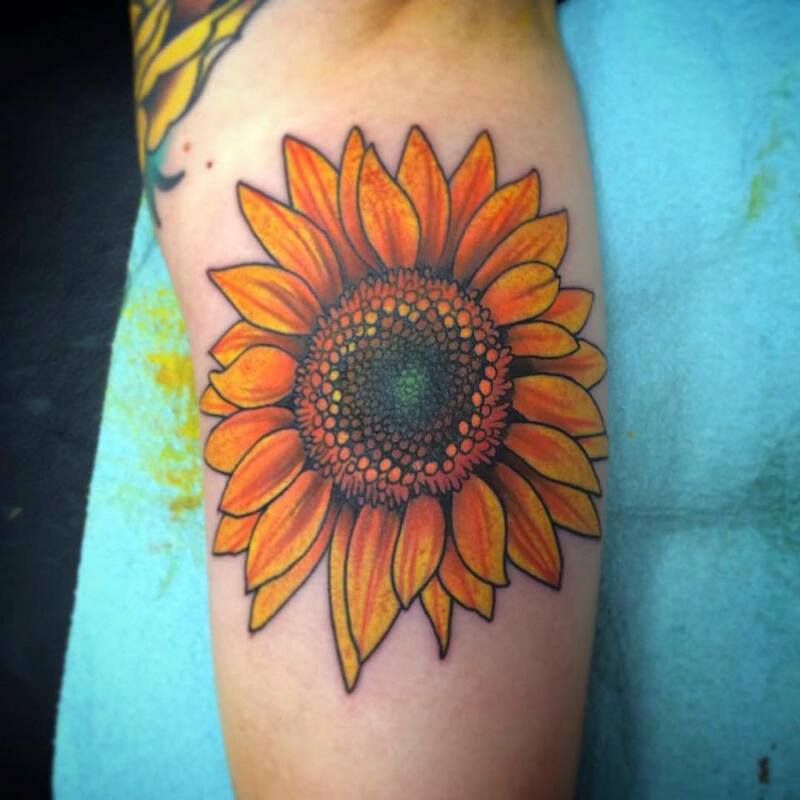 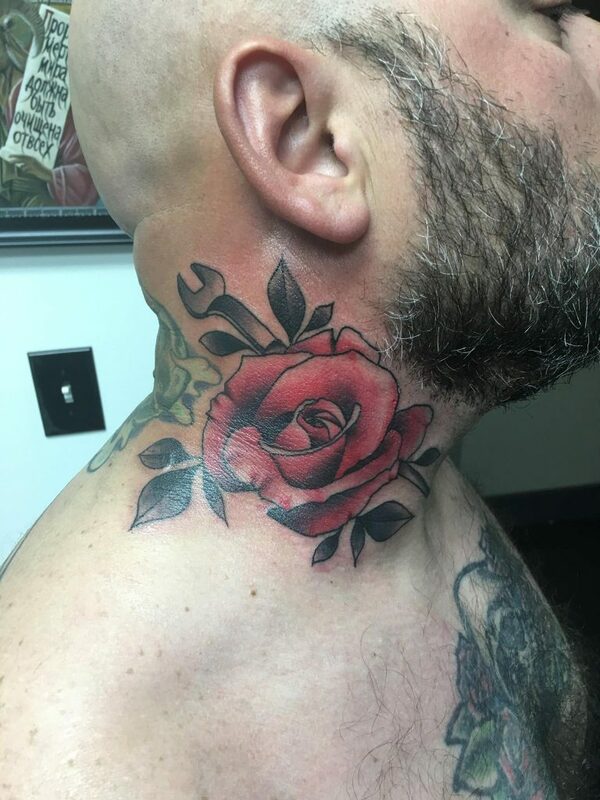 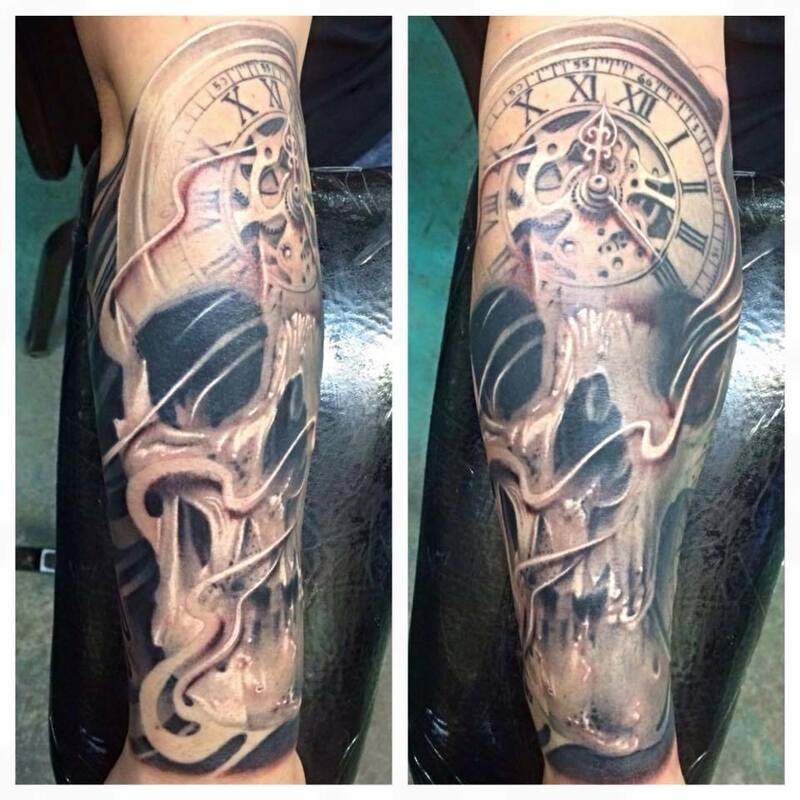 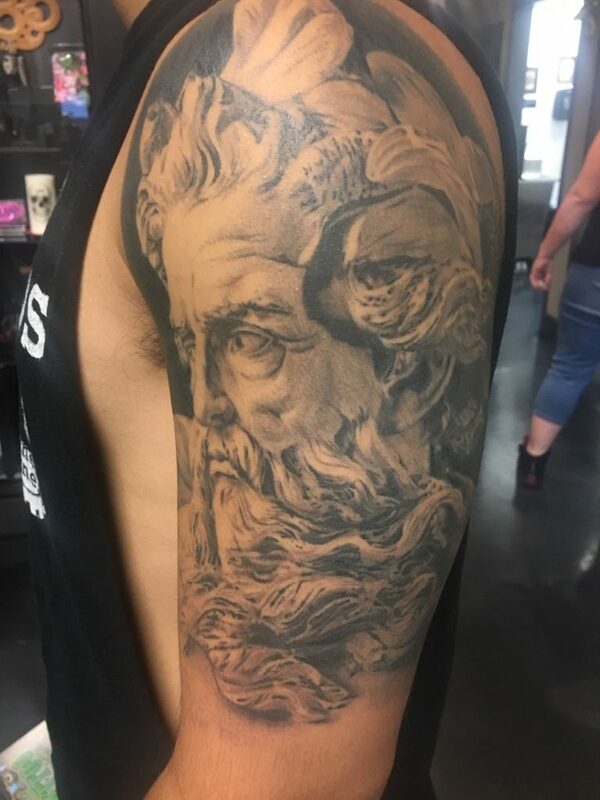 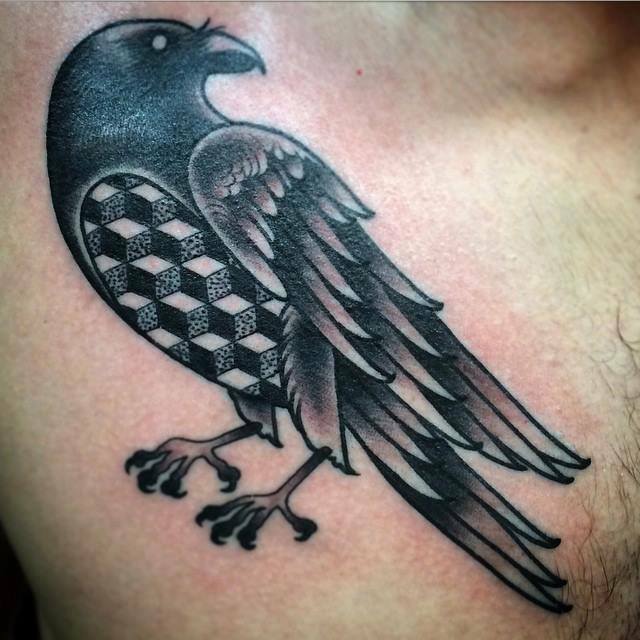 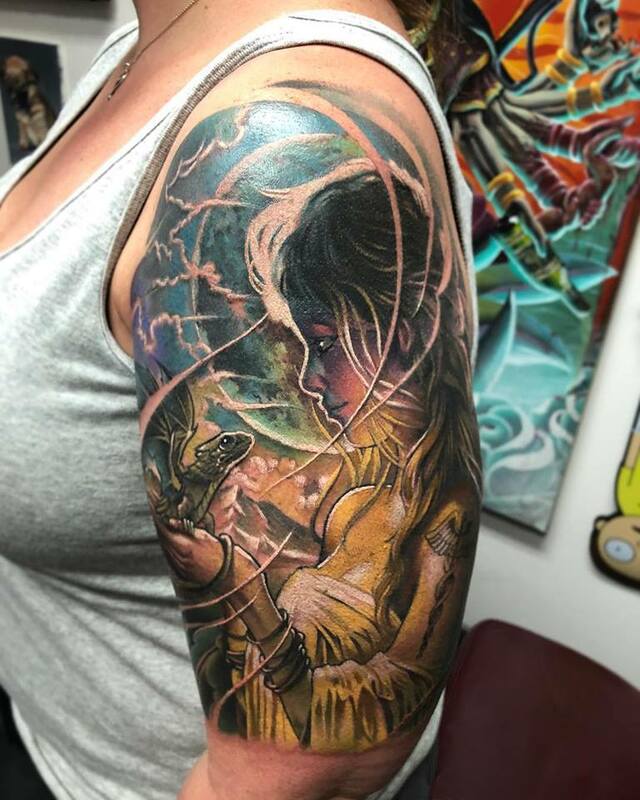 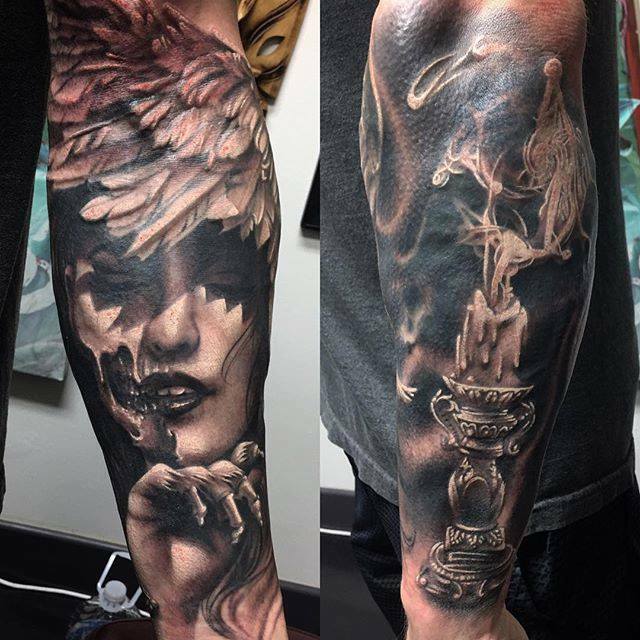 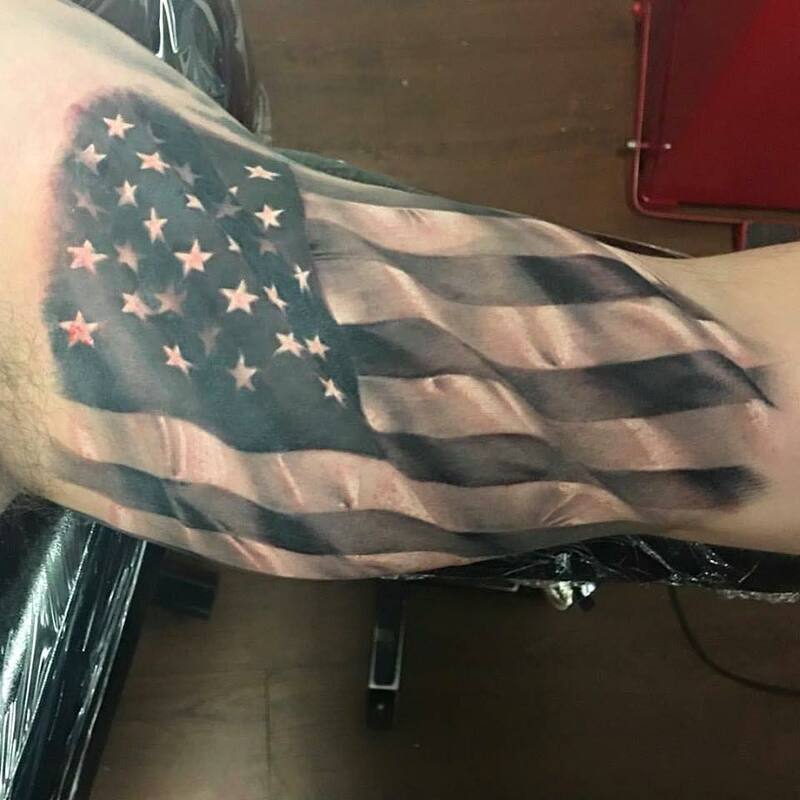 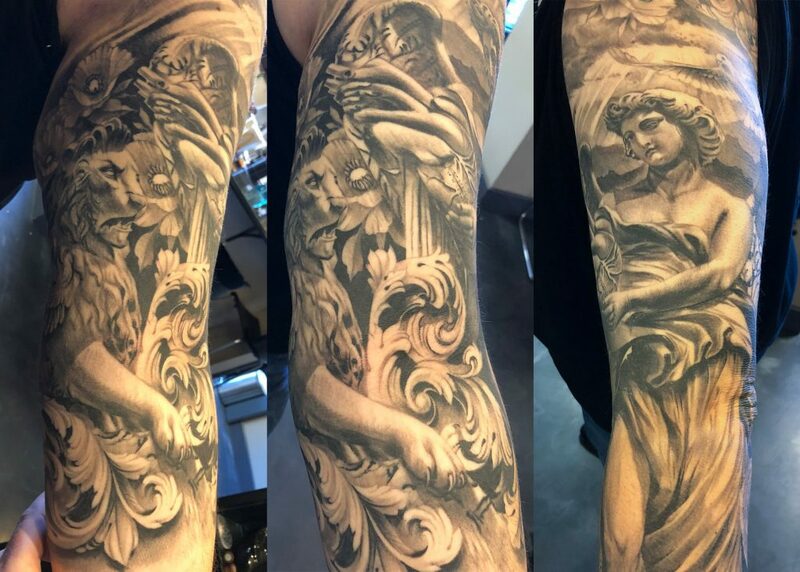 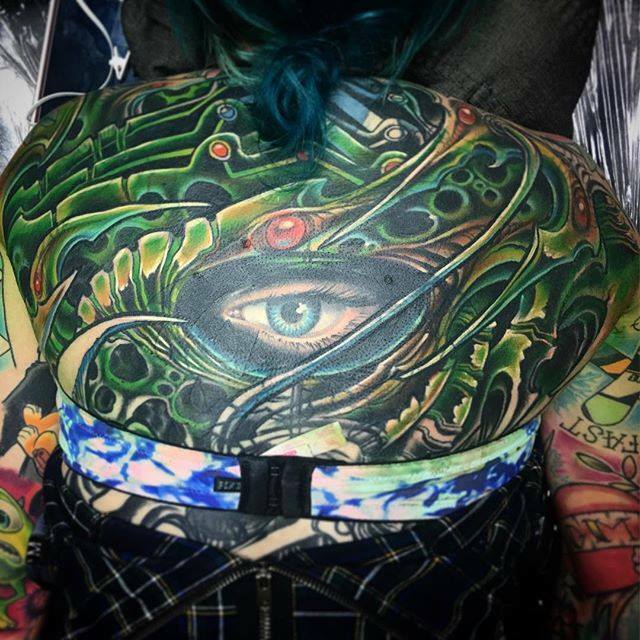 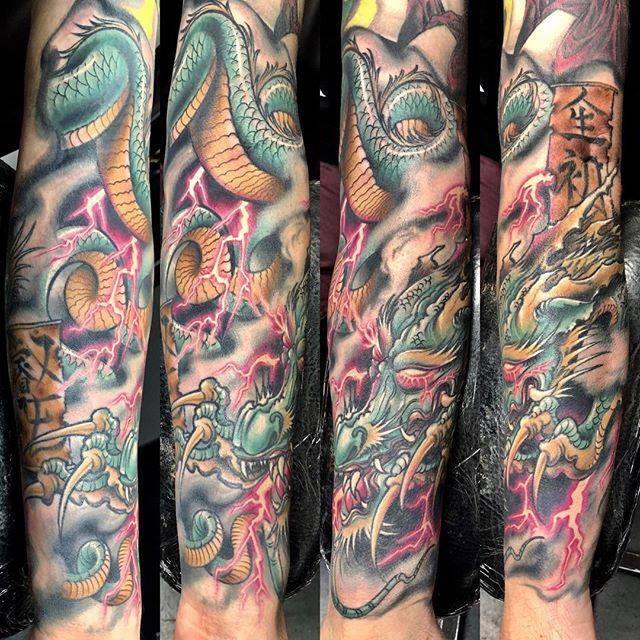 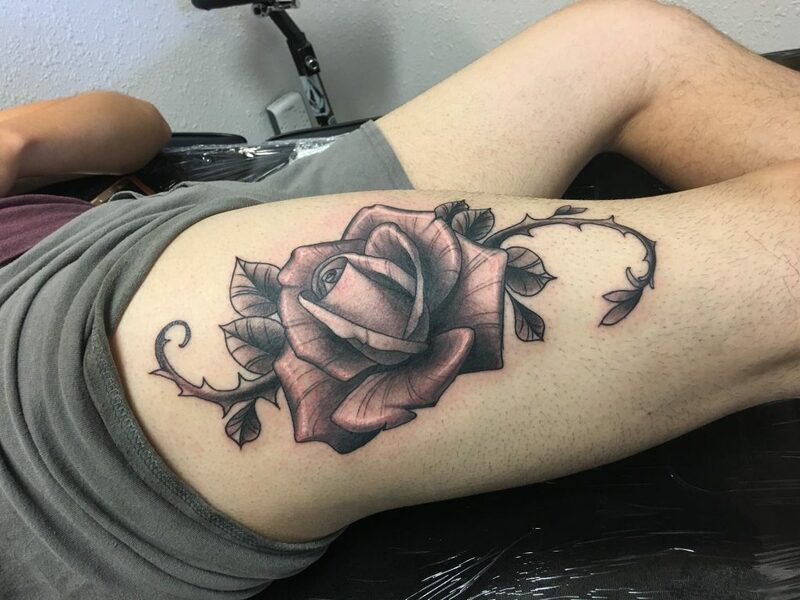 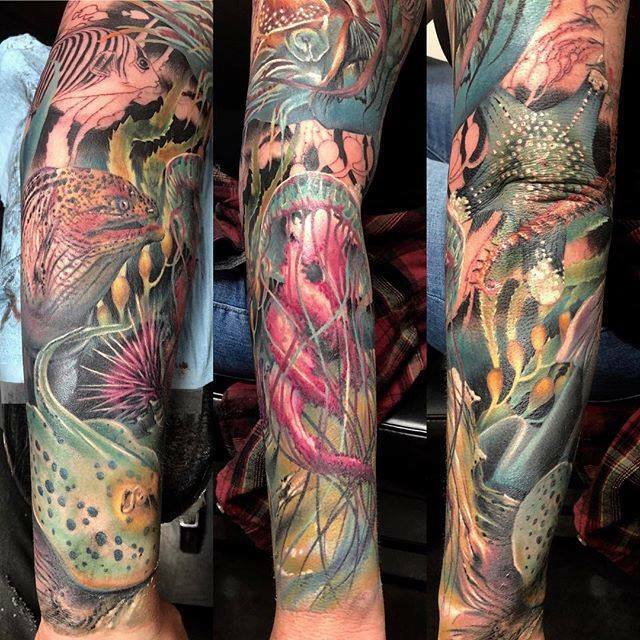 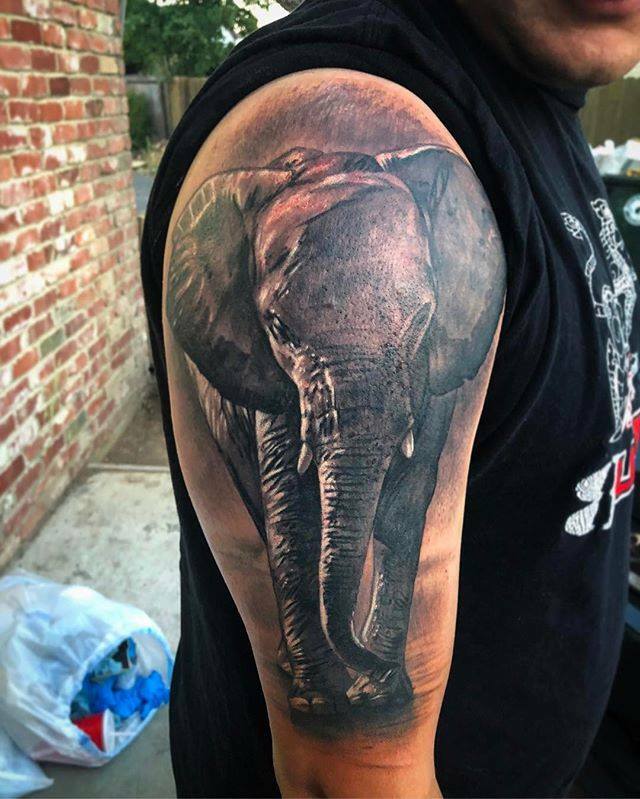 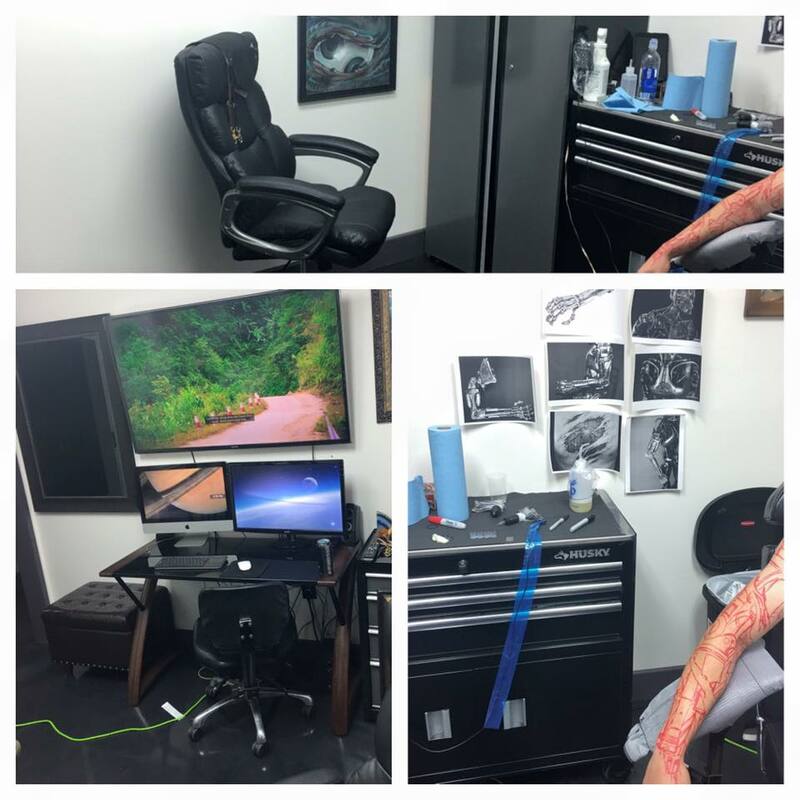 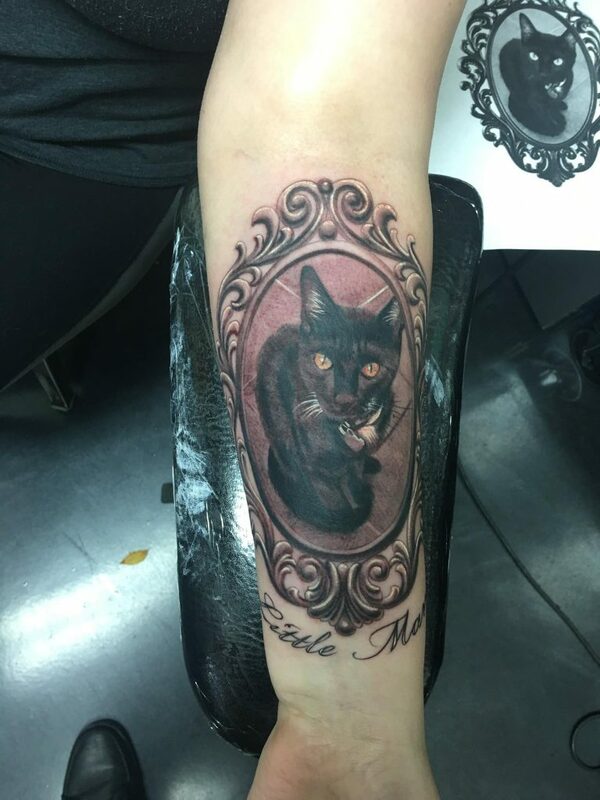 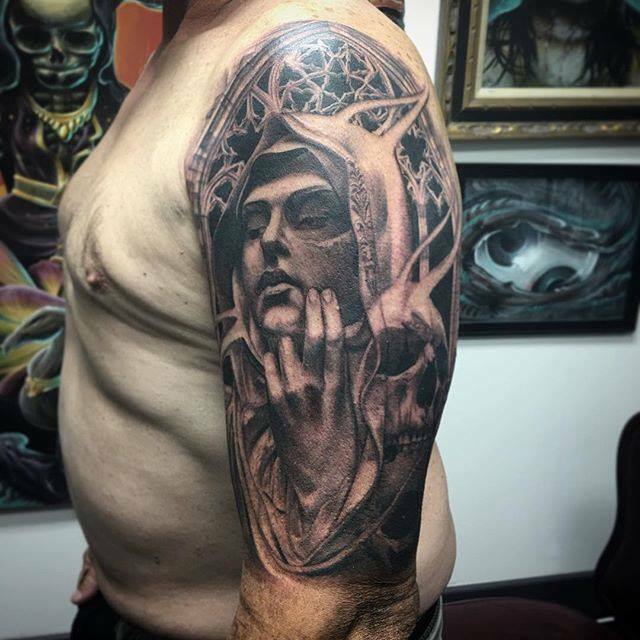 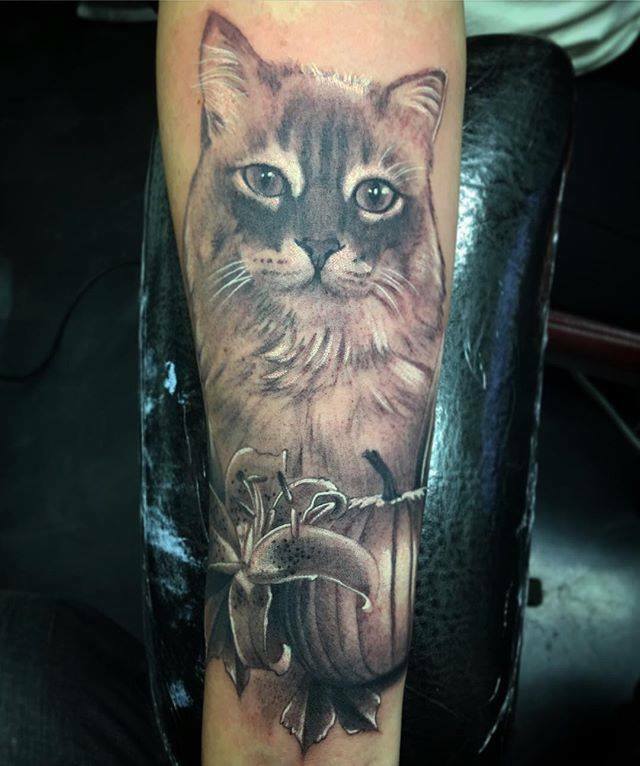 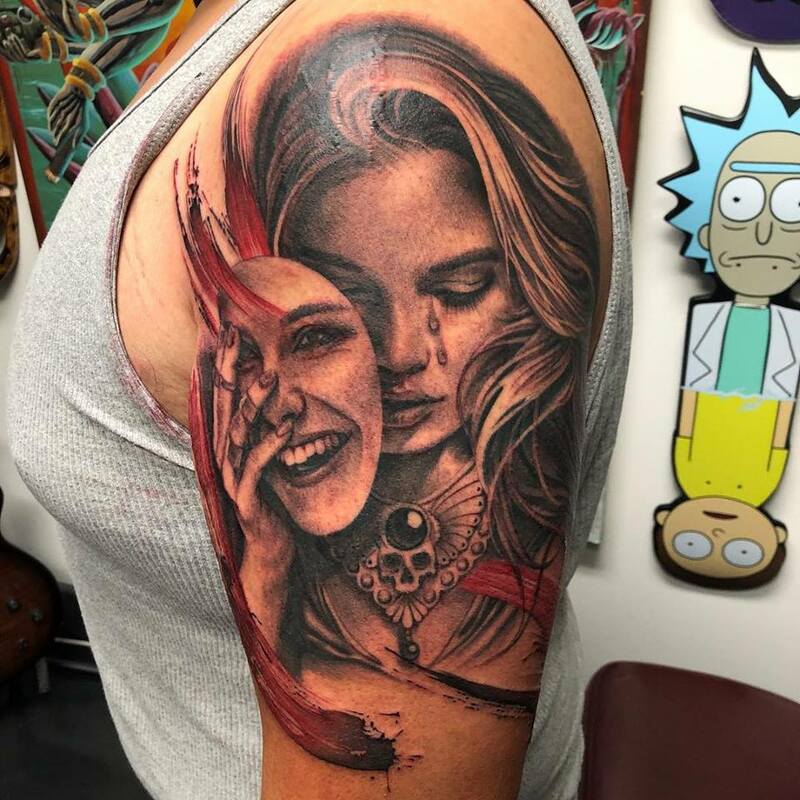 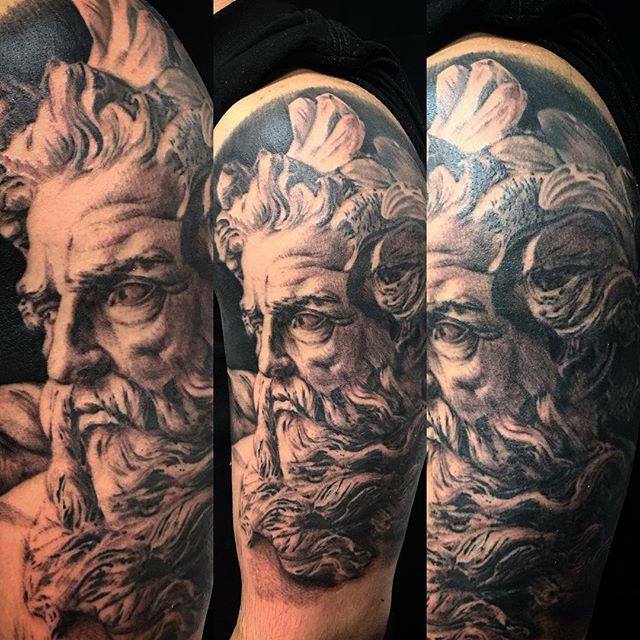 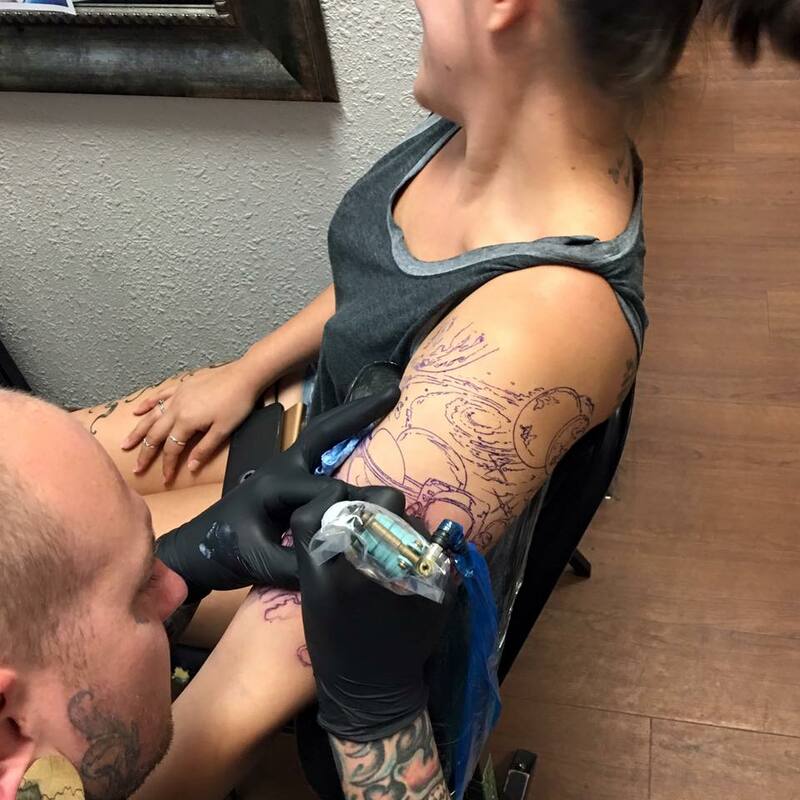 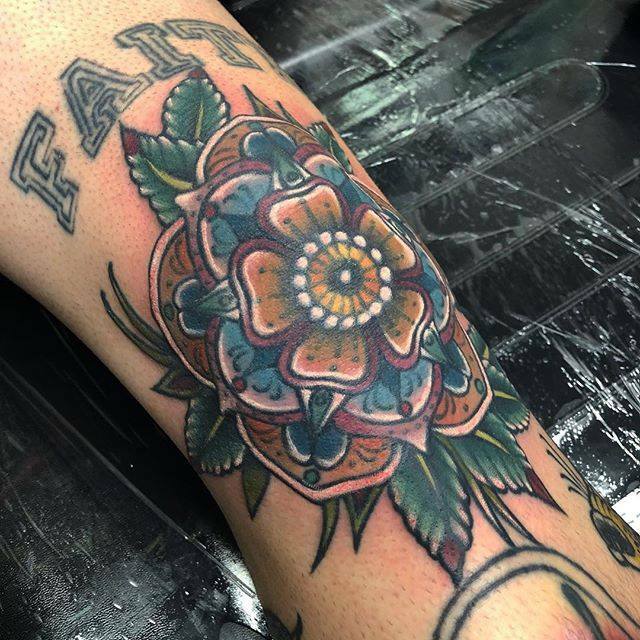 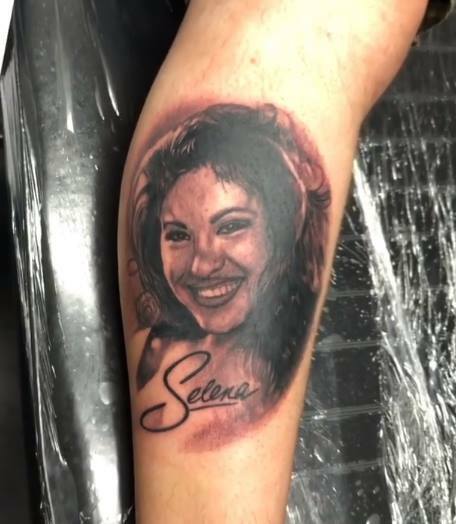 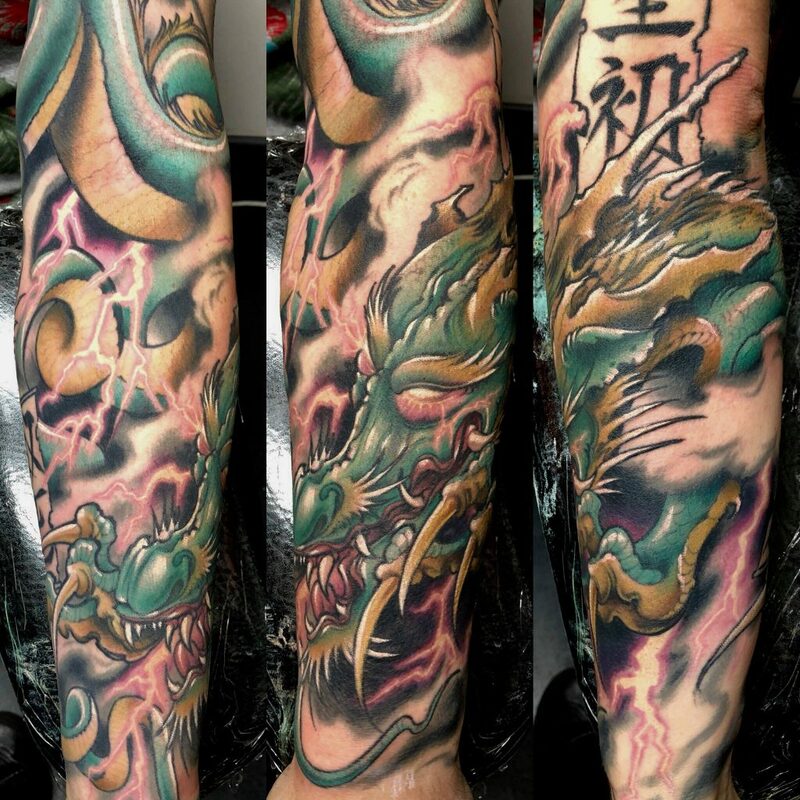 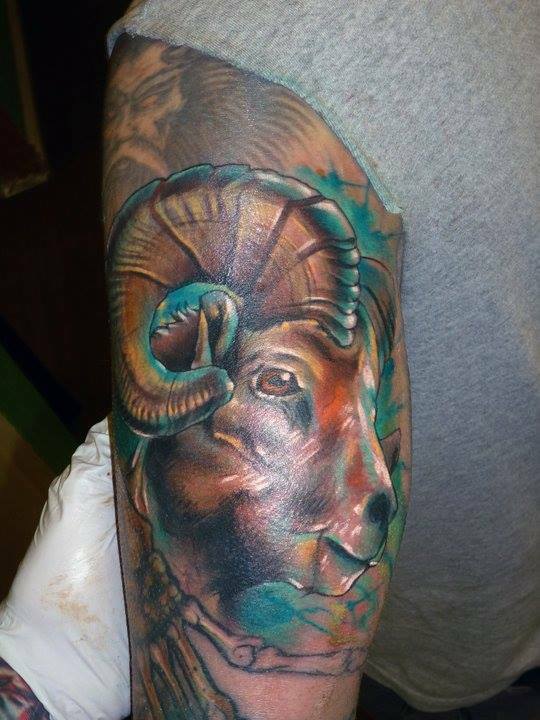 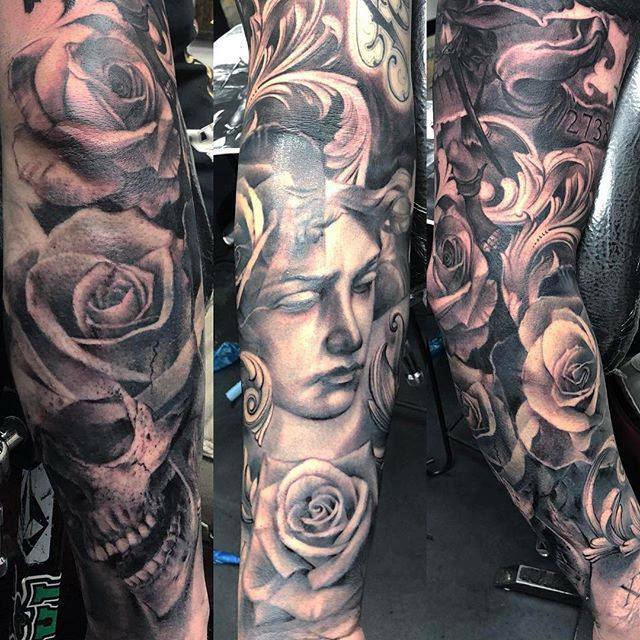 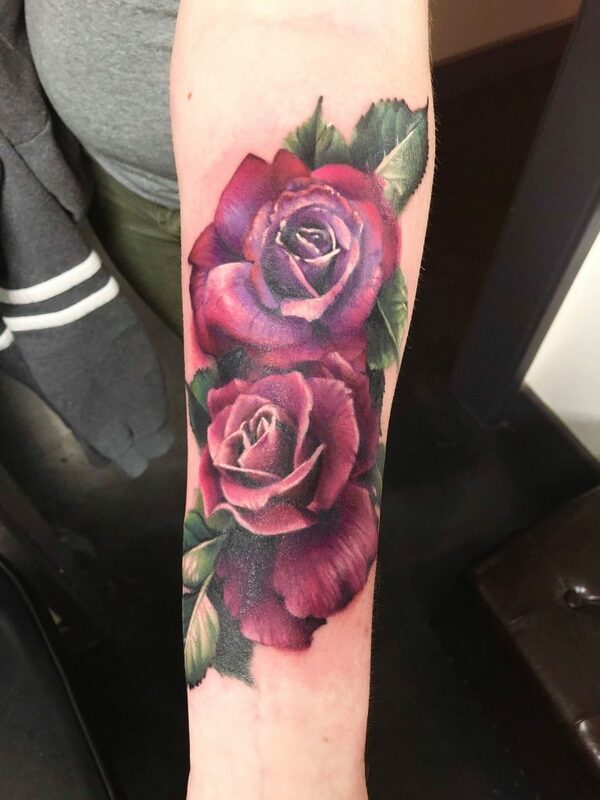 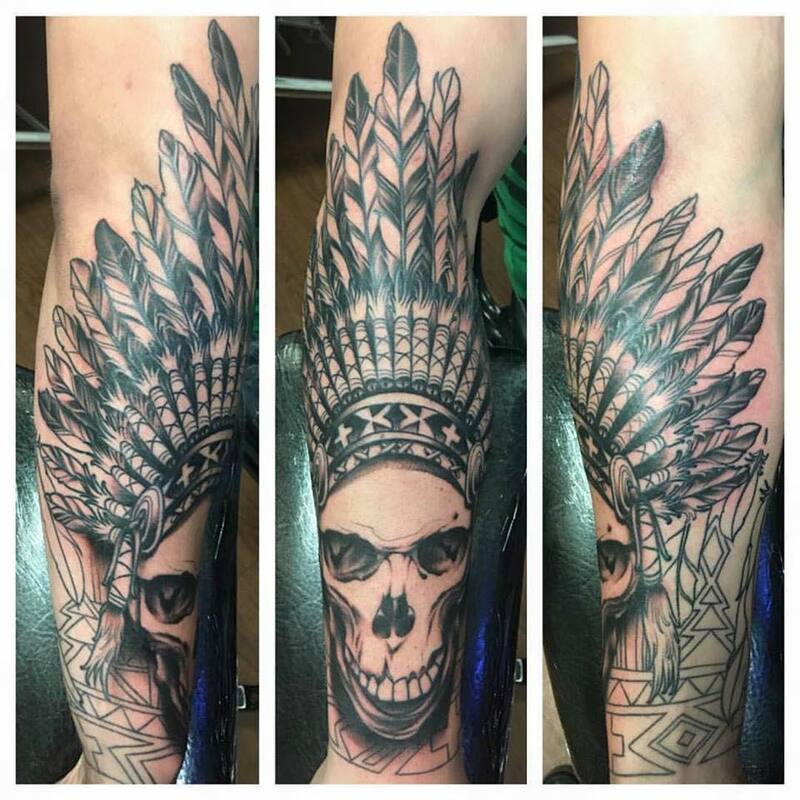 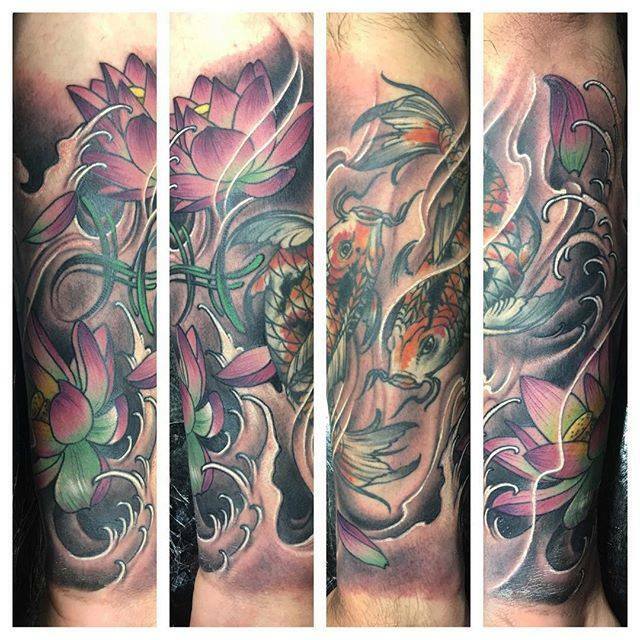 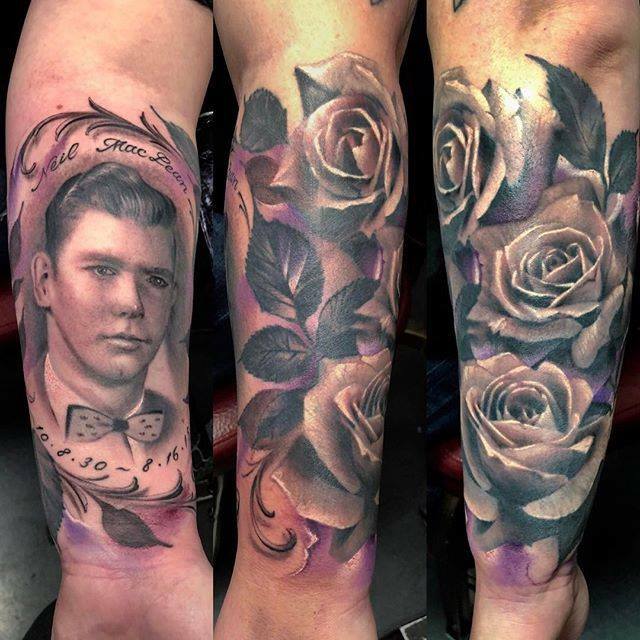 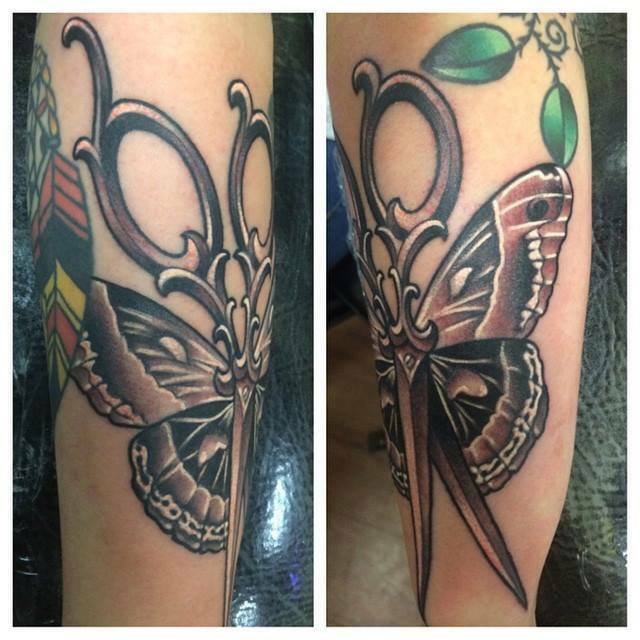 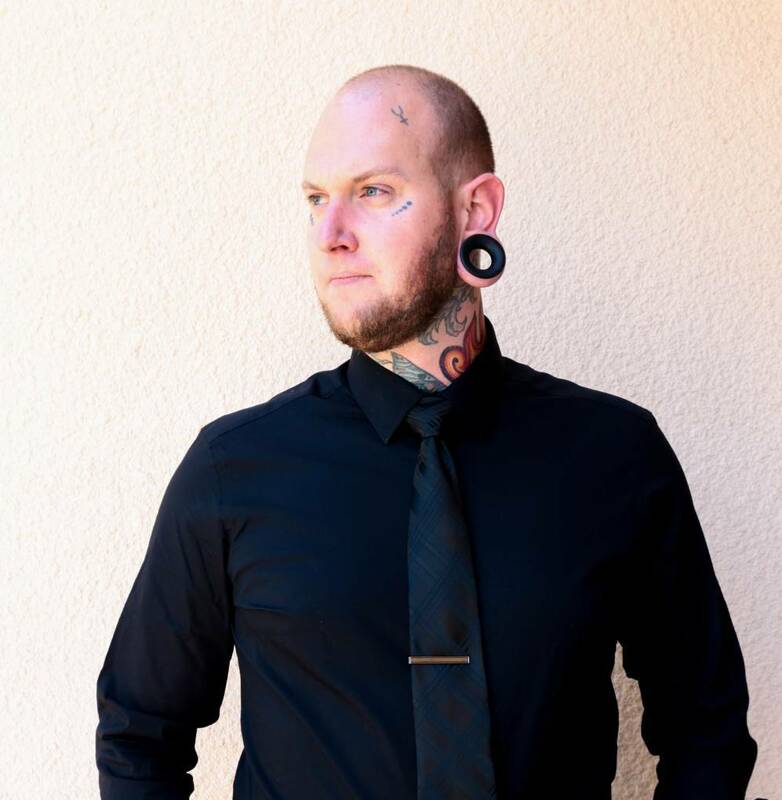 Jesse started tattooing in early 2005 under an informal apprenticeship in Rocklin CA where he honed his skills and made the transition the tattooing medium. 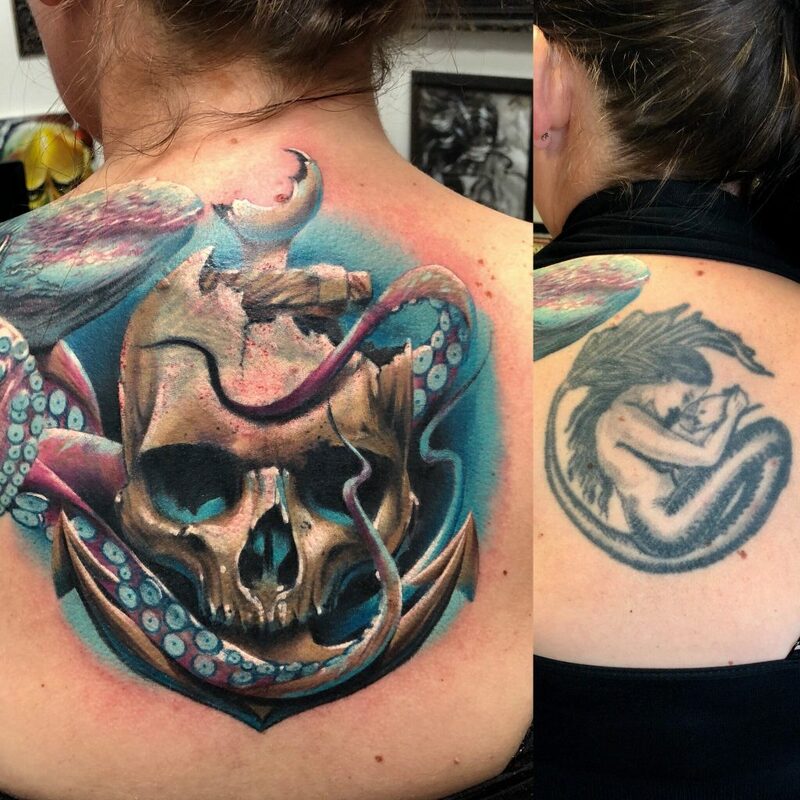 Being very comfortable with many other mediums and a good understanding of composition, contrast and subject matter, the tattooing medium came naturally and was soon dubbed “tattoo artist”. 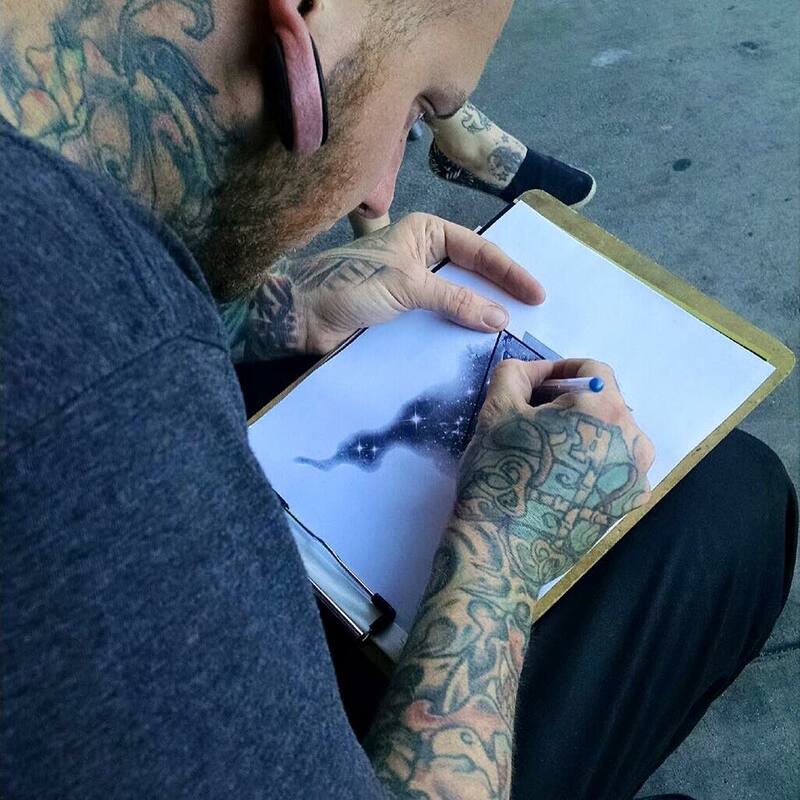 Jesse has a very specific idea of what tattoos should look like and a strong drive to constantly reinvent himself in his art. 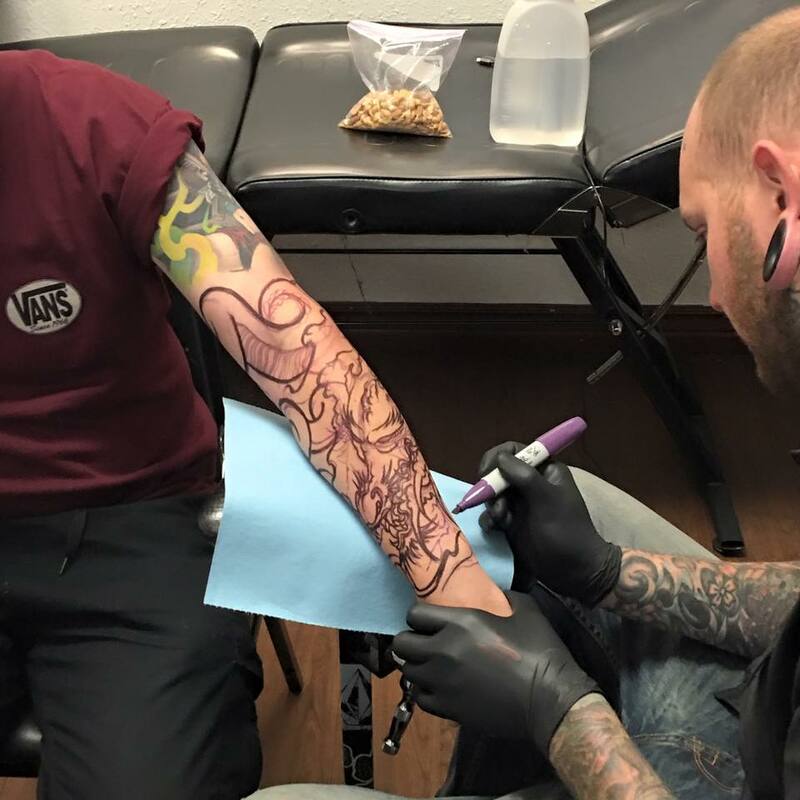 Over the years he has grown to accommodate many styles of tattooing, however you will always be able to spot Jesse’s tattoos. 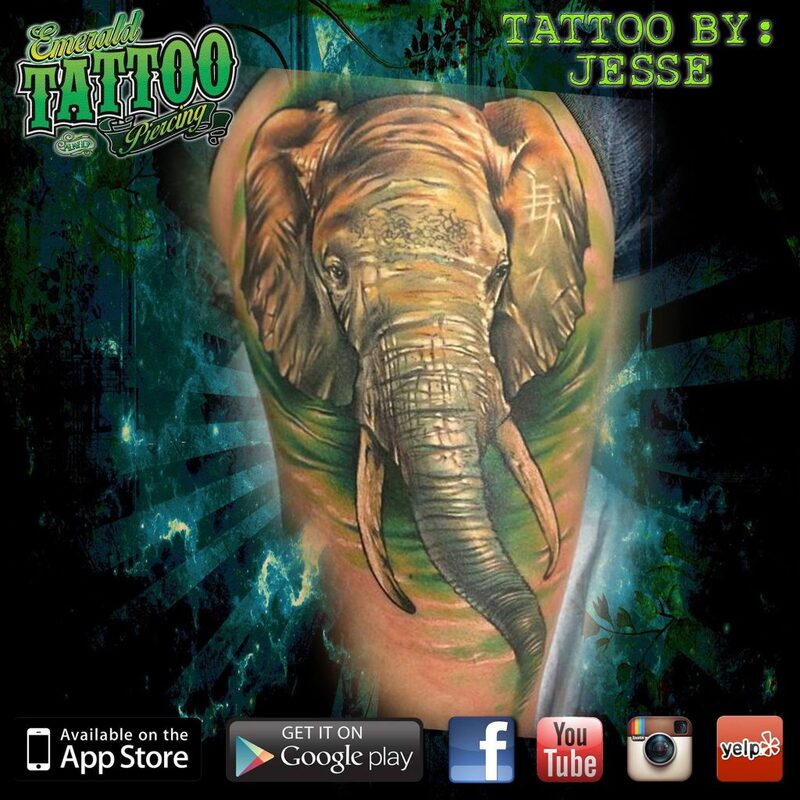 Jesse’s specific style can be described as painterly, colorful, captivating and bold and award winning…. 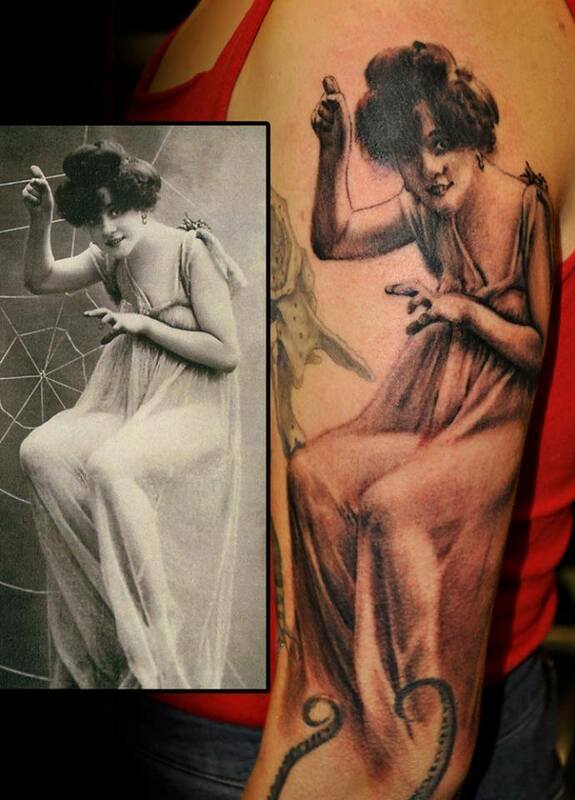 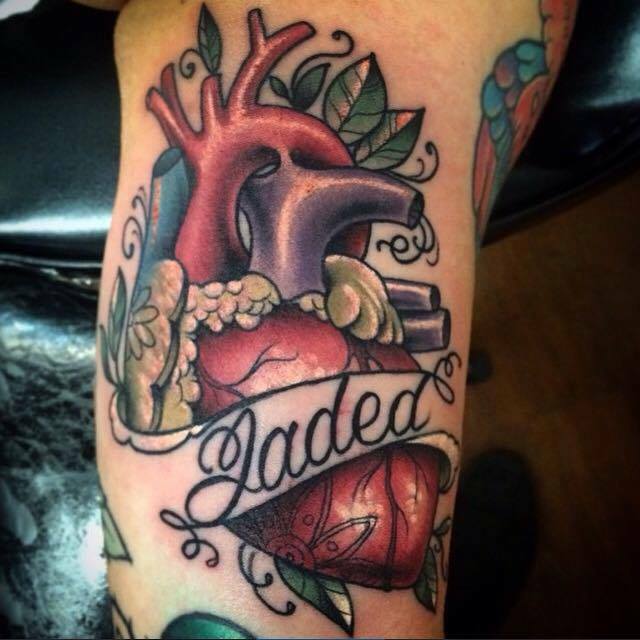 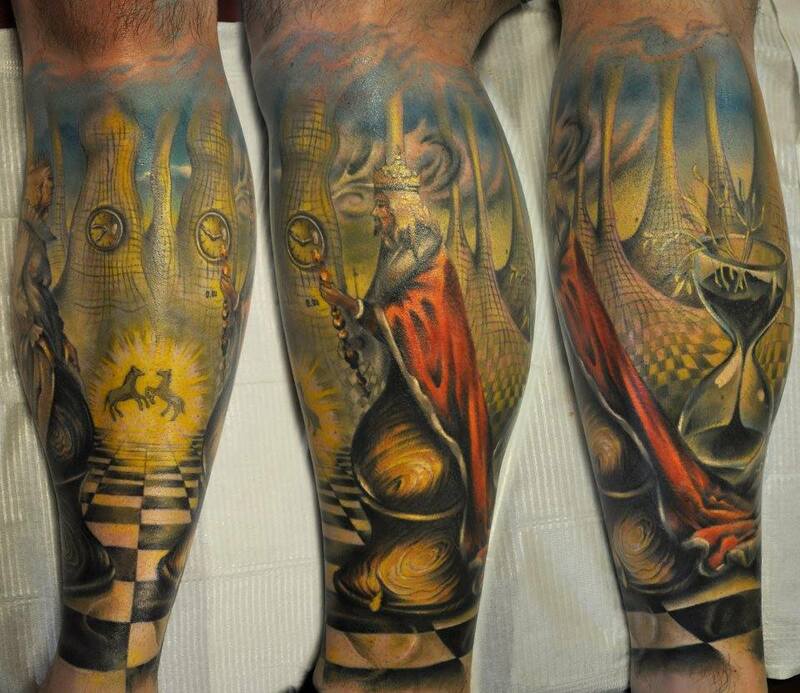 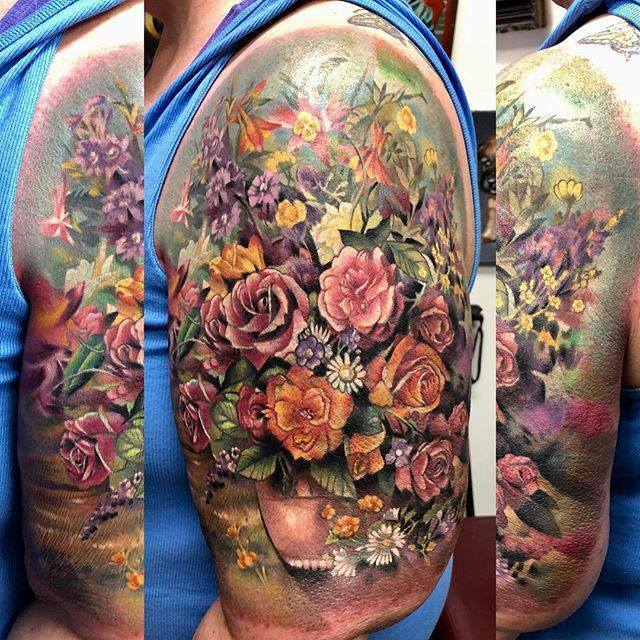 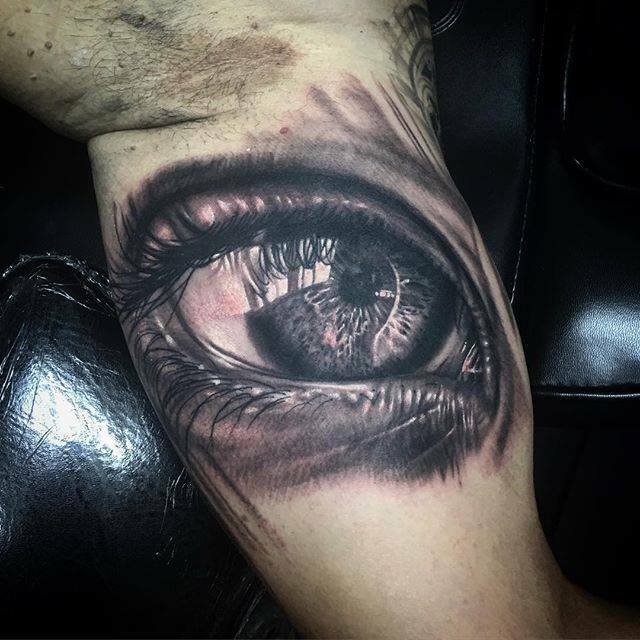 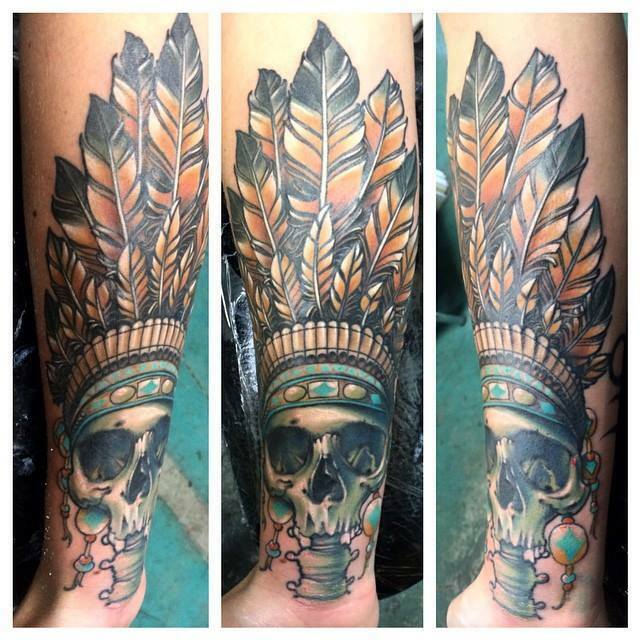 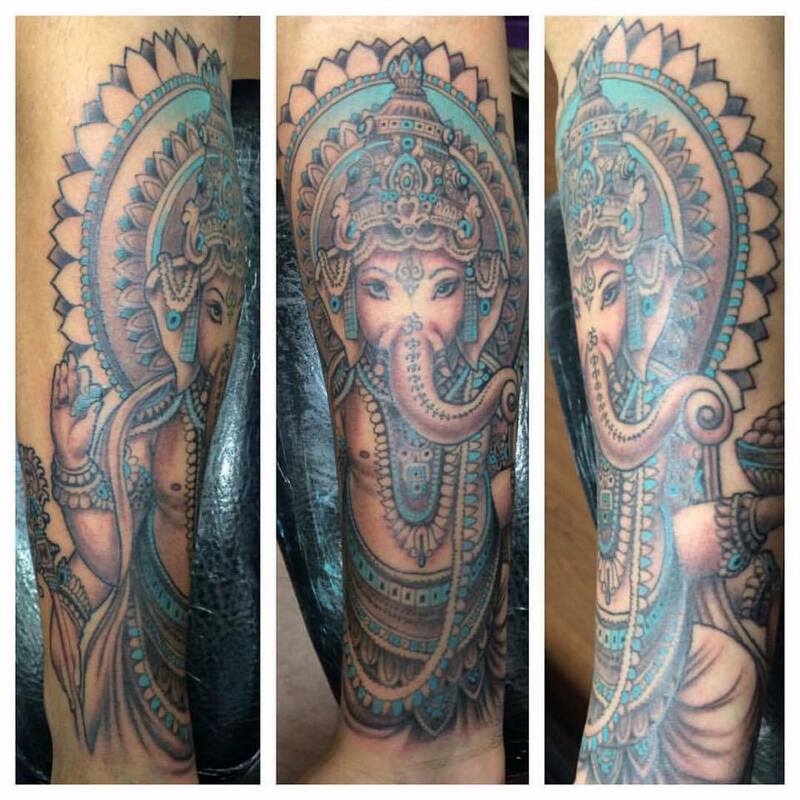 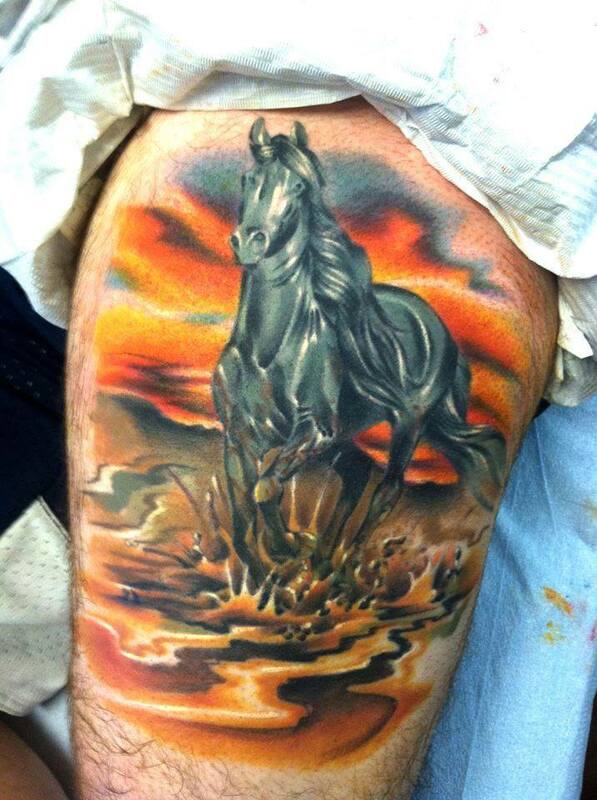 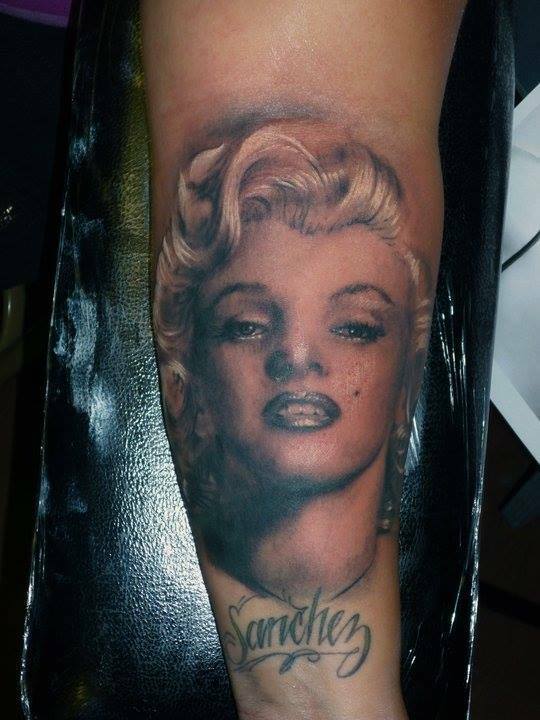 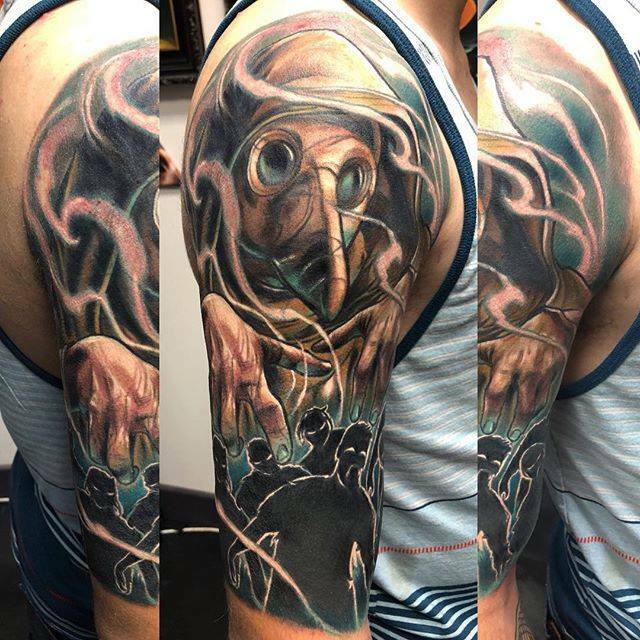 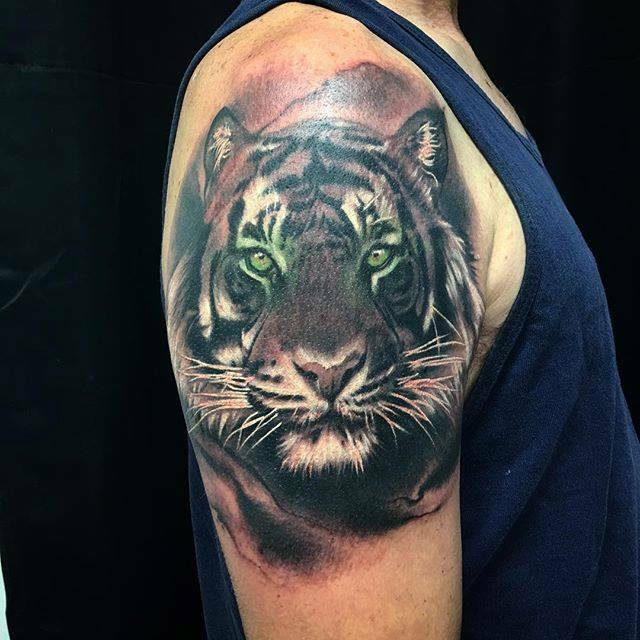 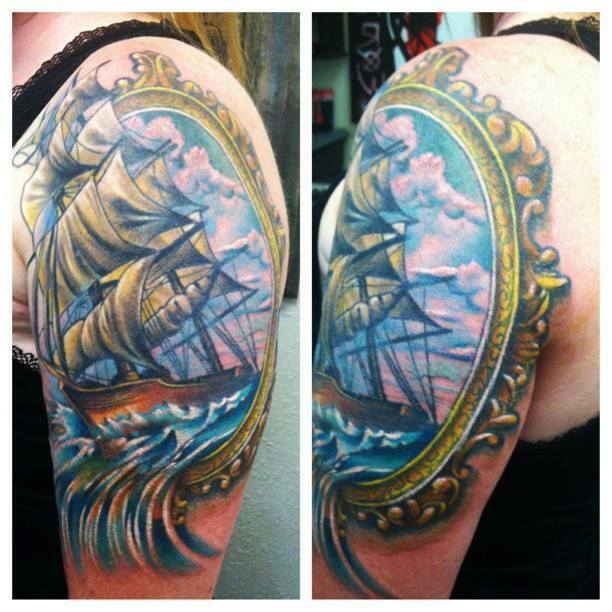 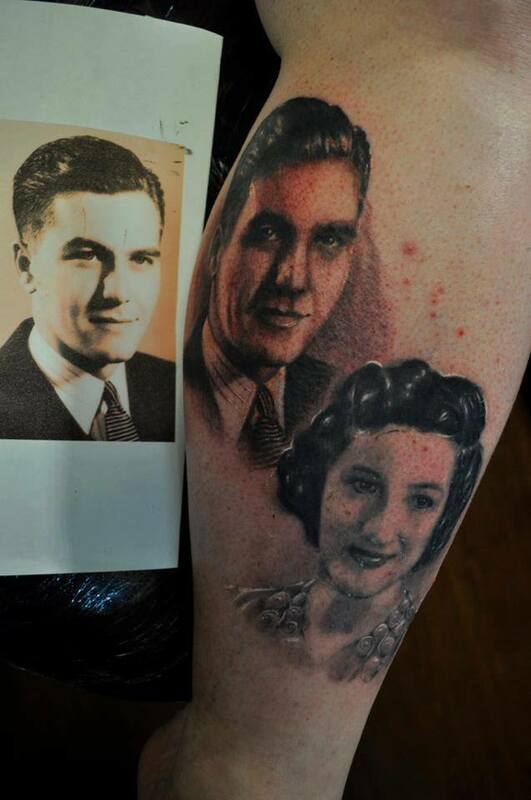 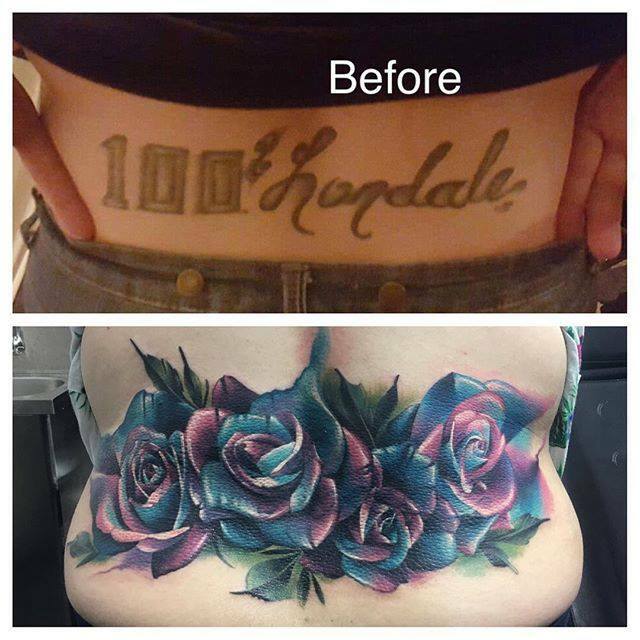 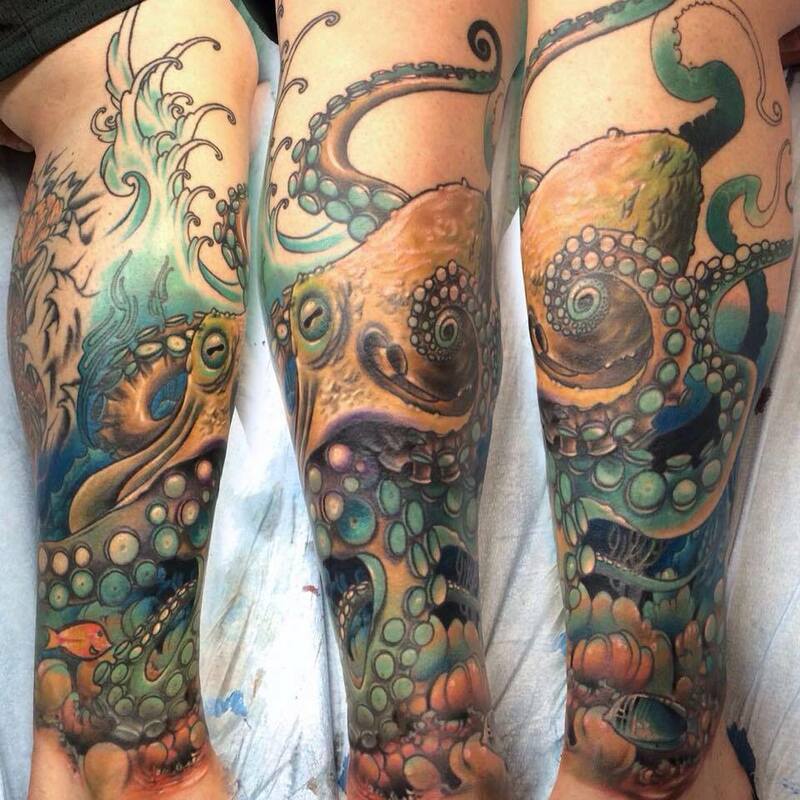 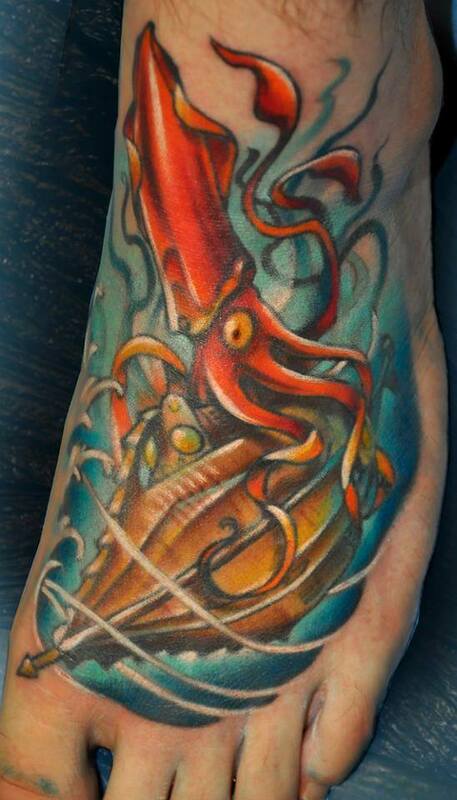 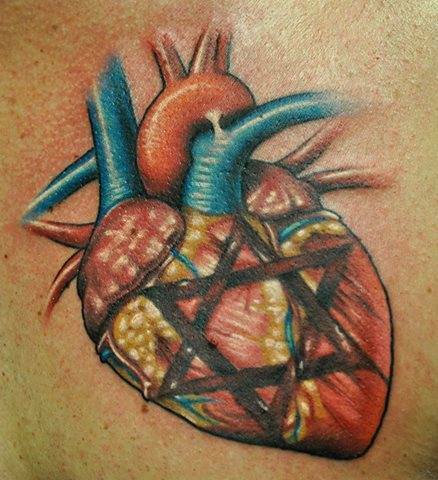 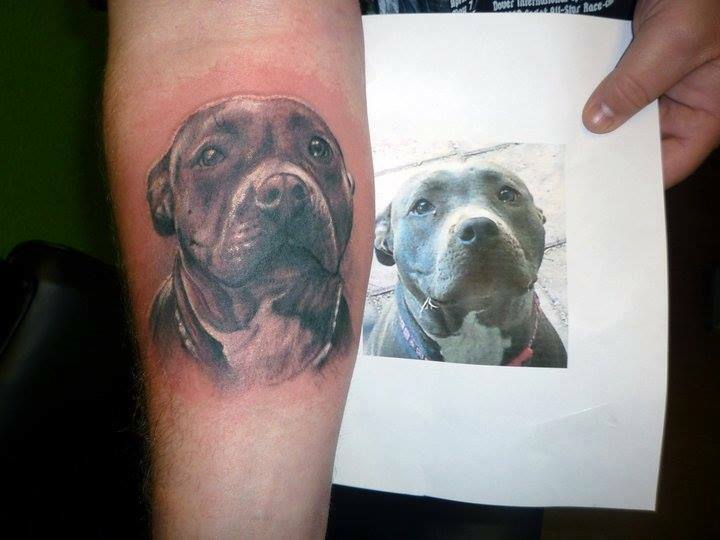 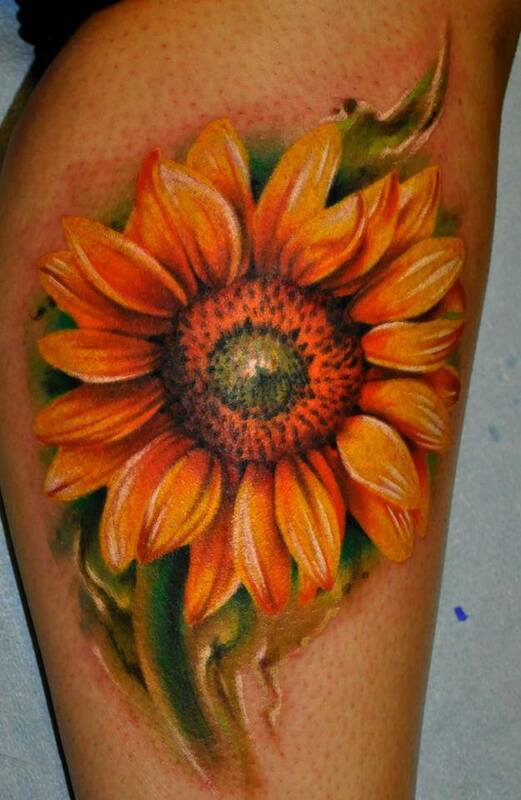 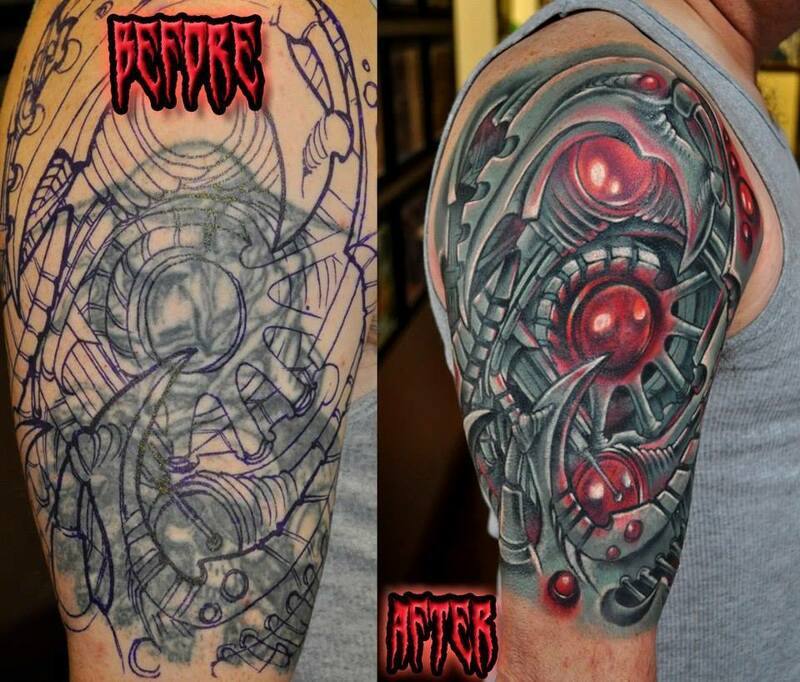 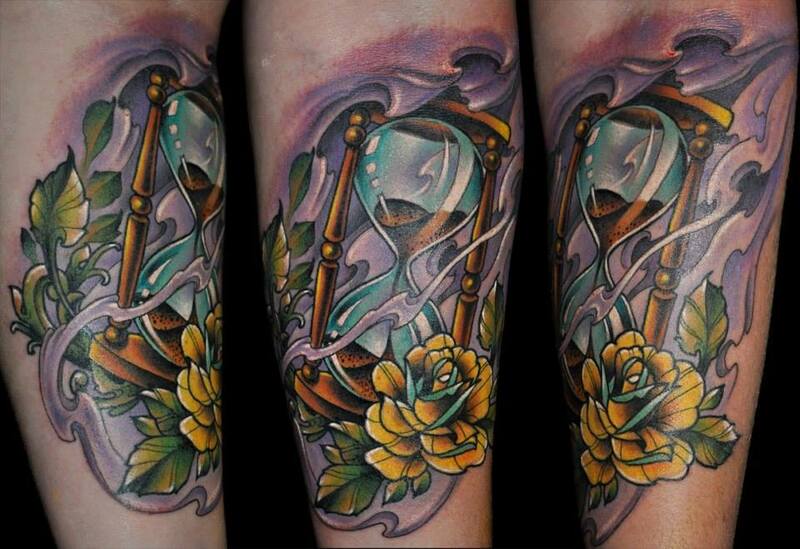 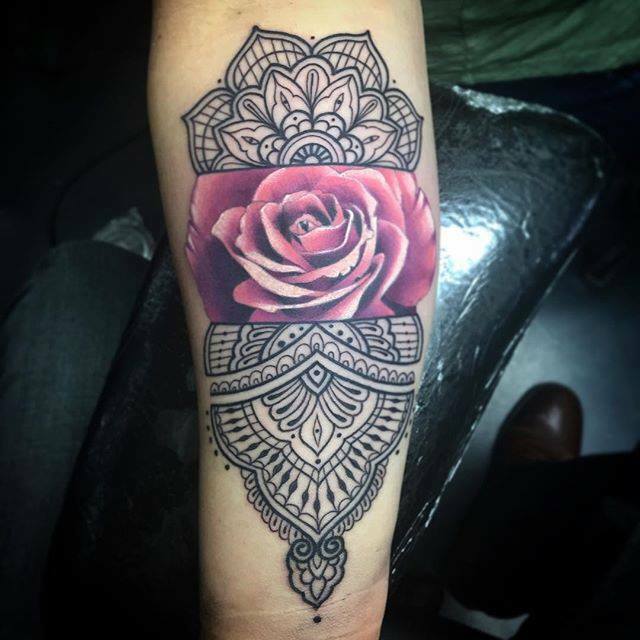 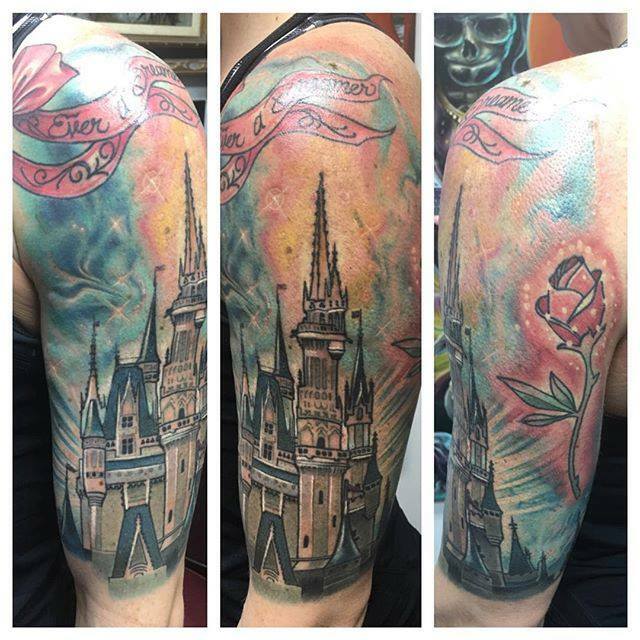 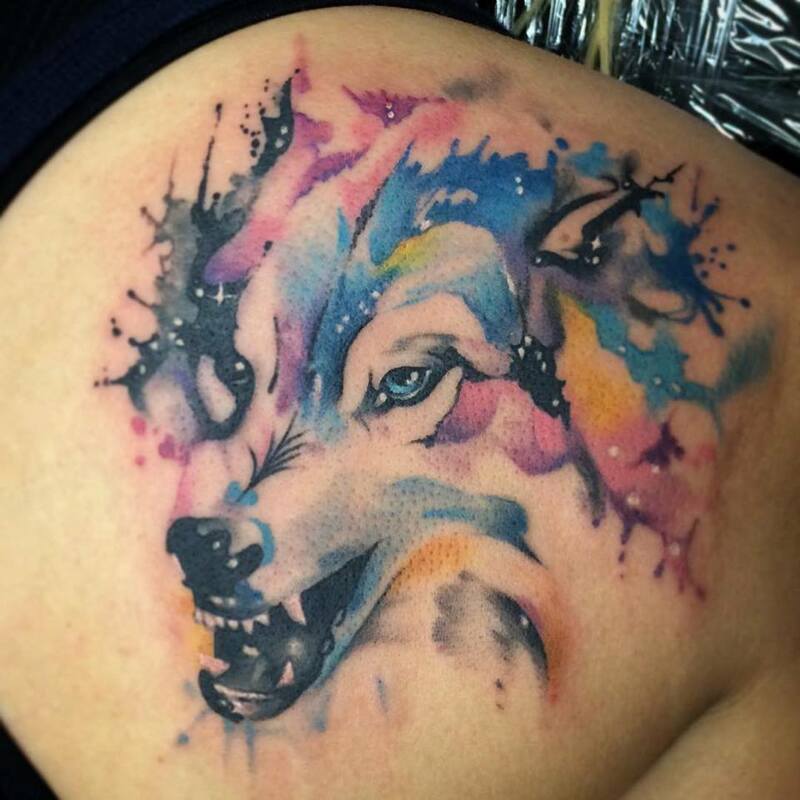 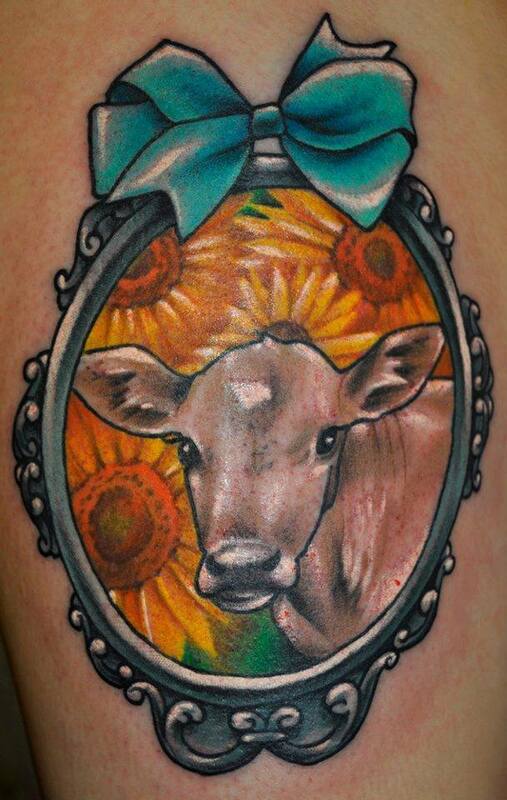 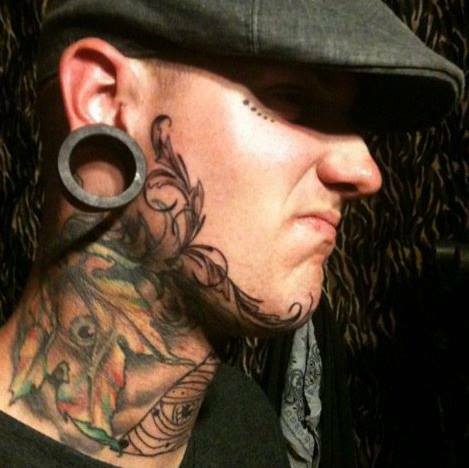 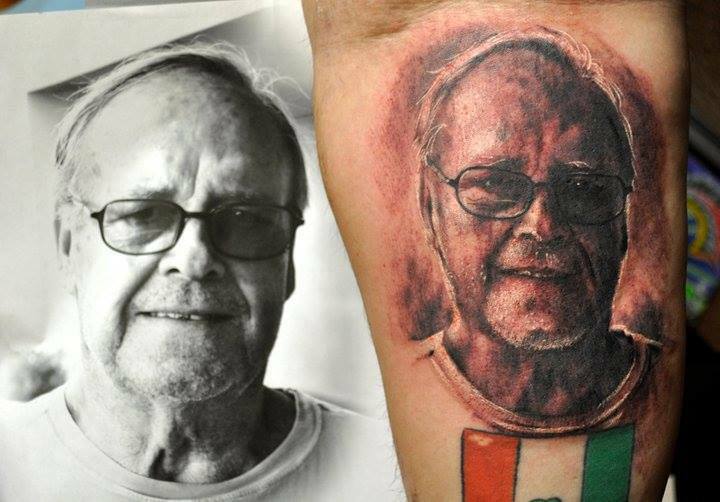 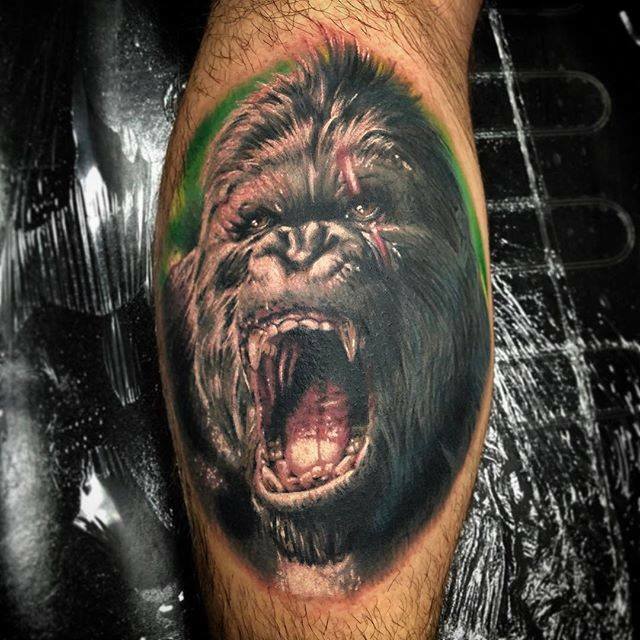 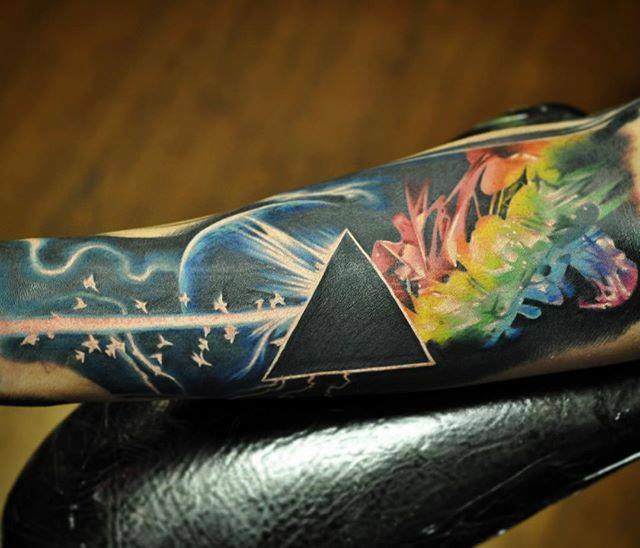 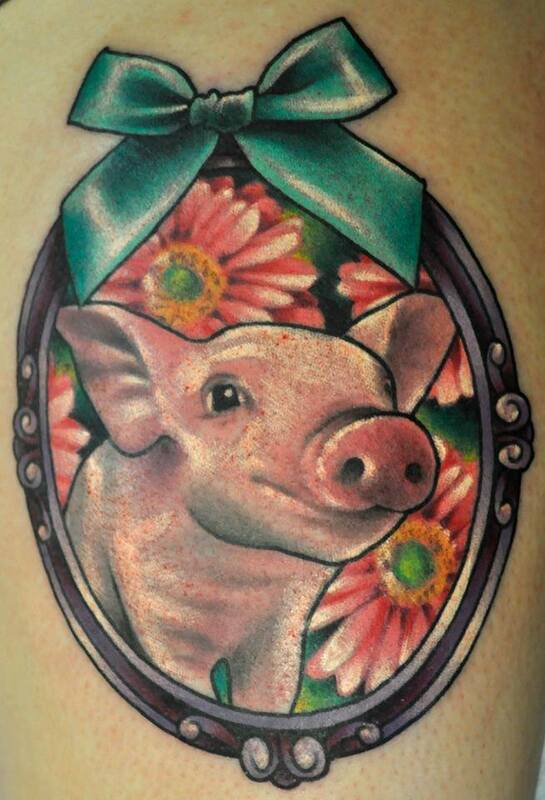 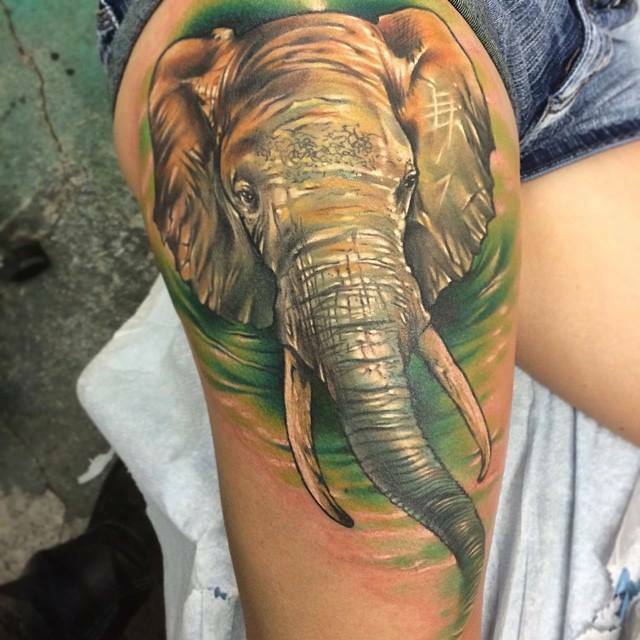 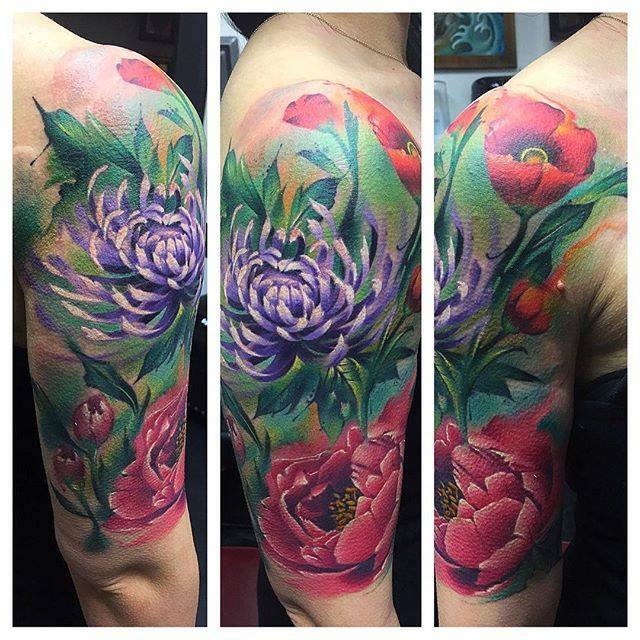 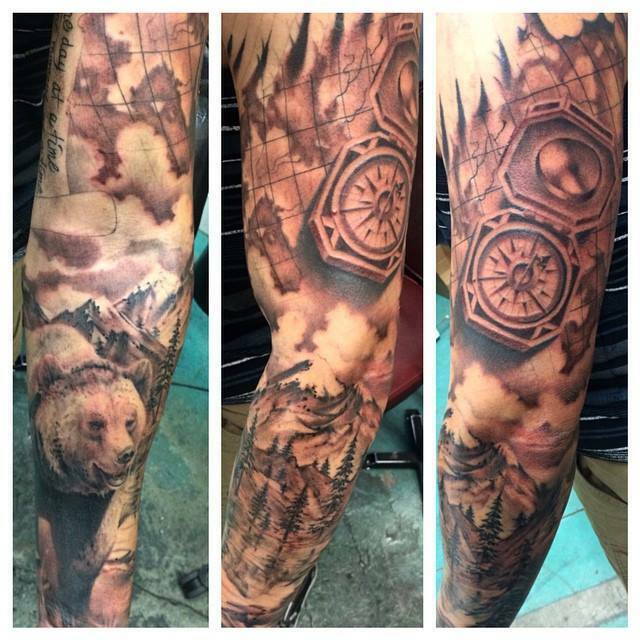 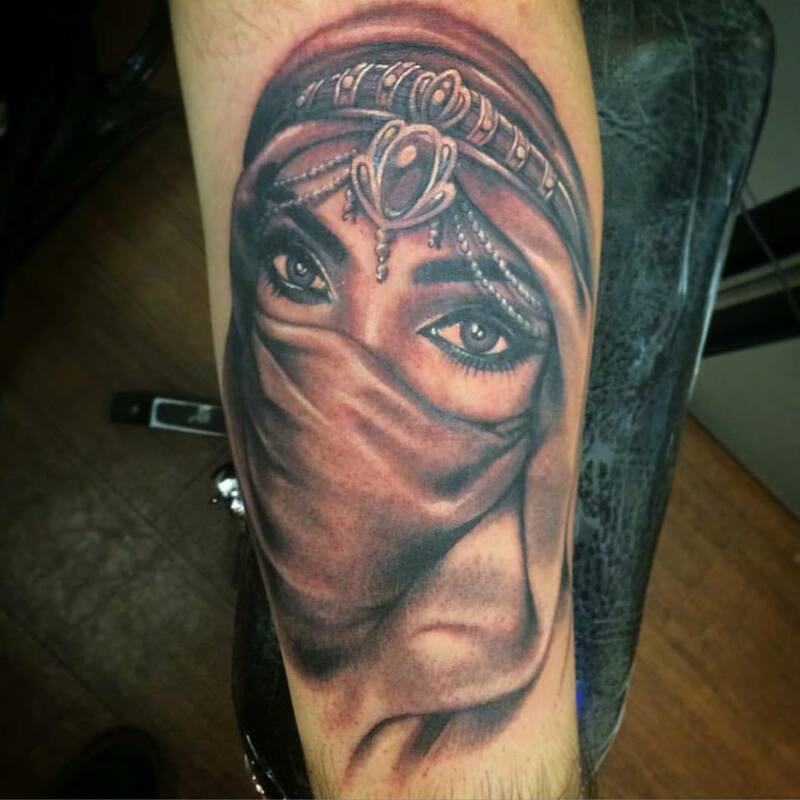 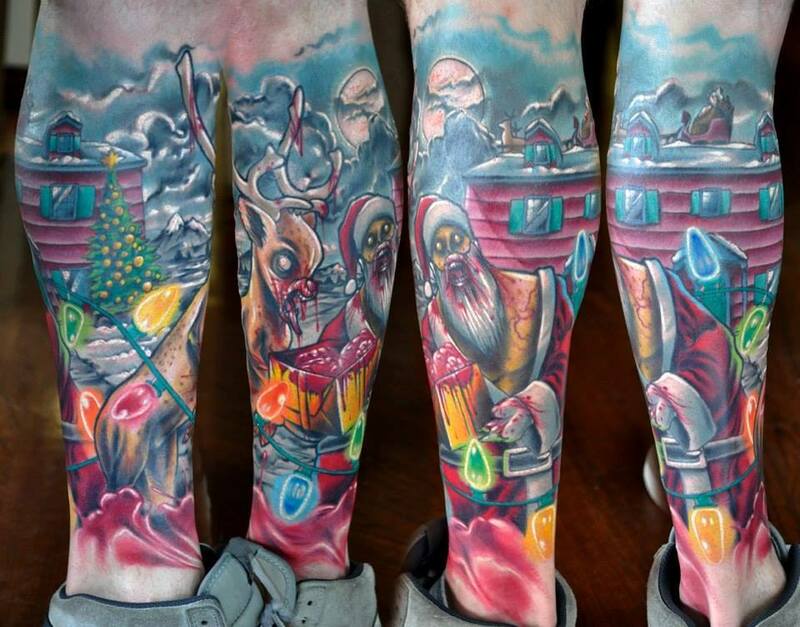 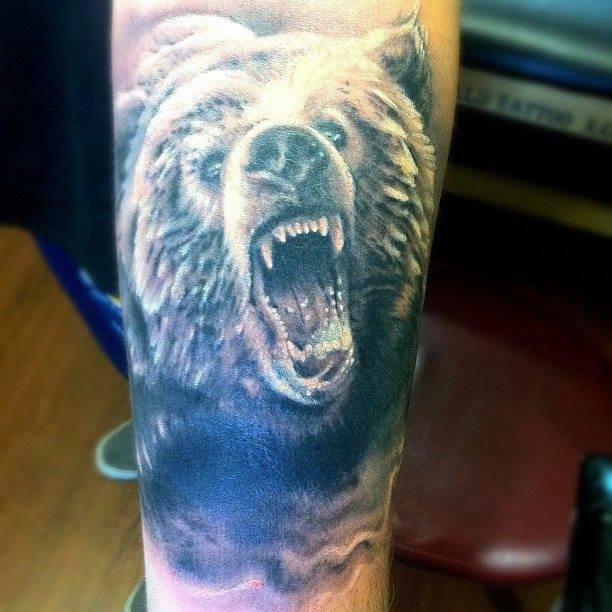 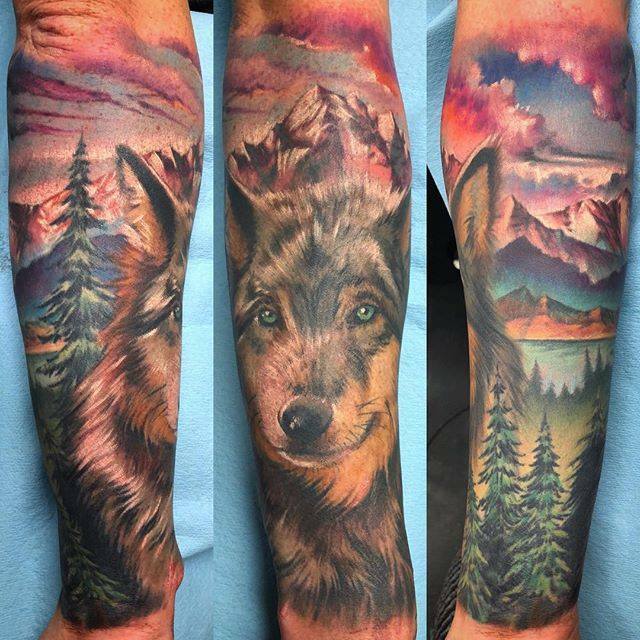 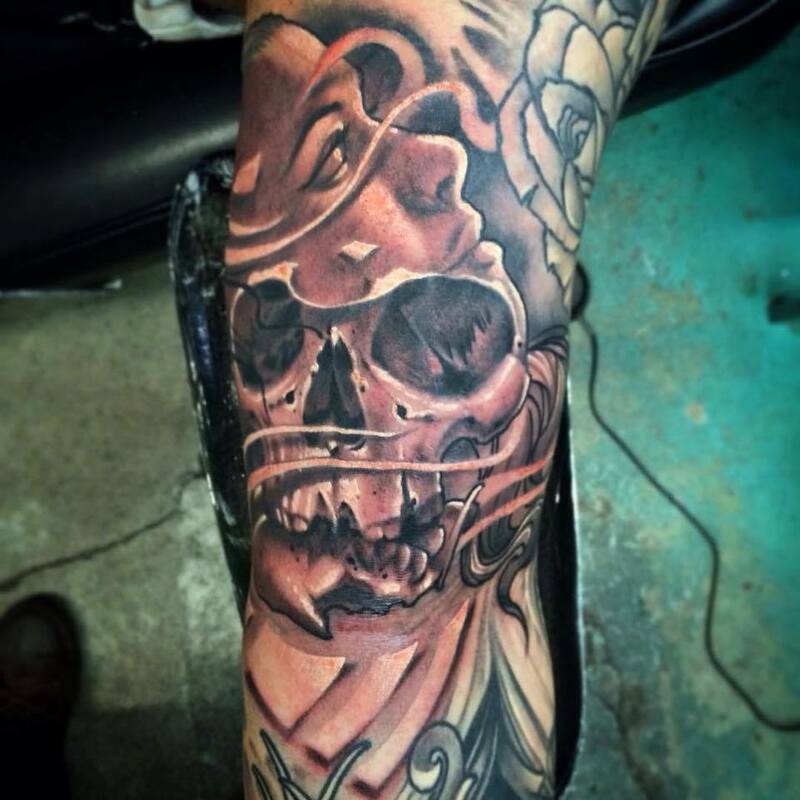 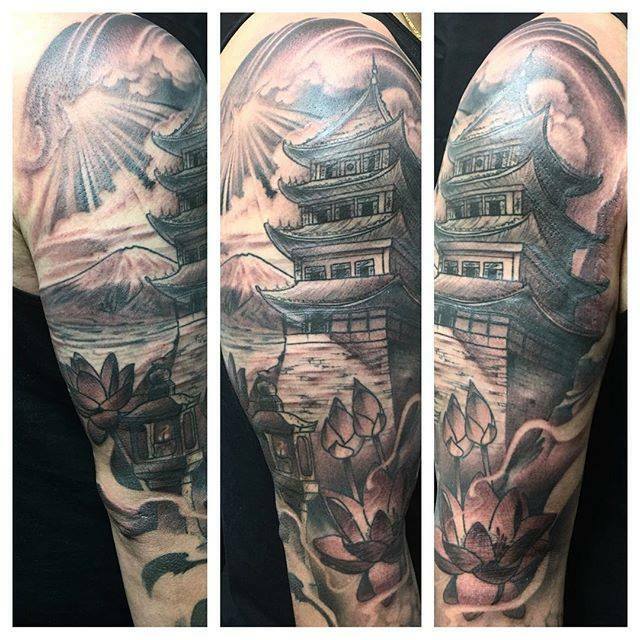 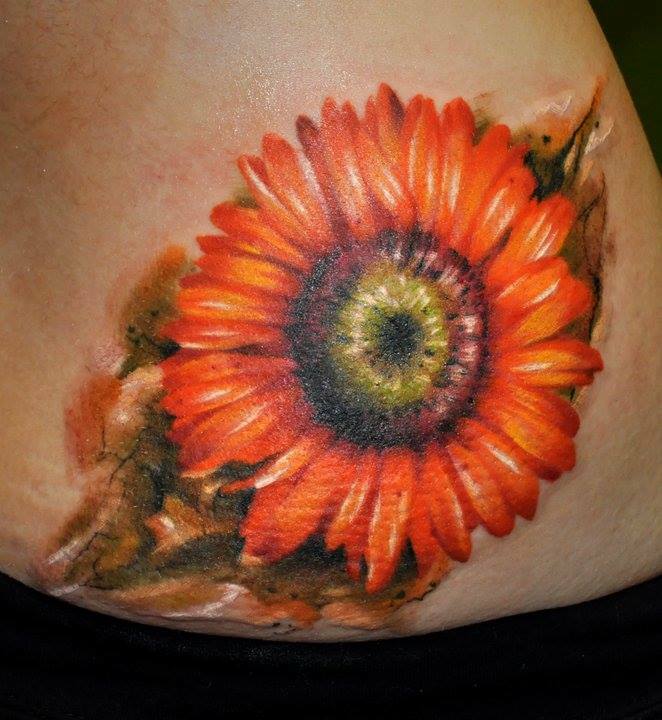 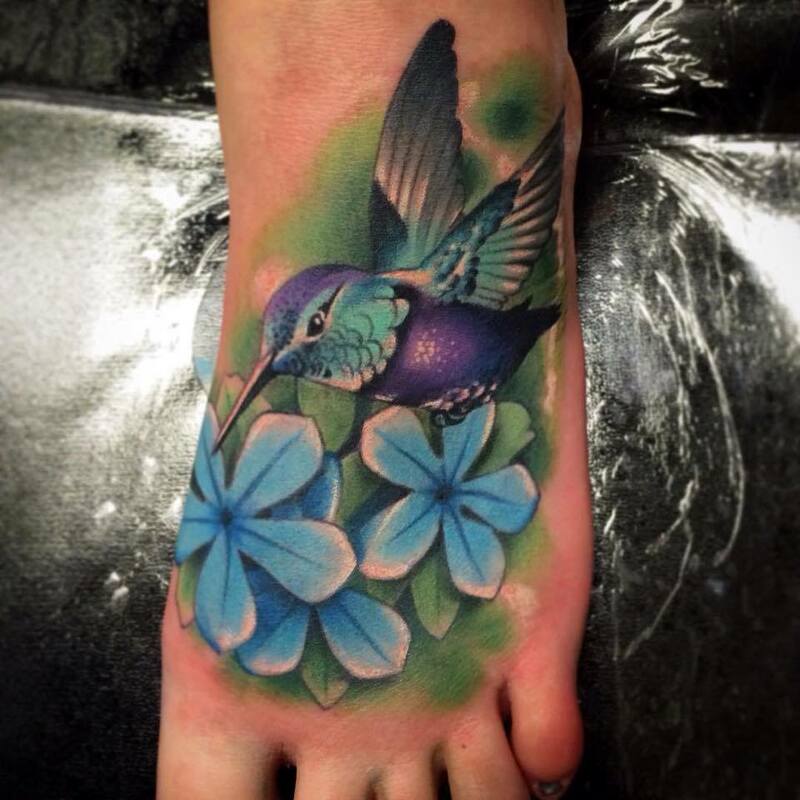 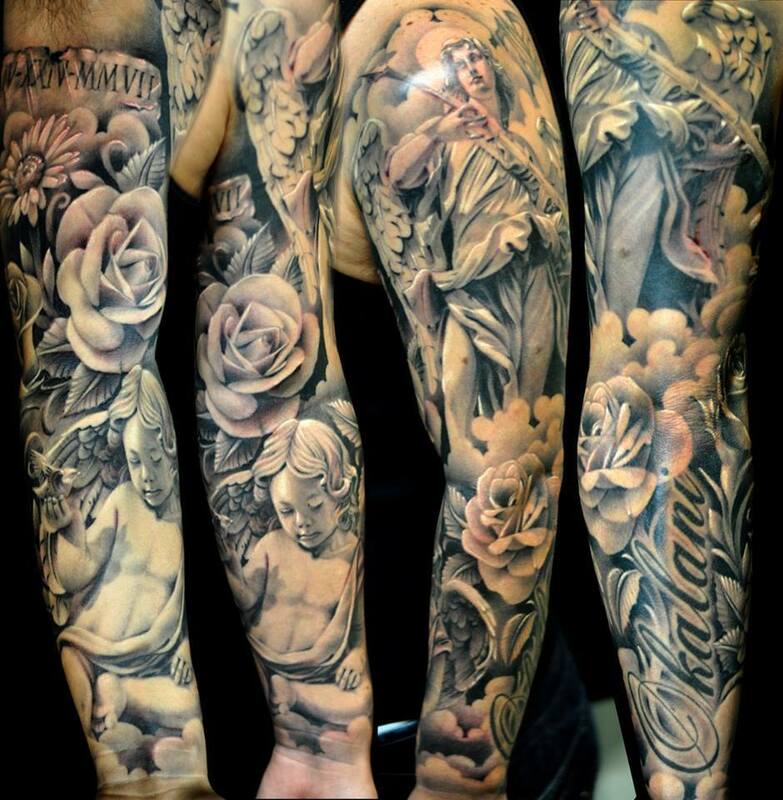 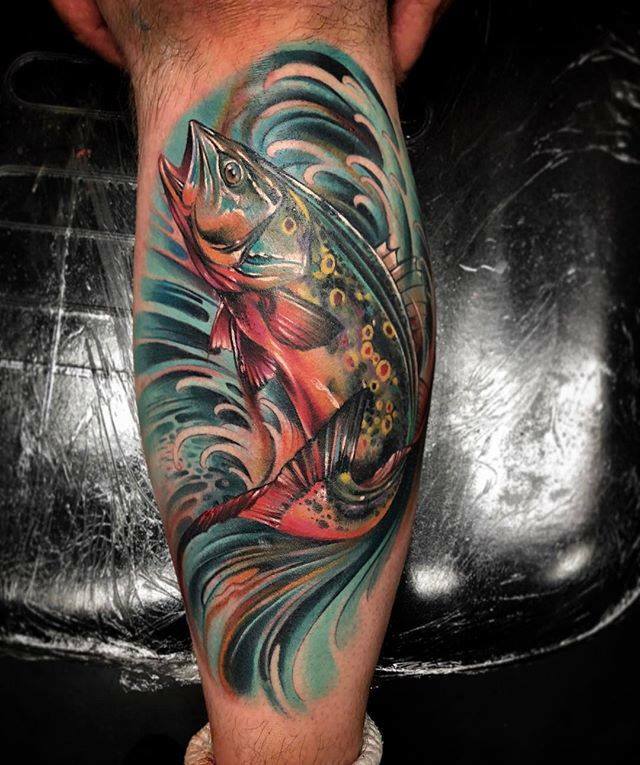 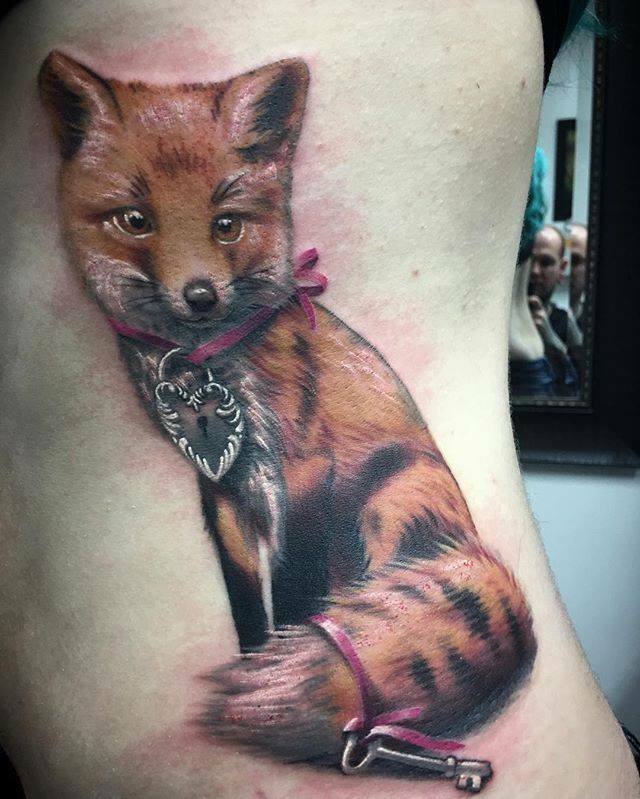 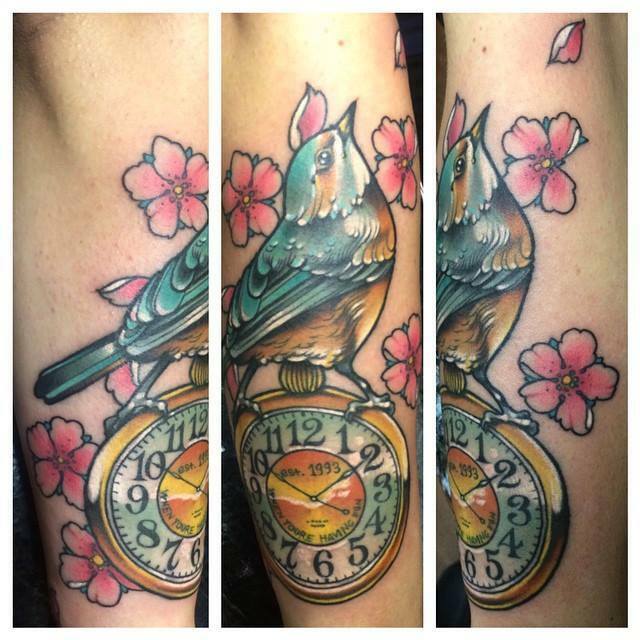 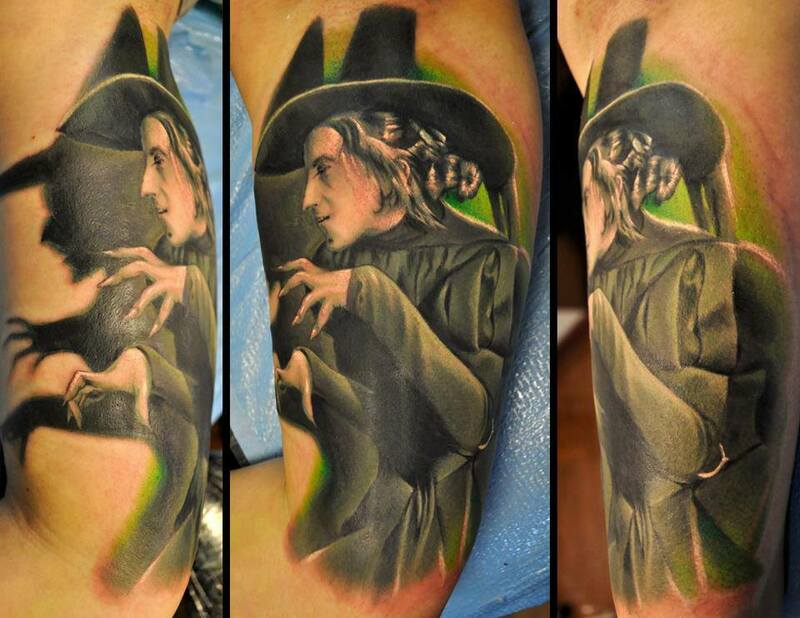 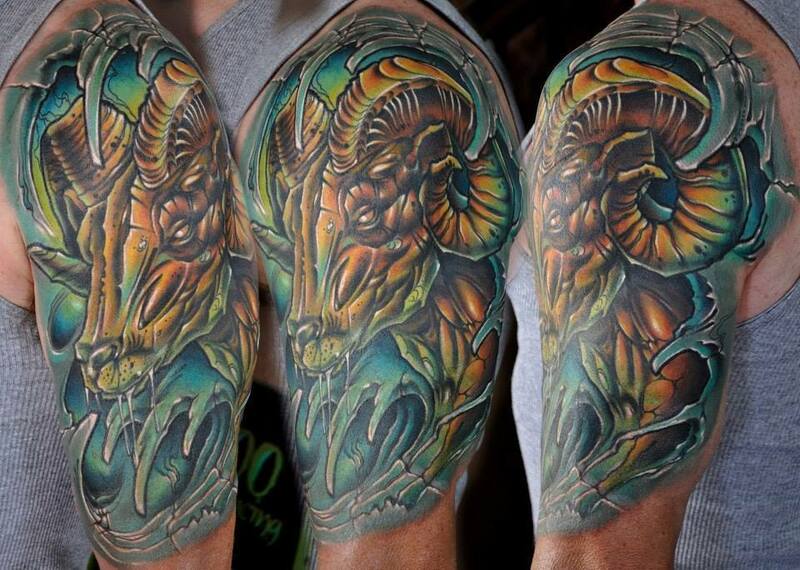 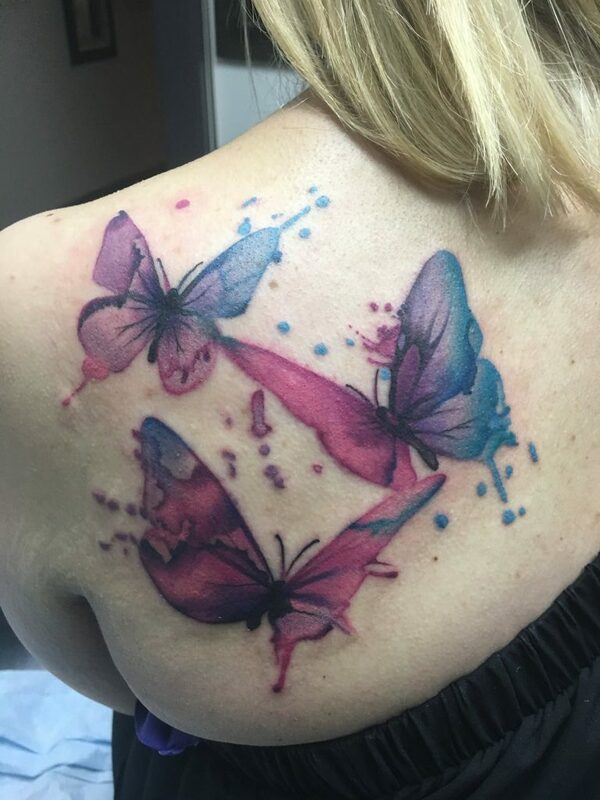 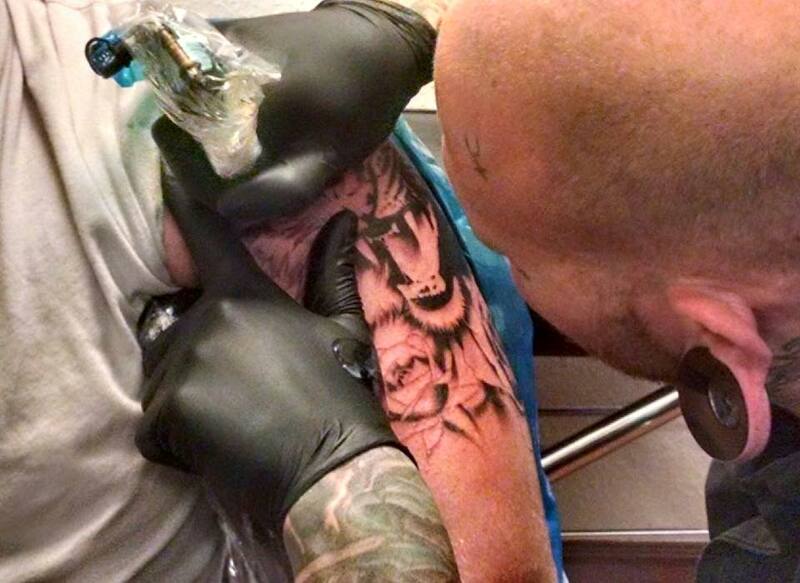 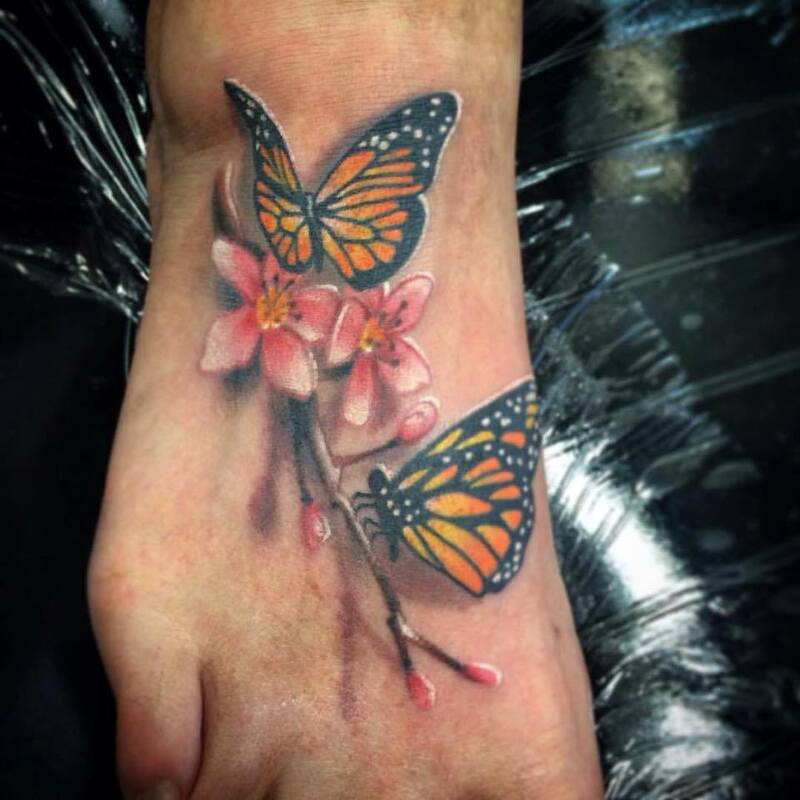 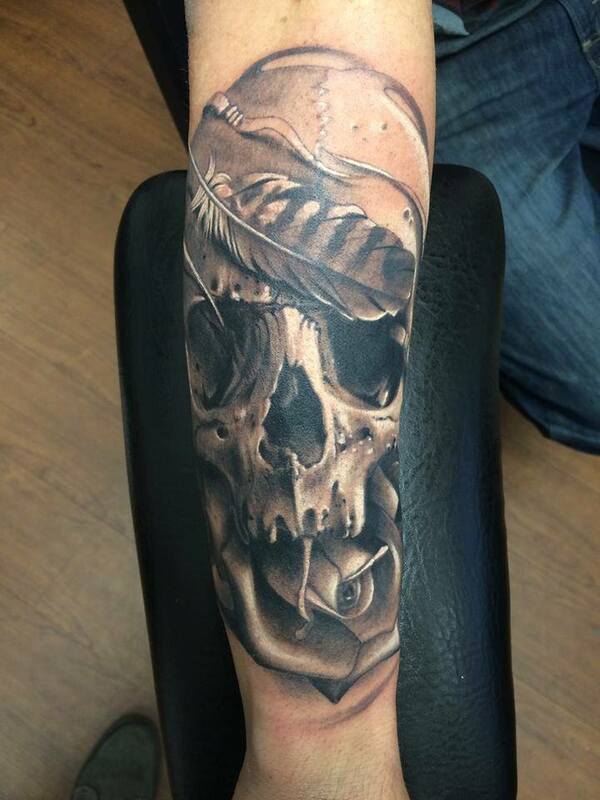 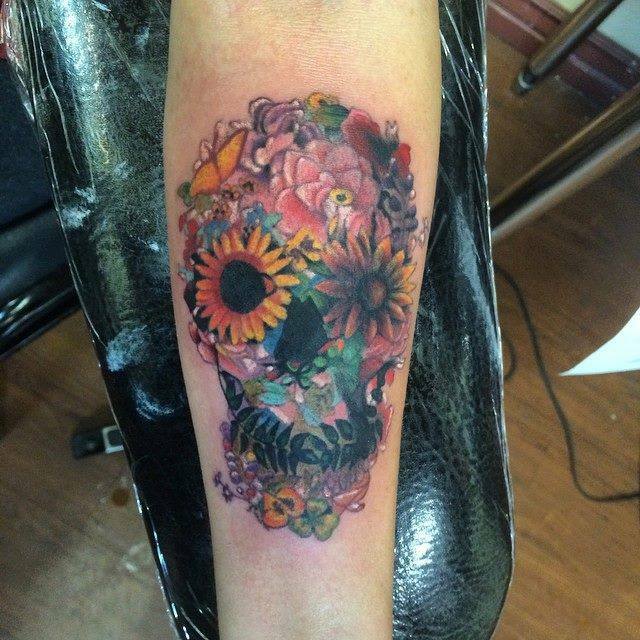 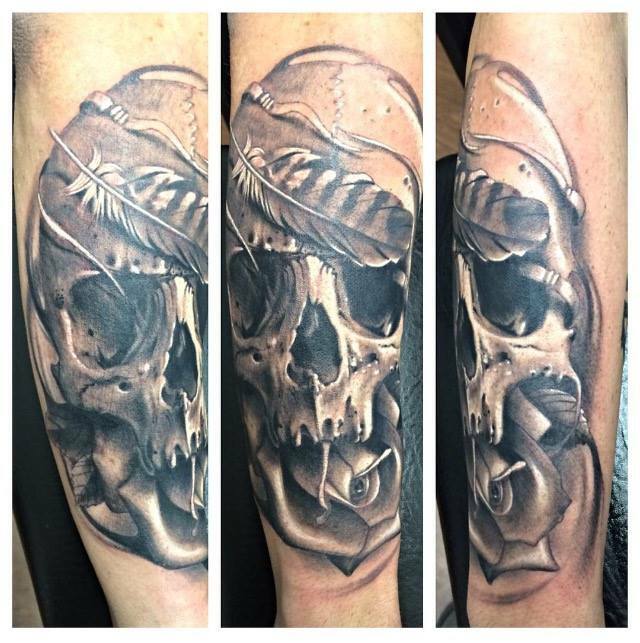 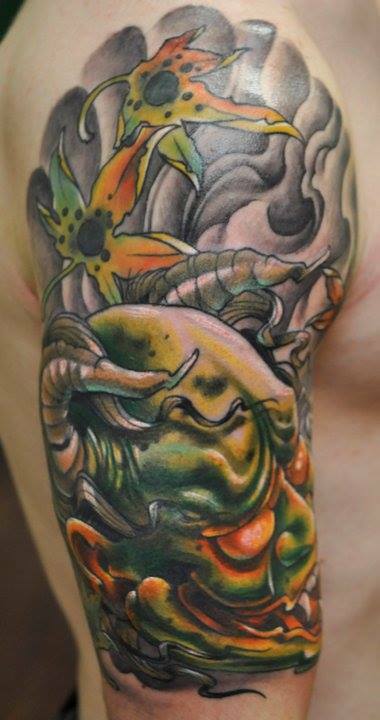 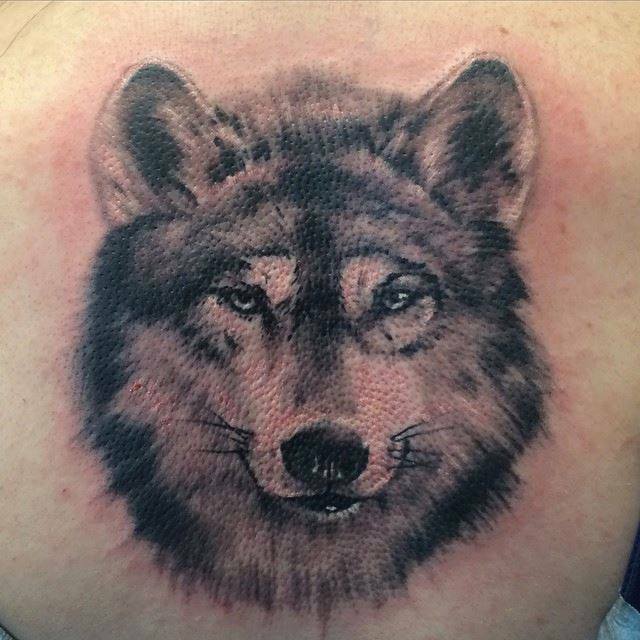 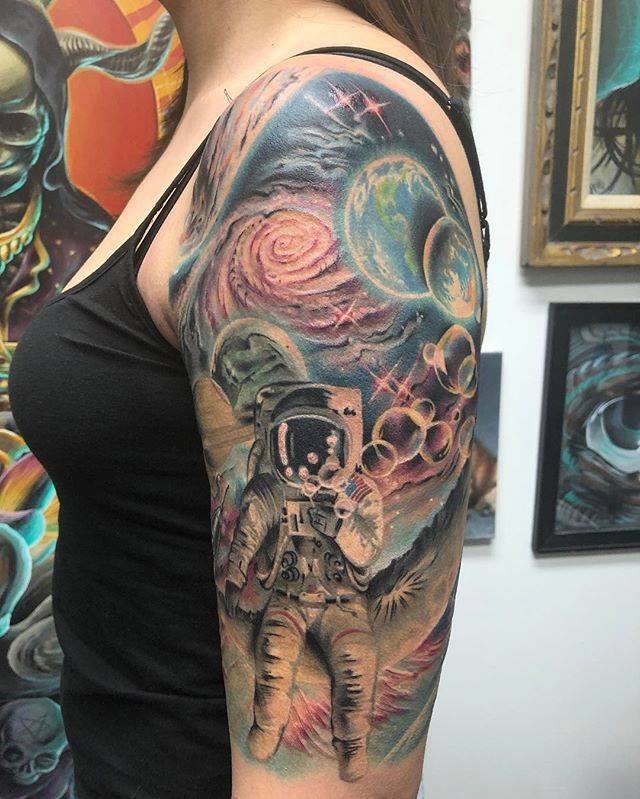 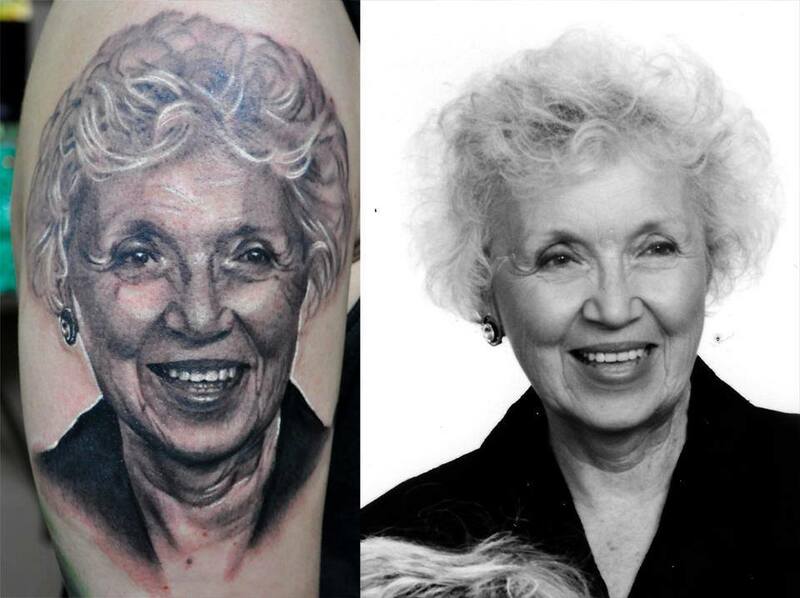 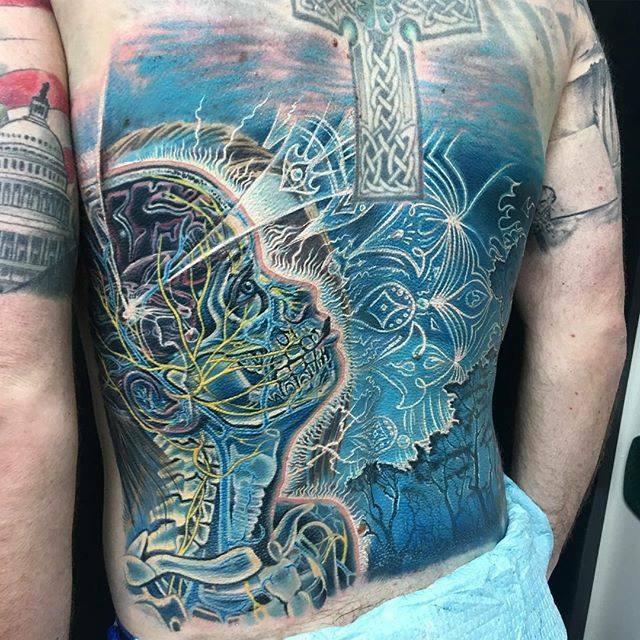 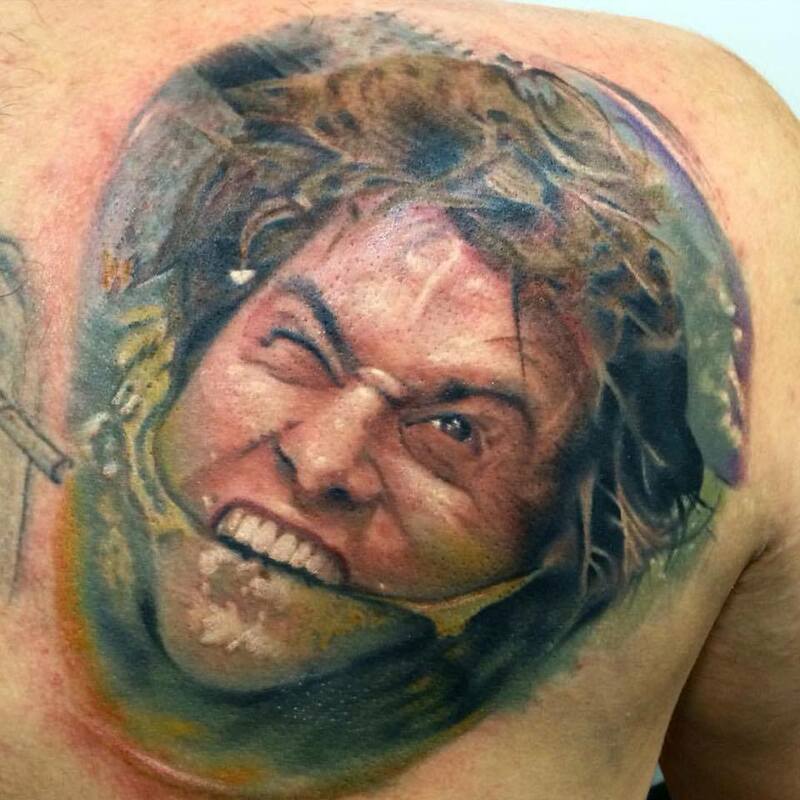 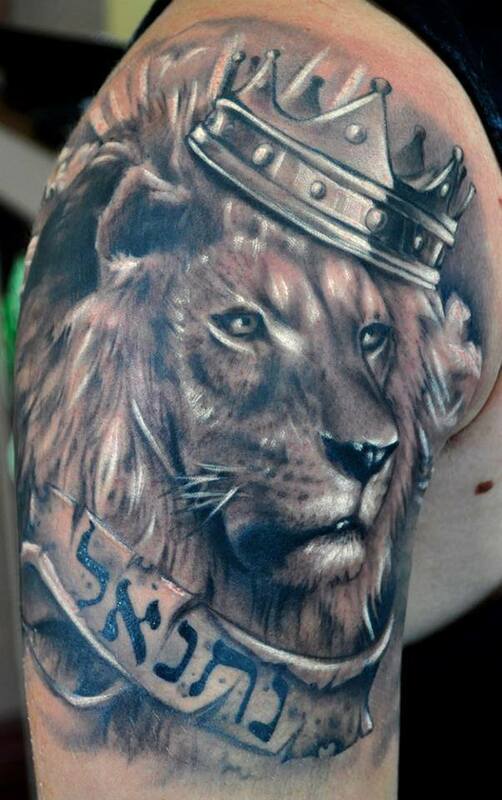 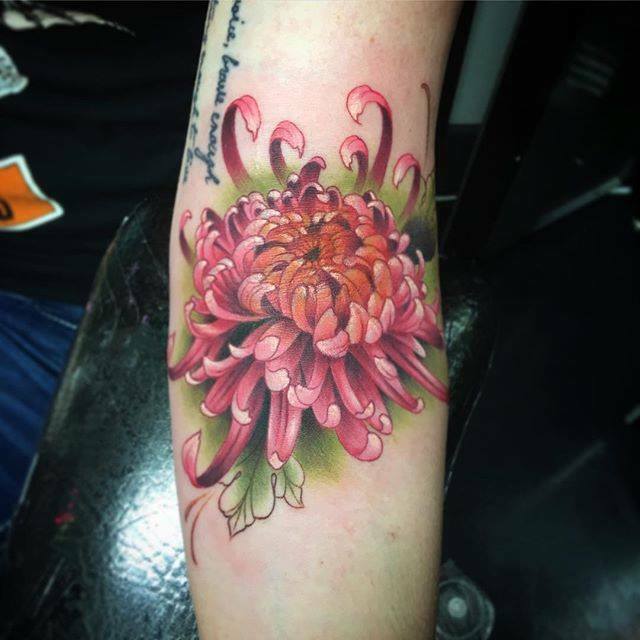 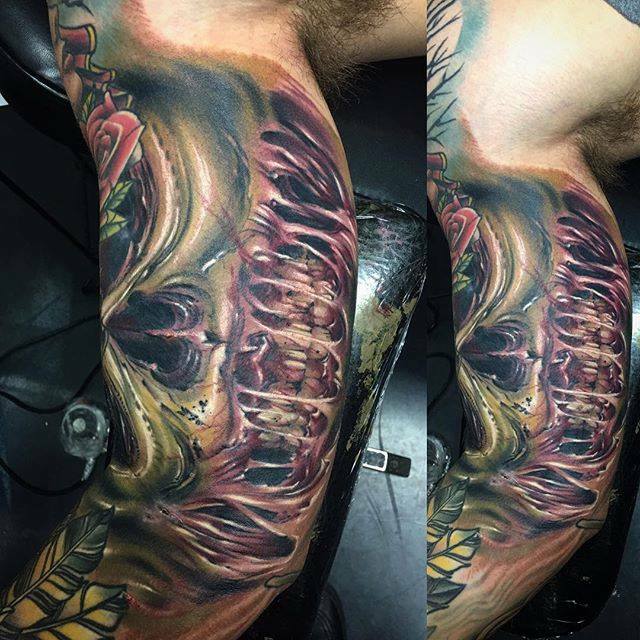 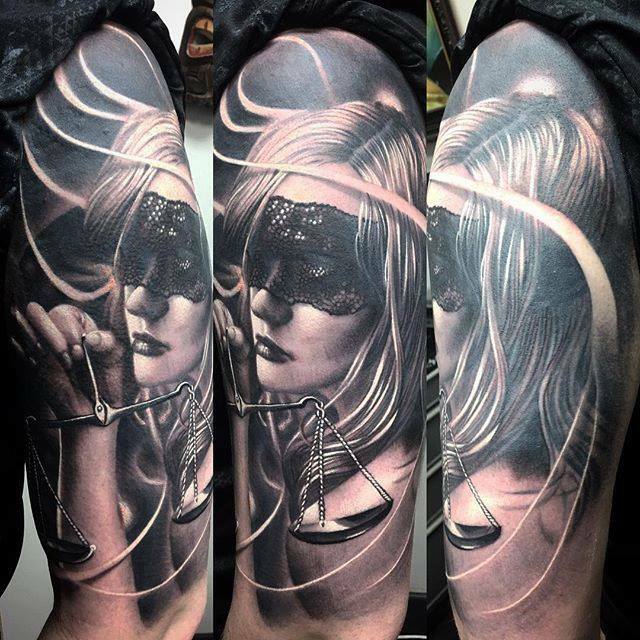 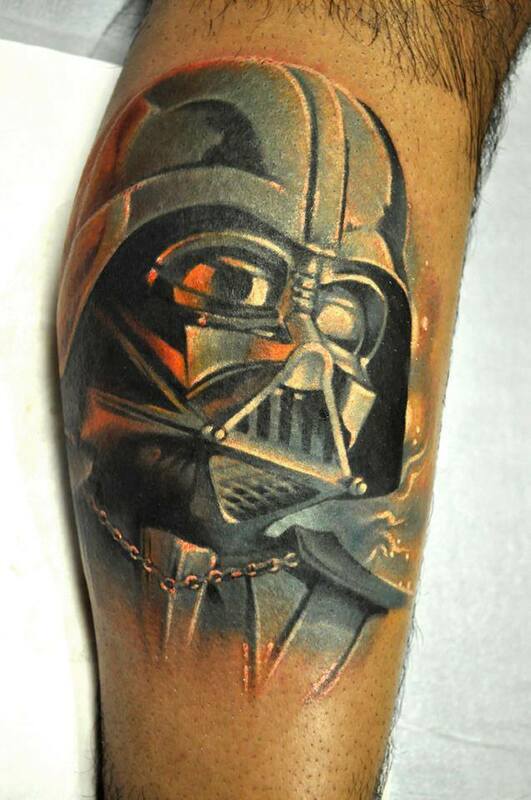 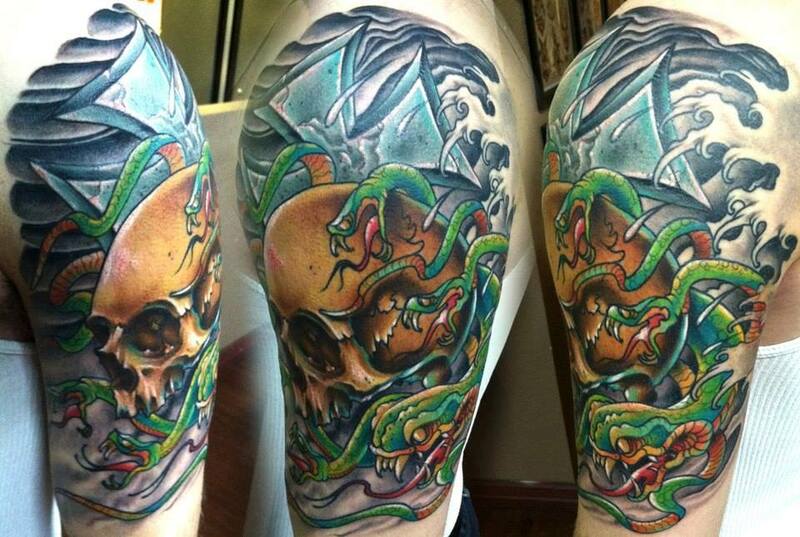 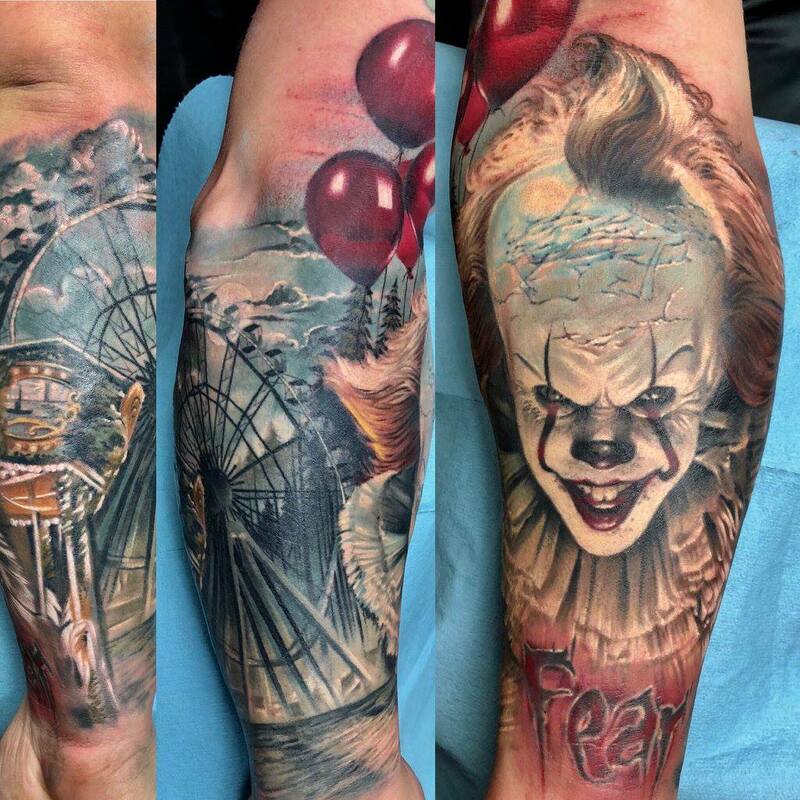 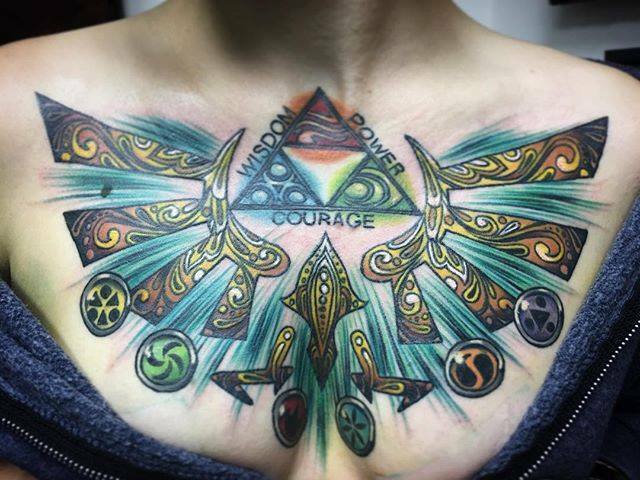 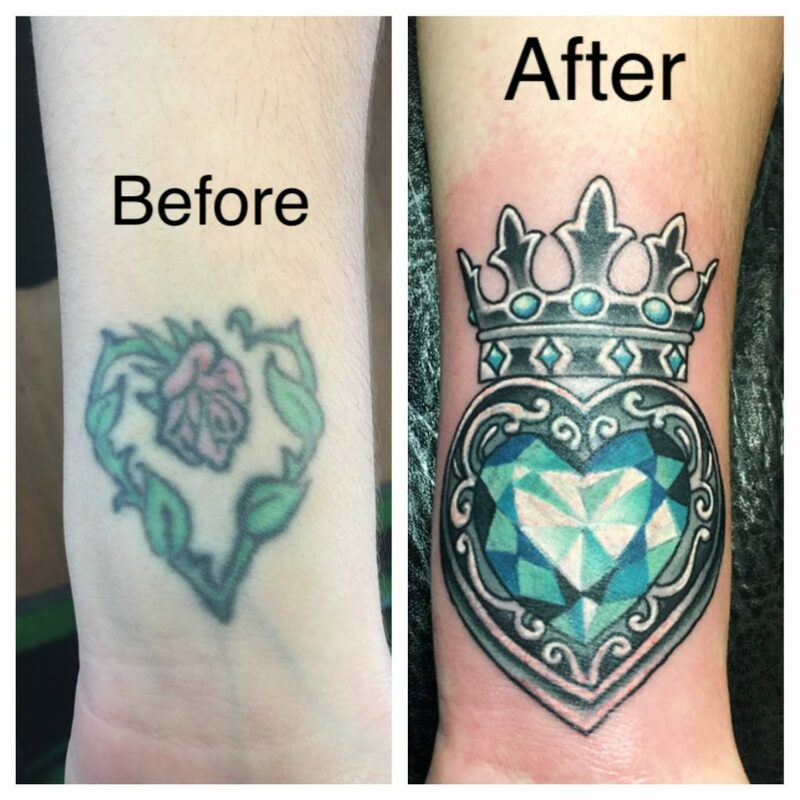 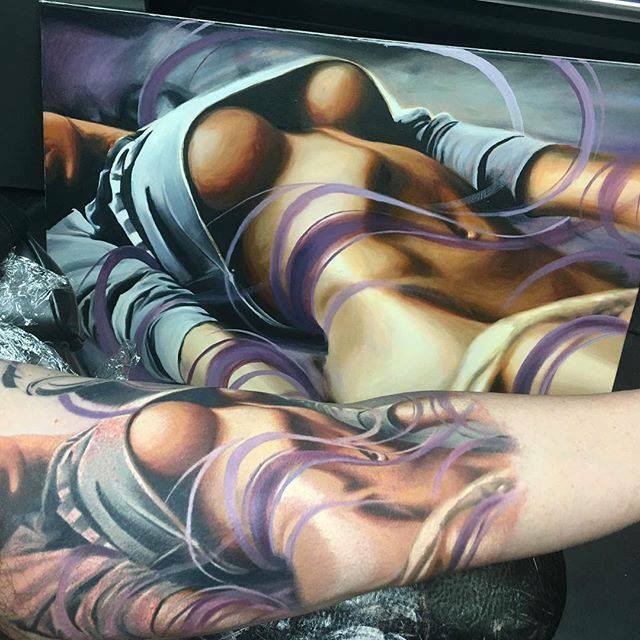 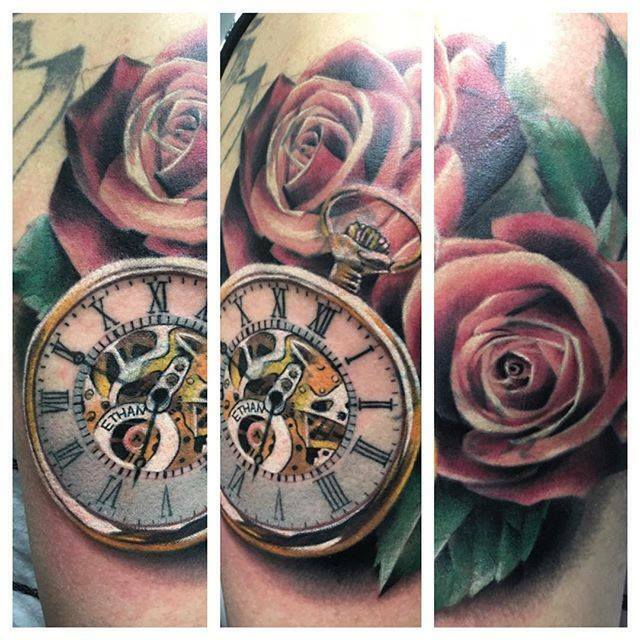 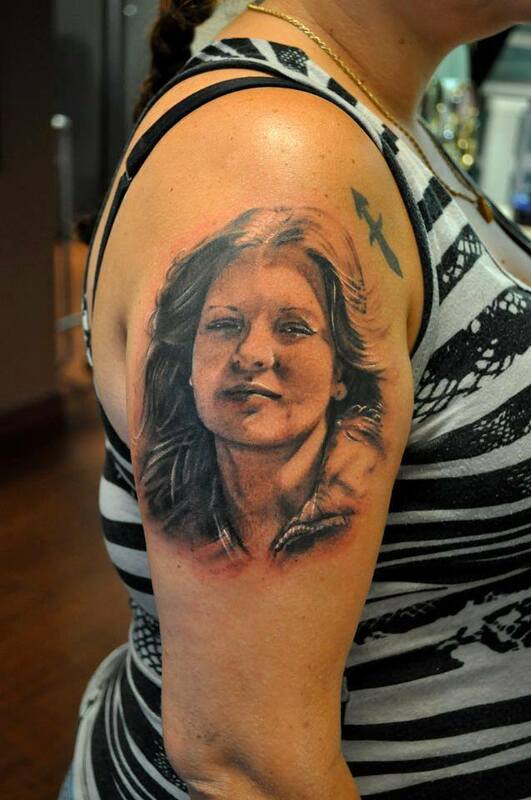 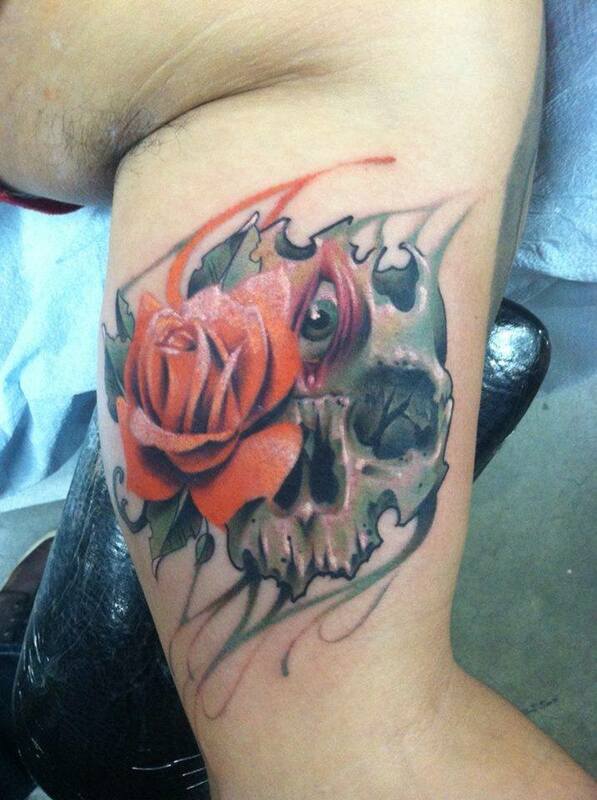 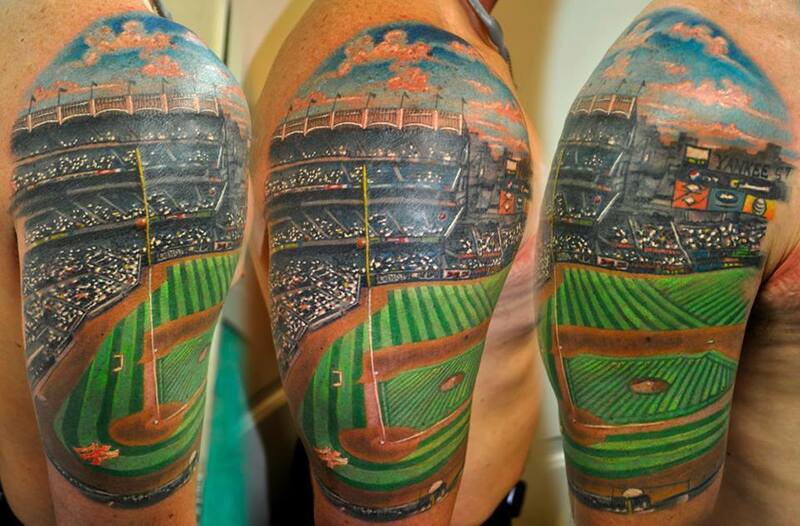 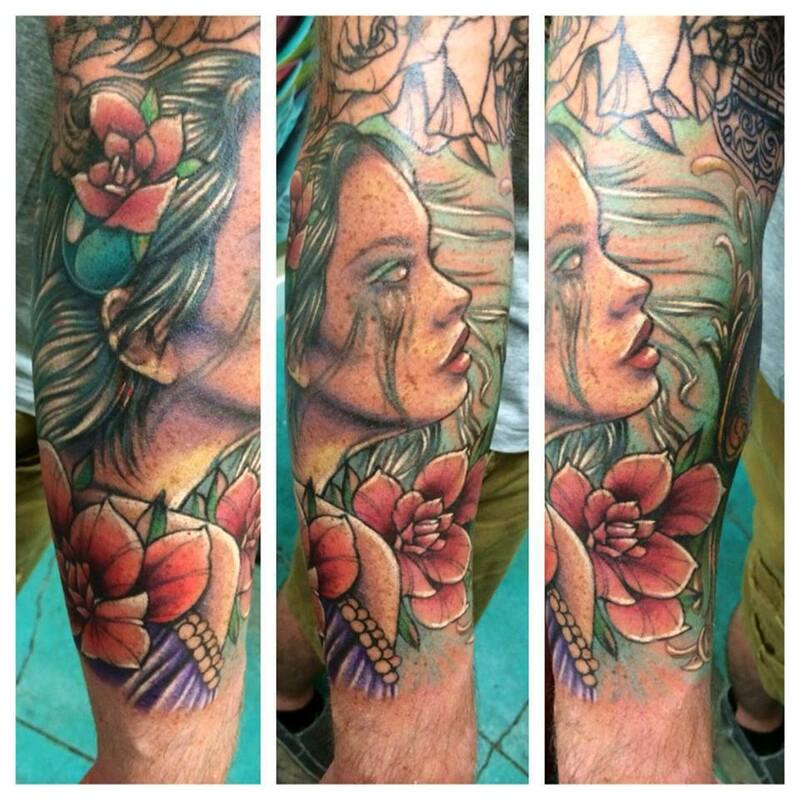 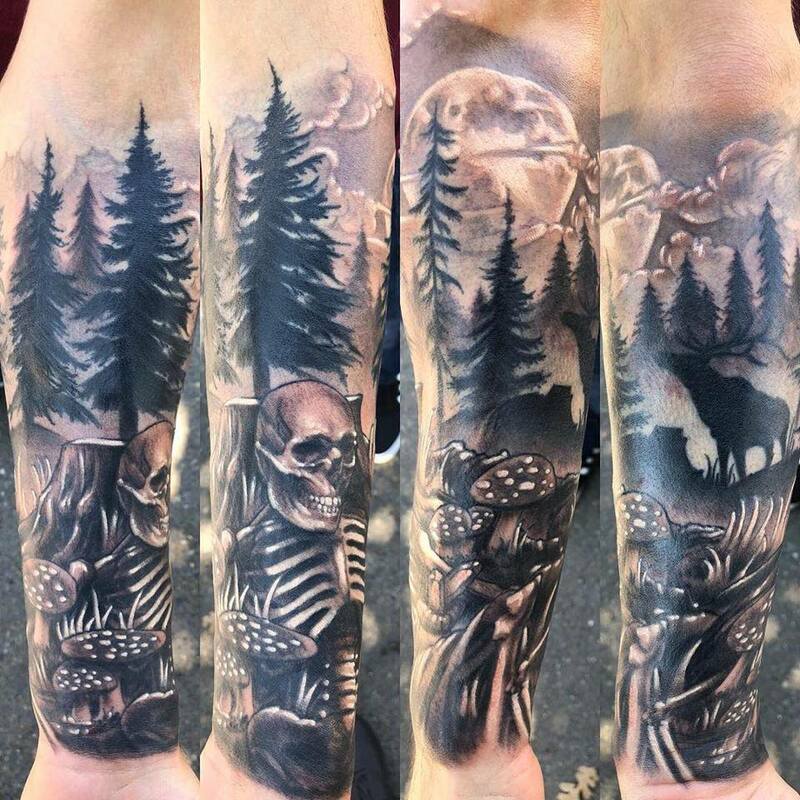 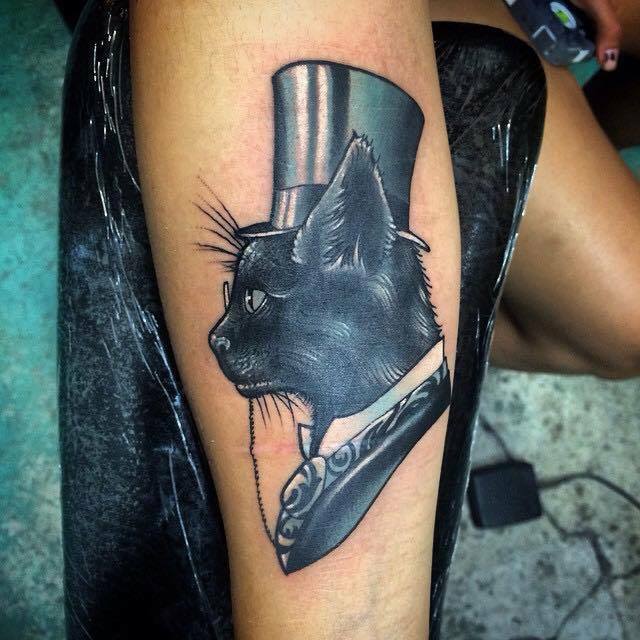 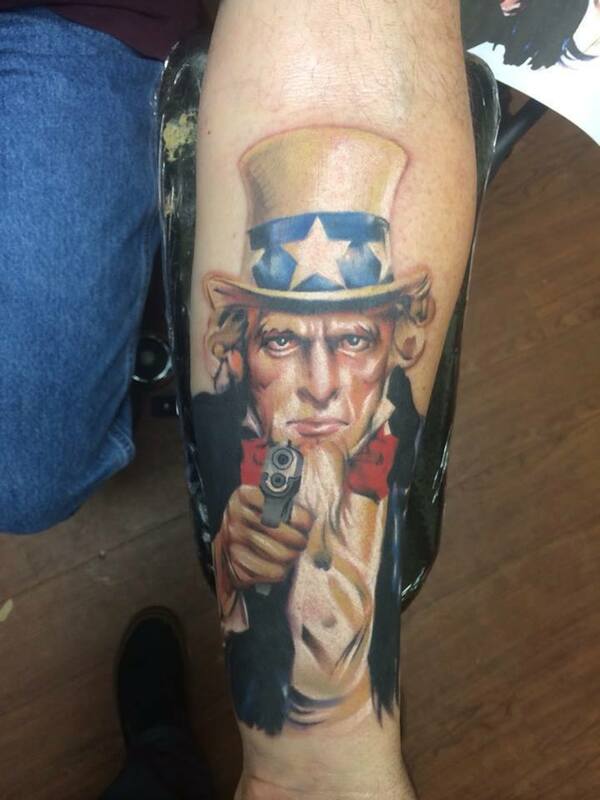 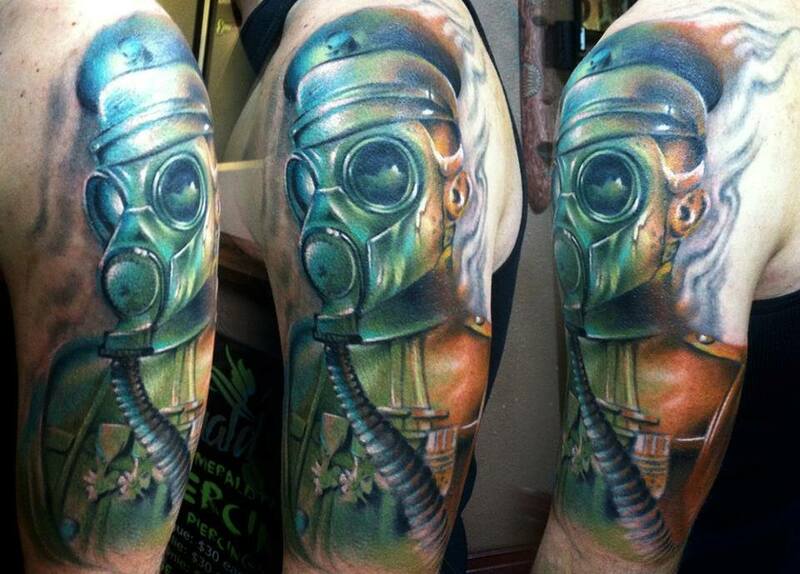 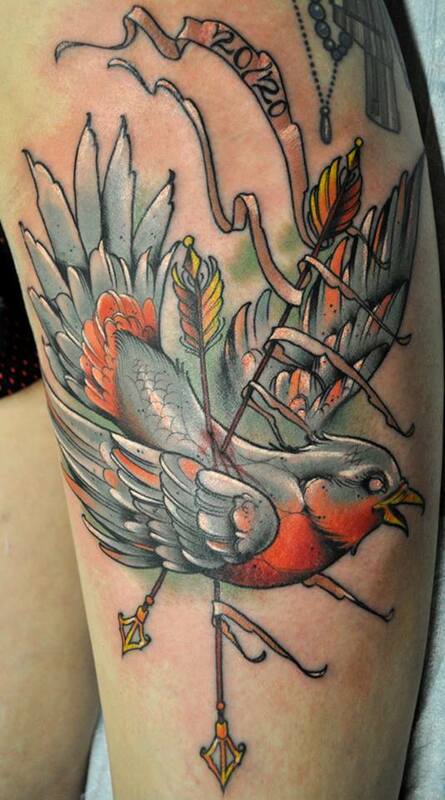 “my whole idea of tattooing is to make it look like an oil or watercolor painting on skin. 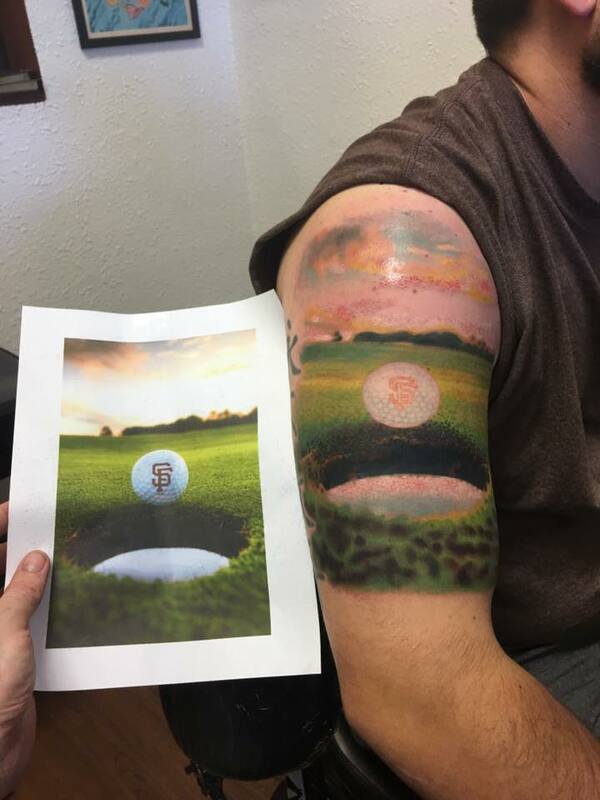 My favorite thing is when someone tells me that it doesn’t even look real. 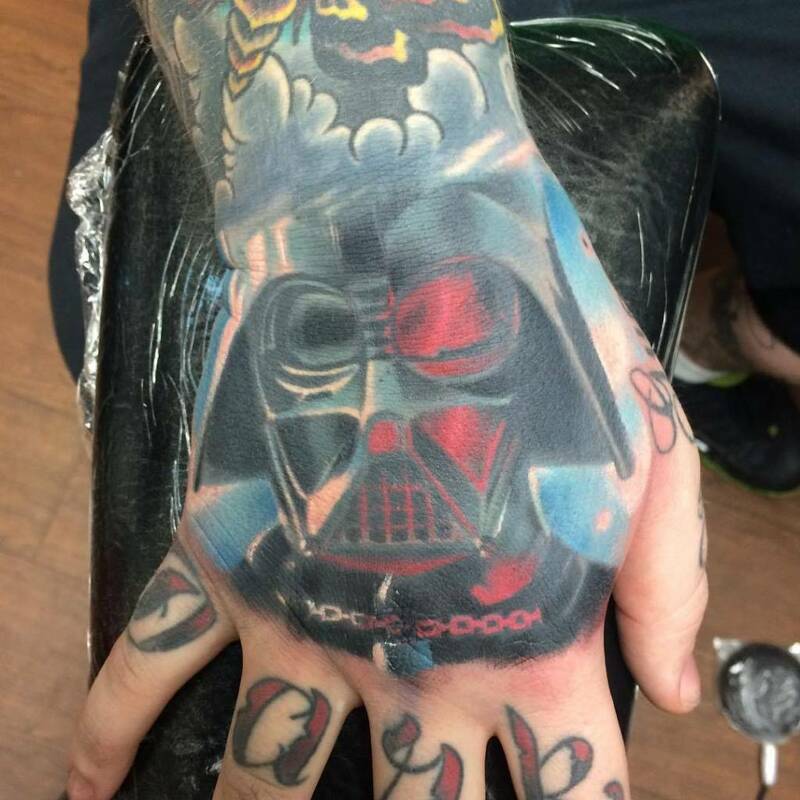 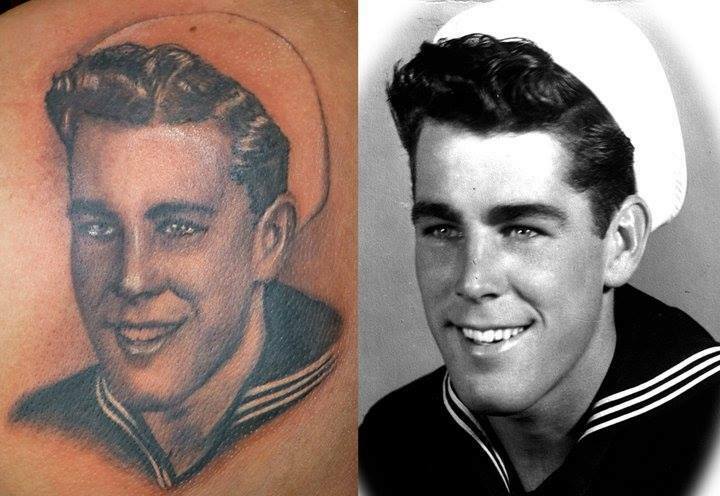 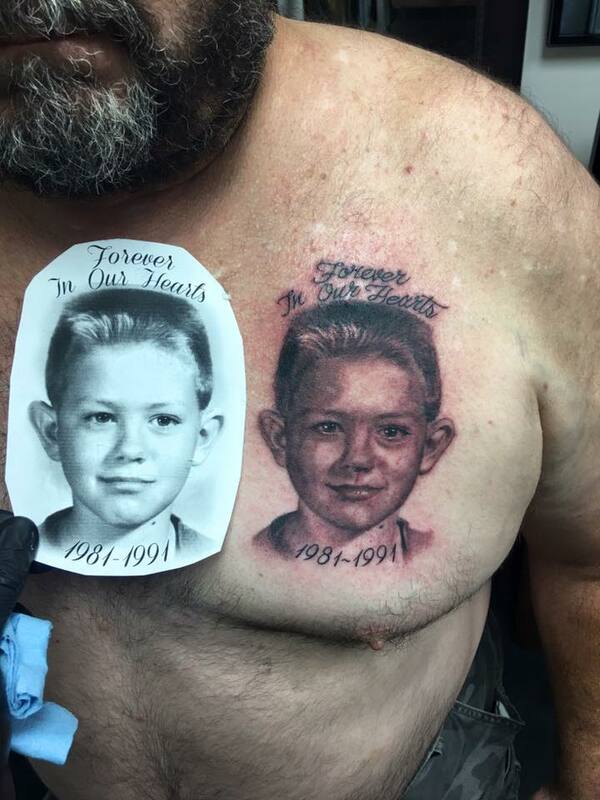 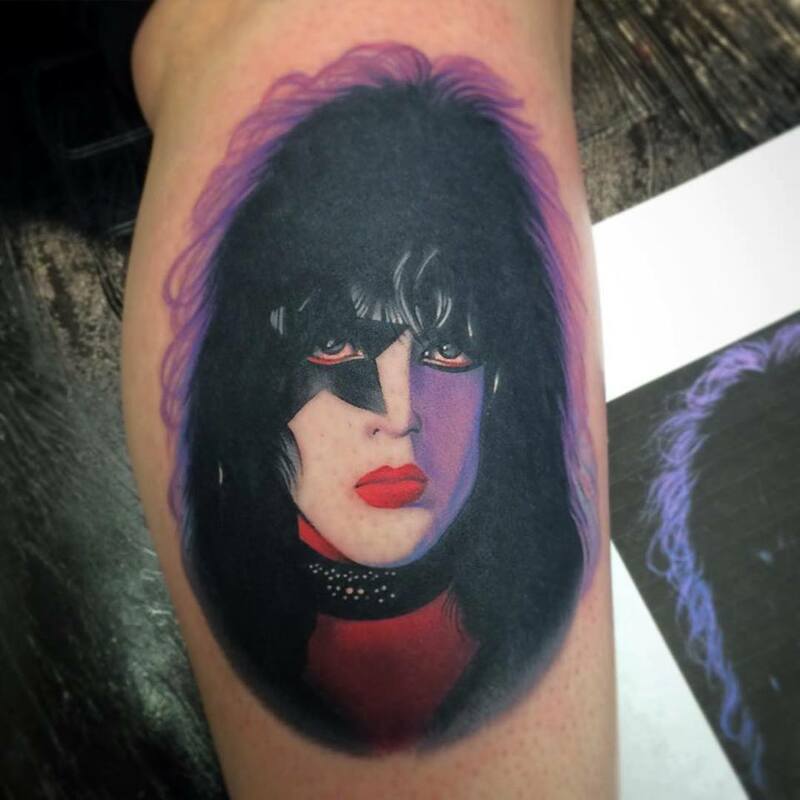 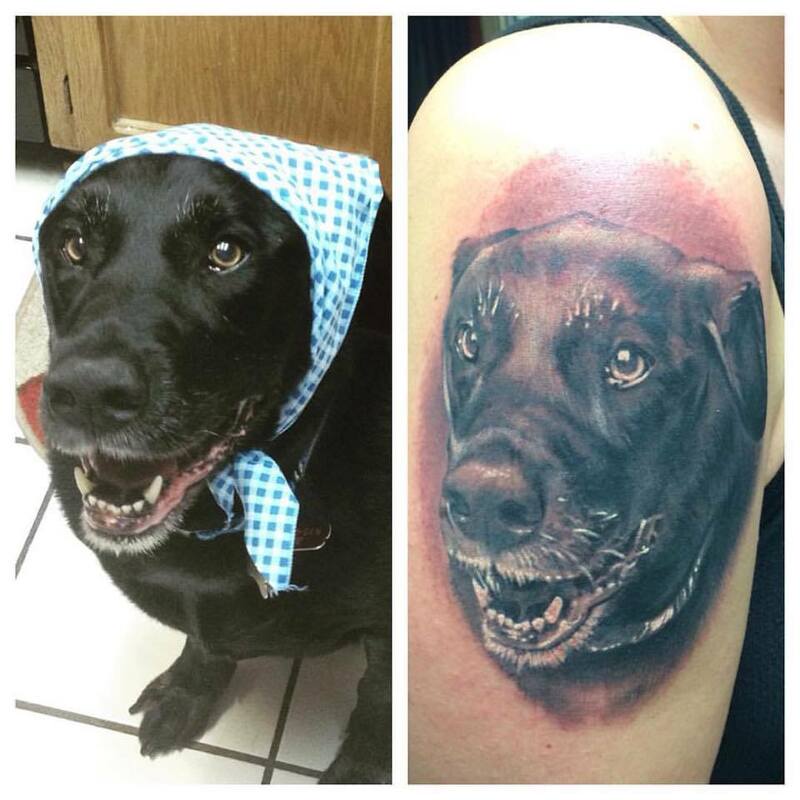 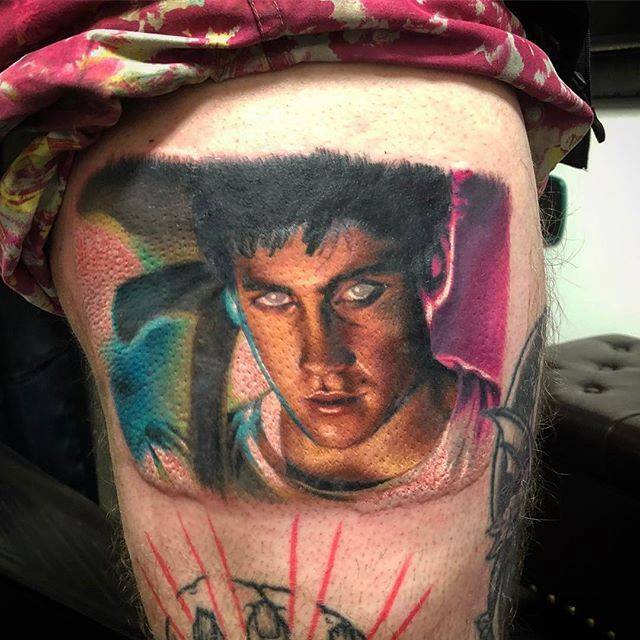 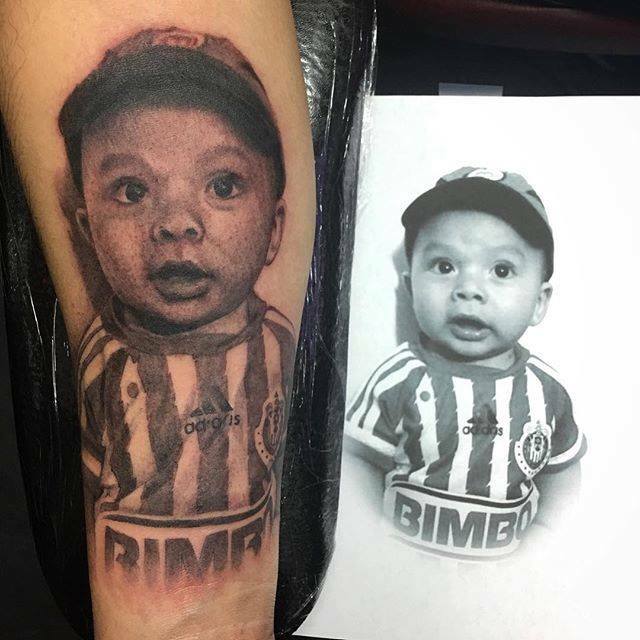 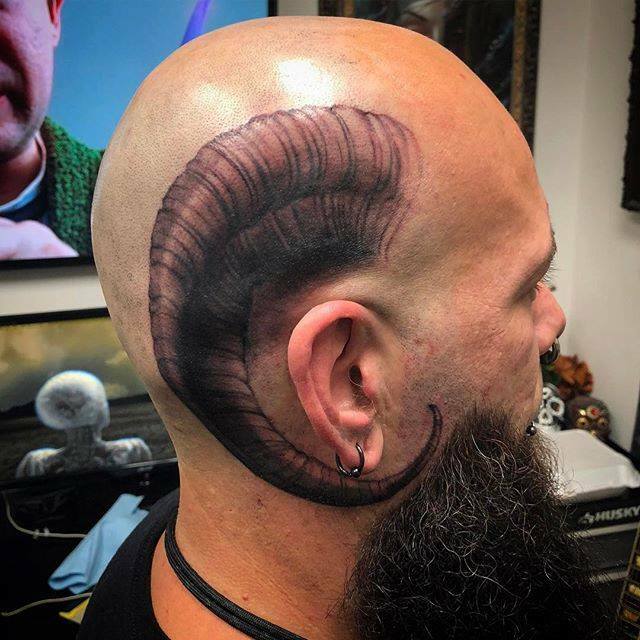 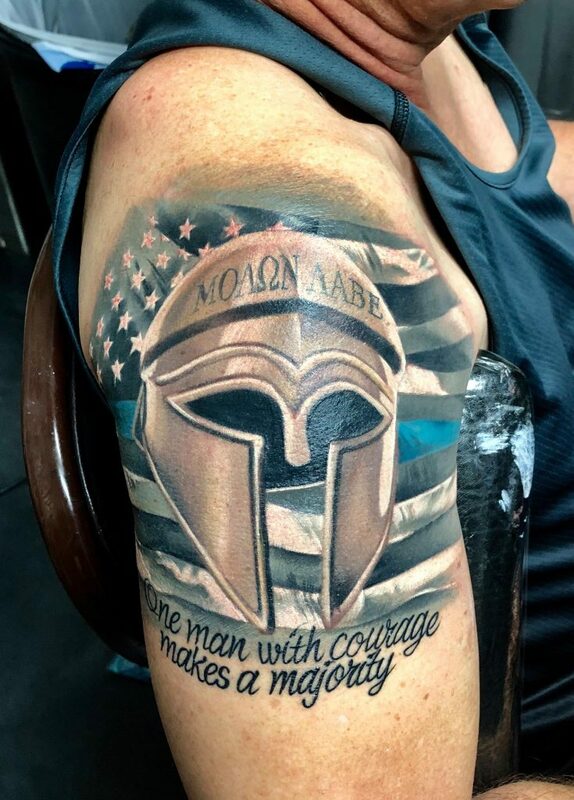 Tattoos that look nothing like tattoos. 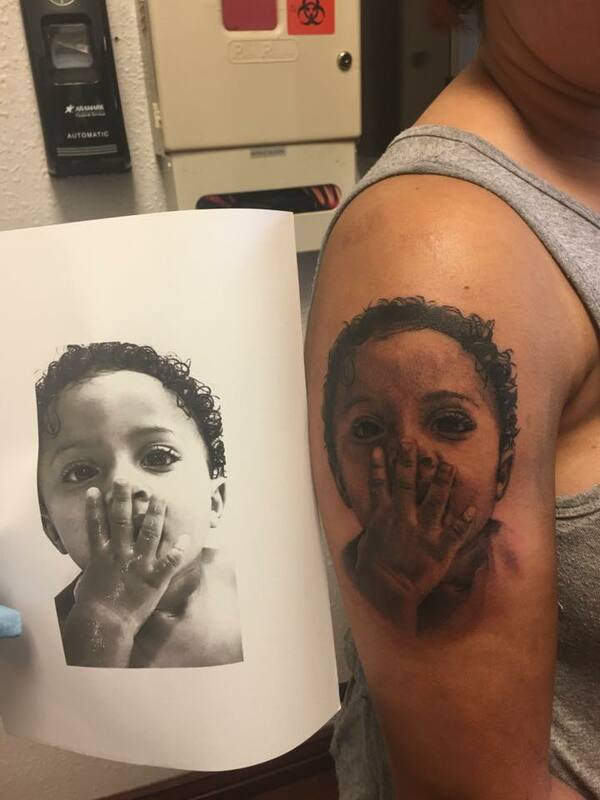 Just art.